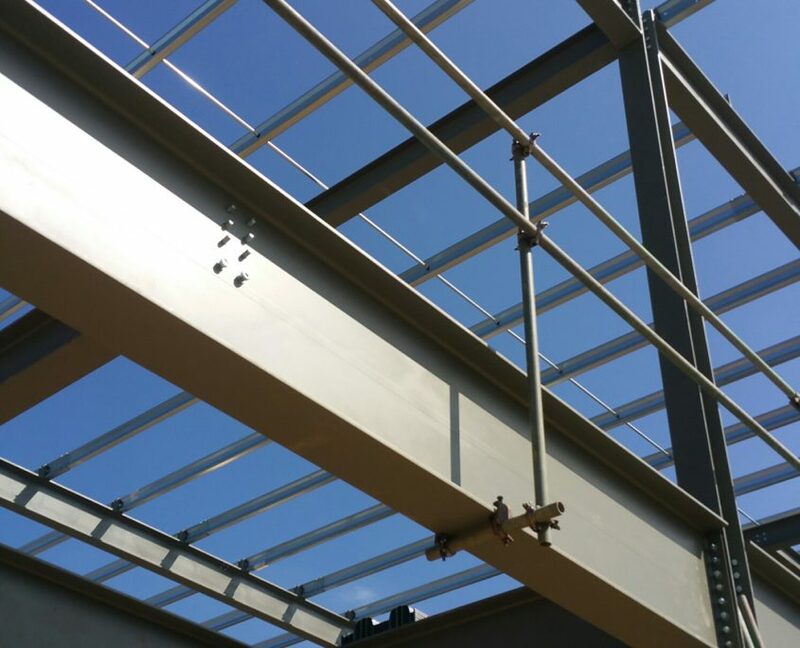 Project Details: Fabrication and erection of 500 tonnes of structural steelwork. 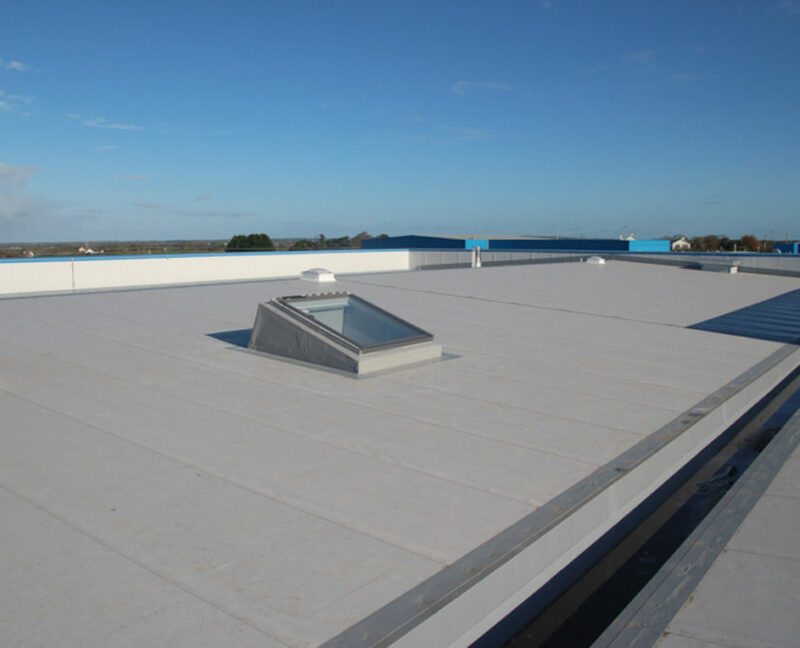 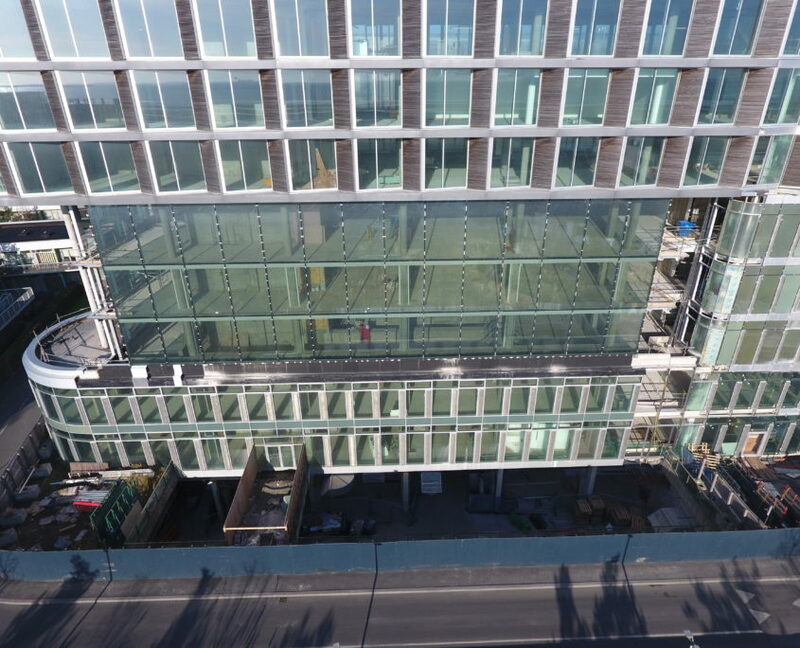 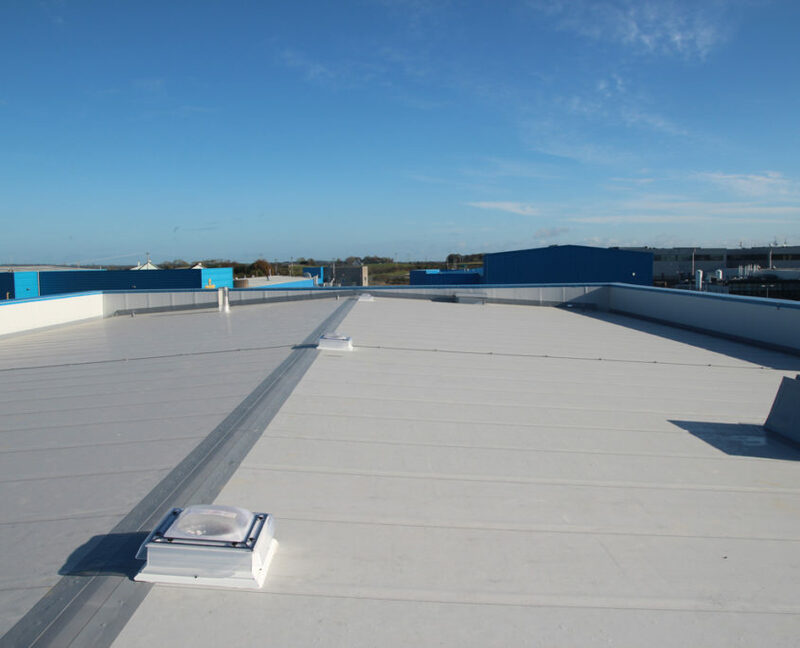 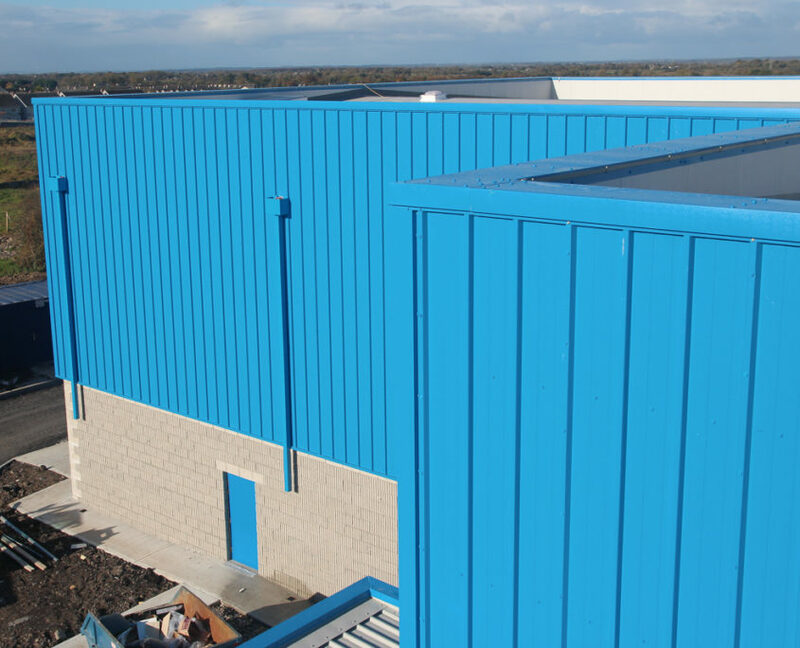 Installation of 10,000m2 Kingspan Dri Design and Benchmark cladding. 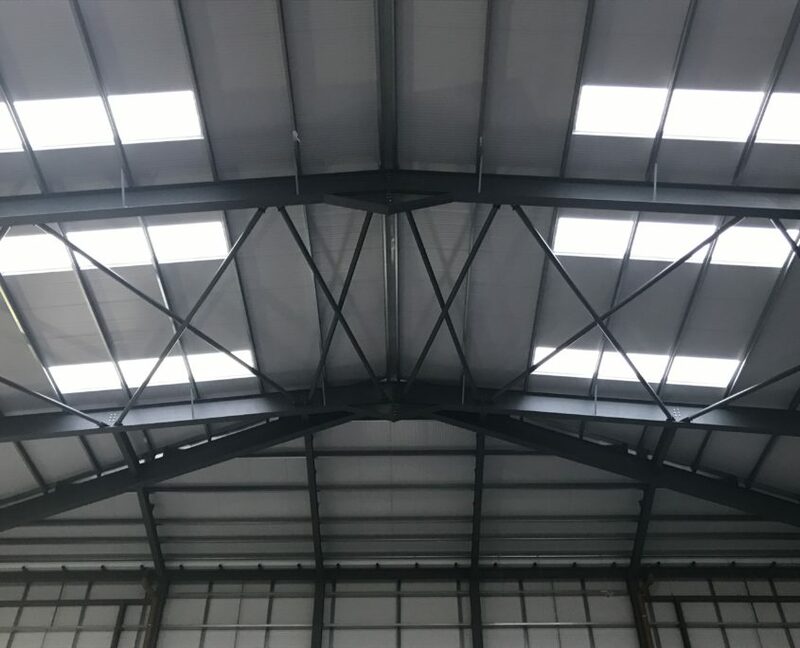 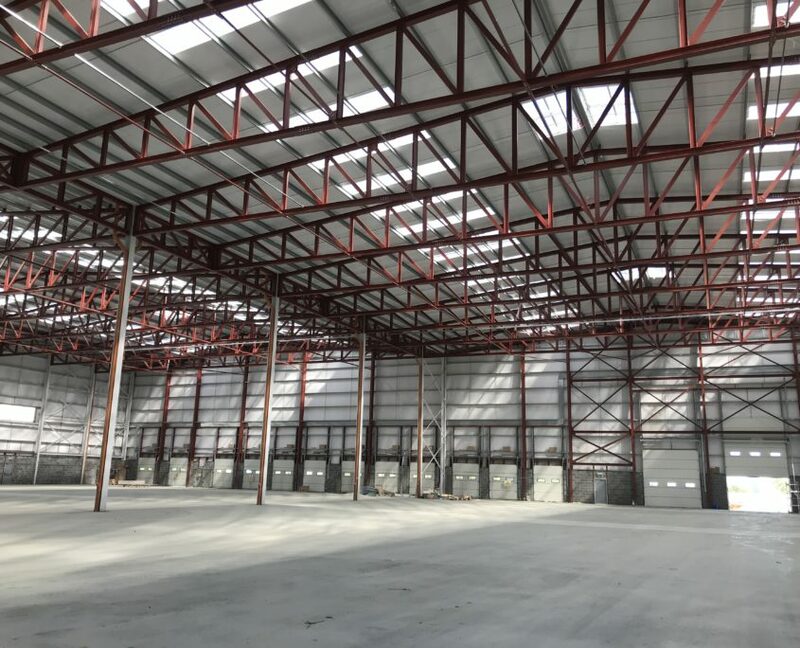 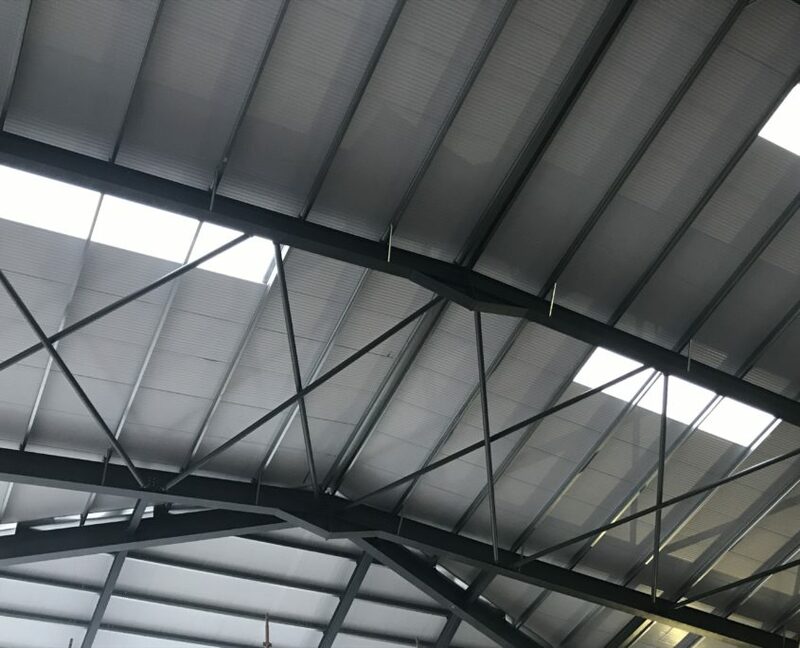 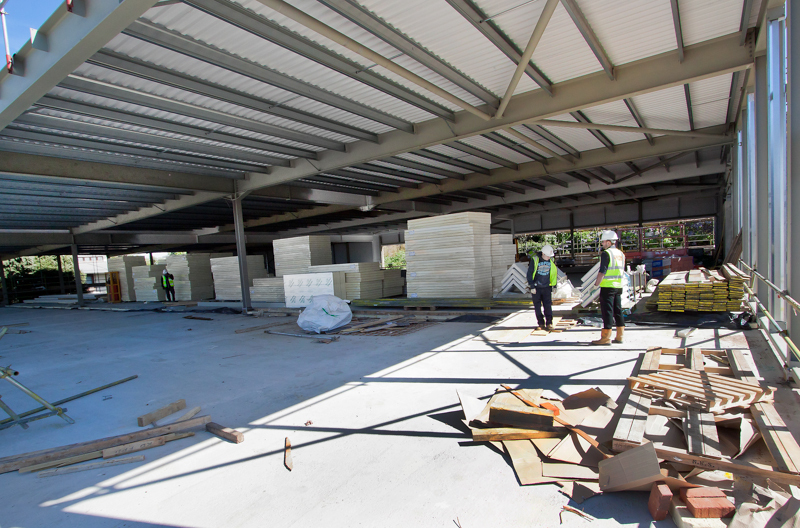 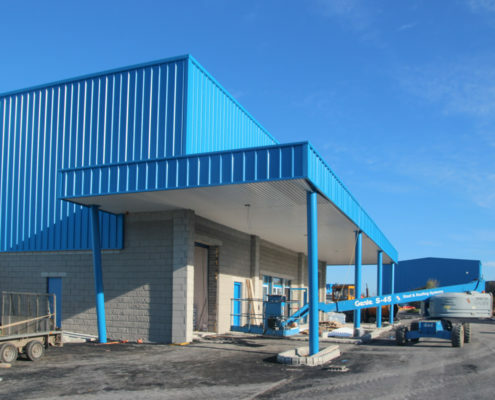 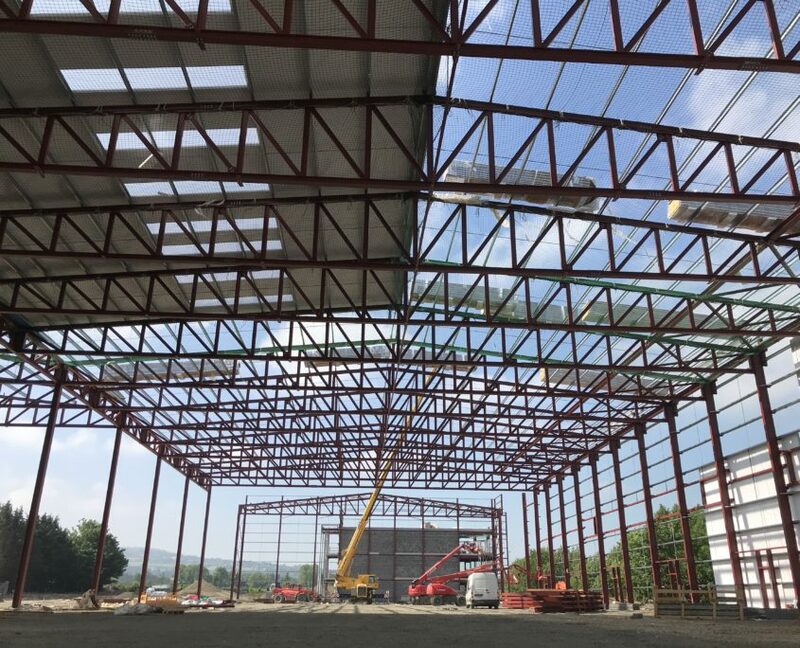 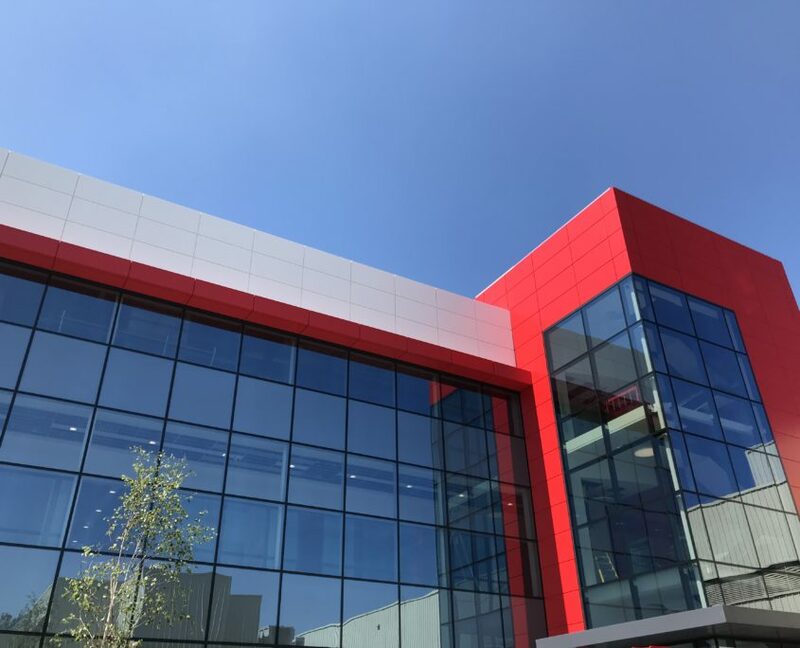 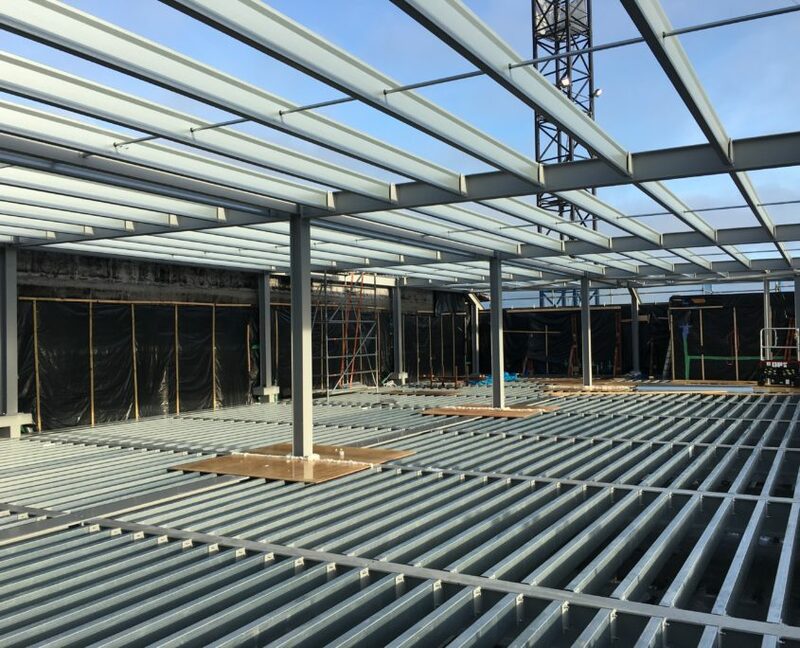 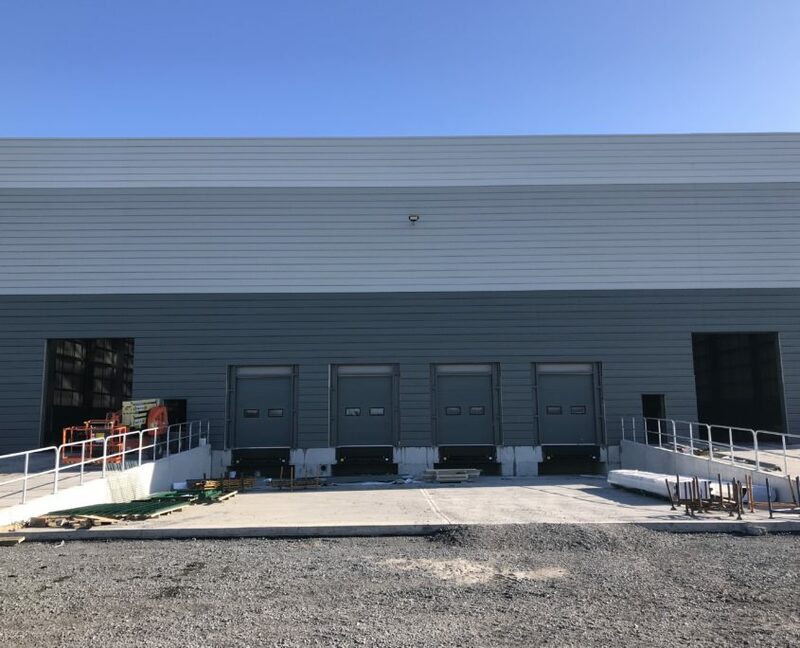 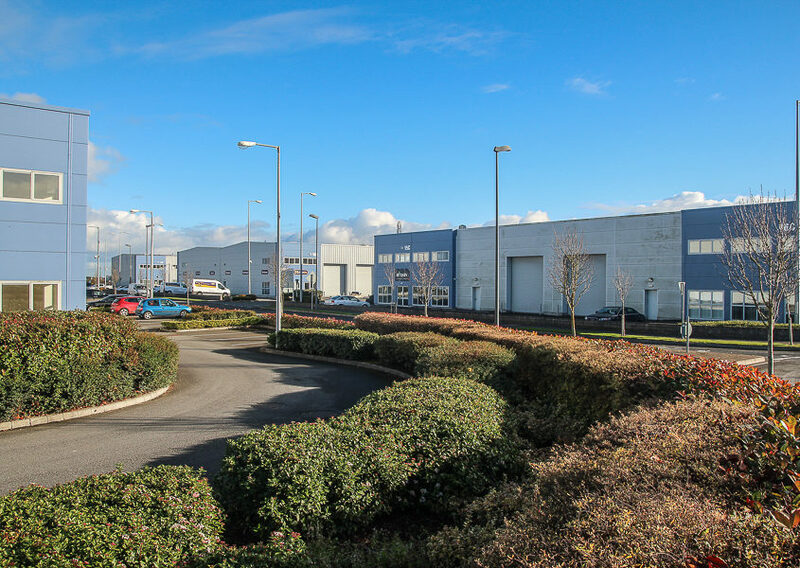 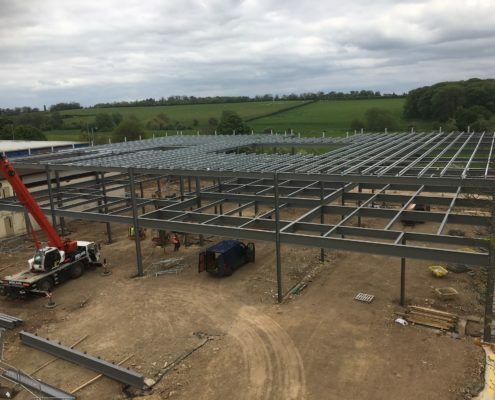 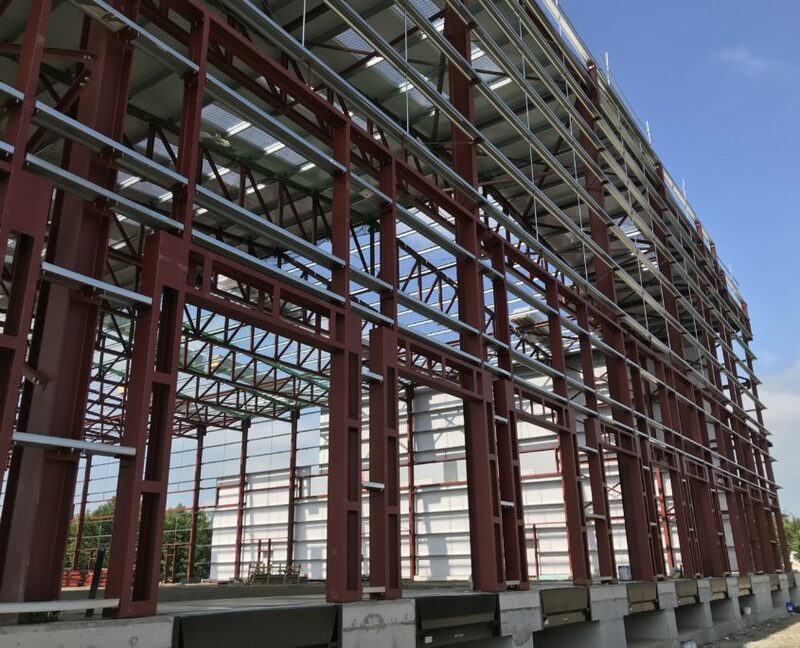 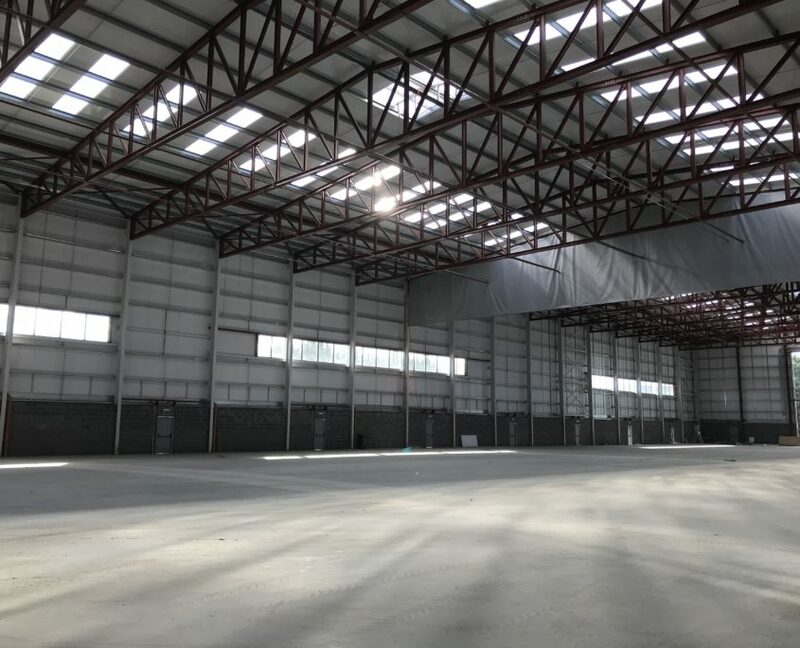 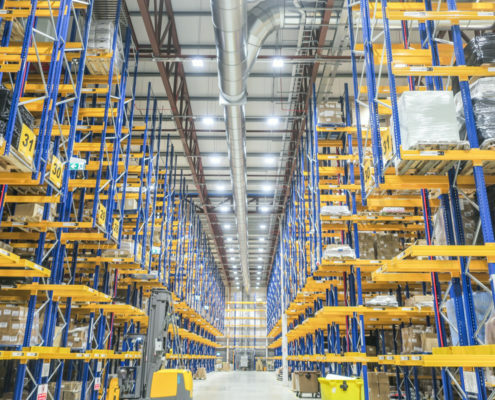 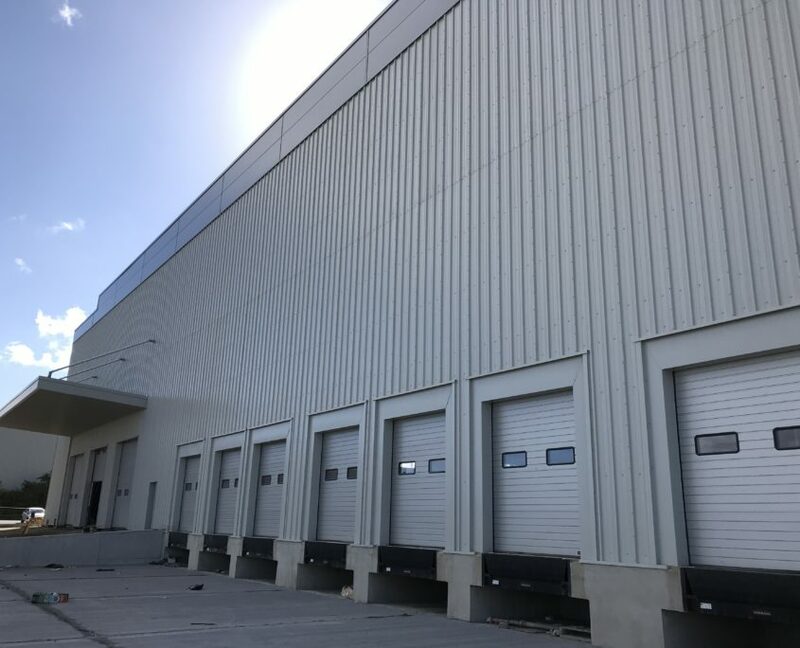 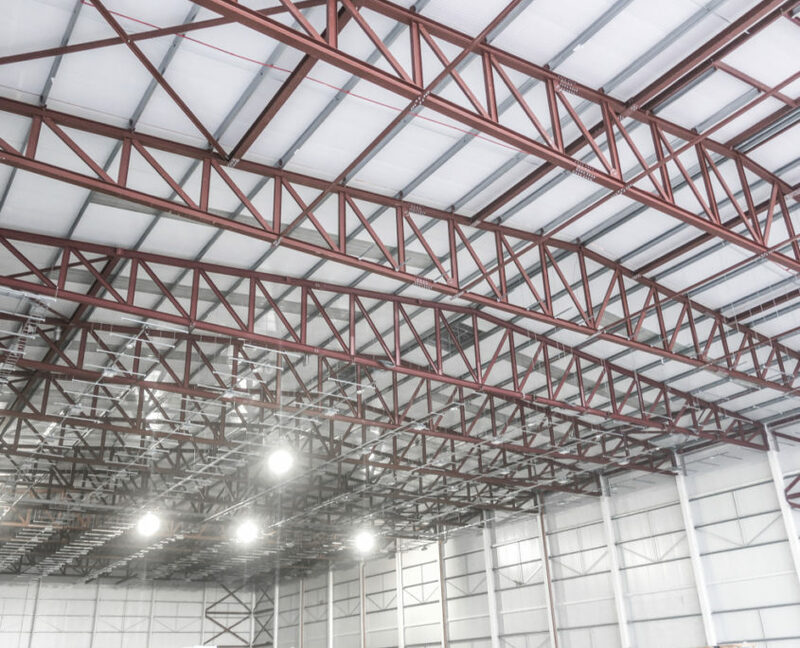 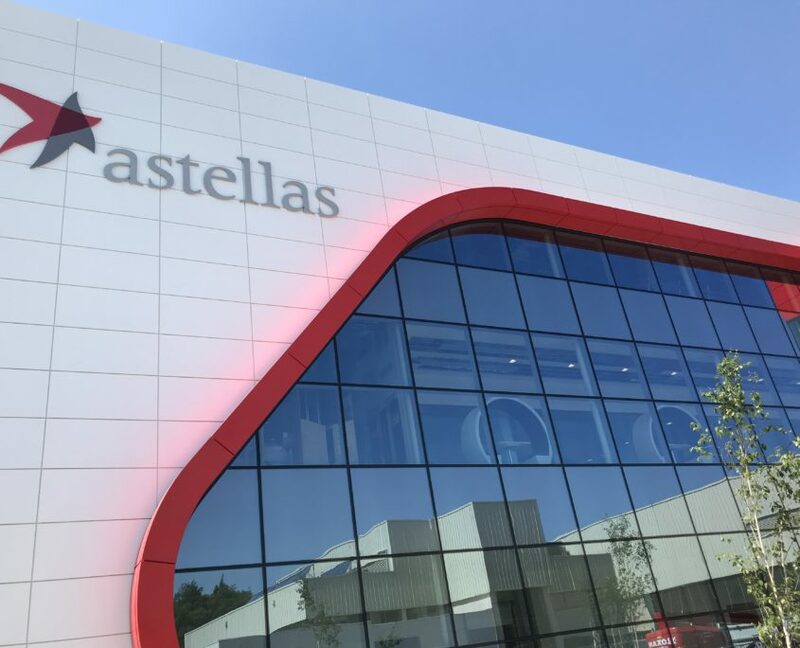 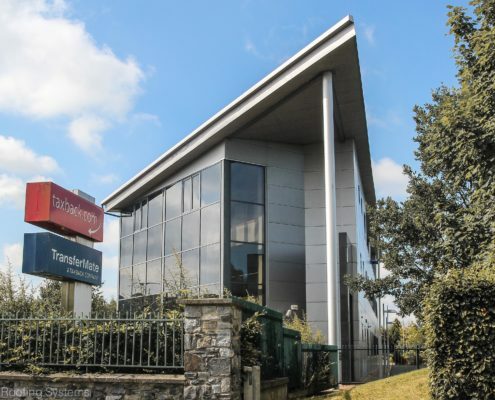 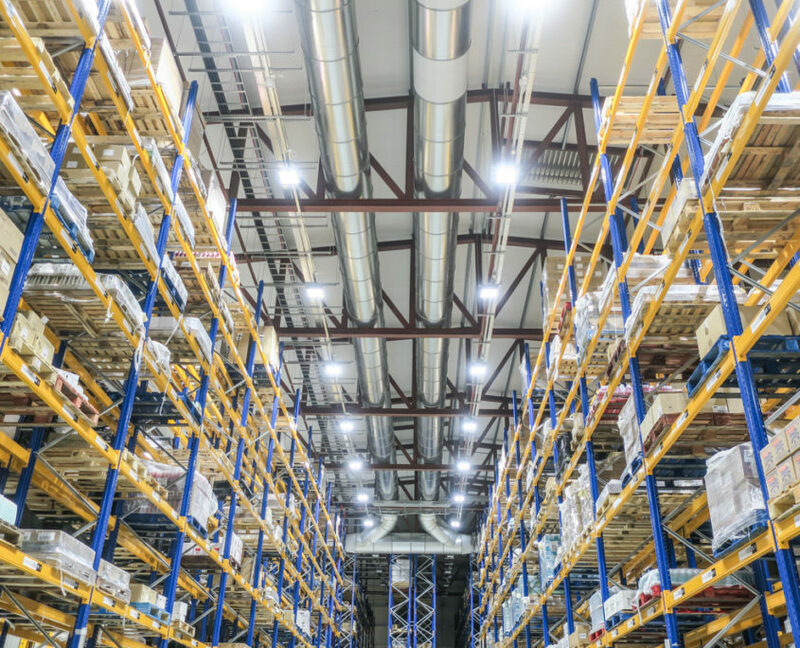 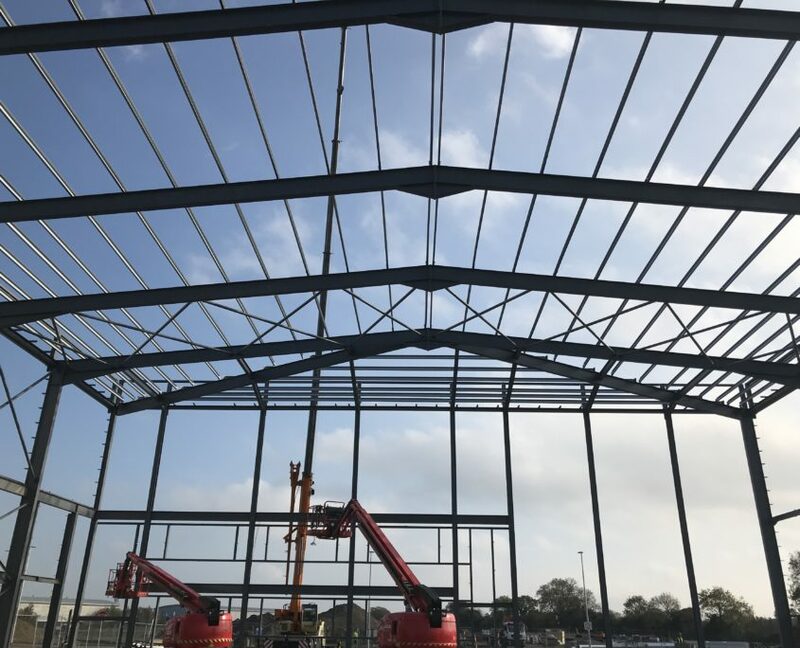 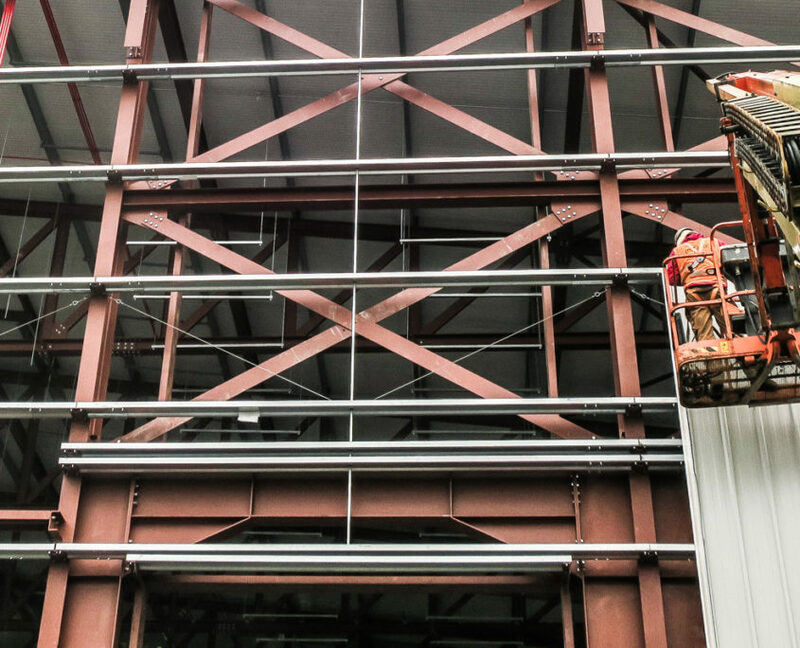 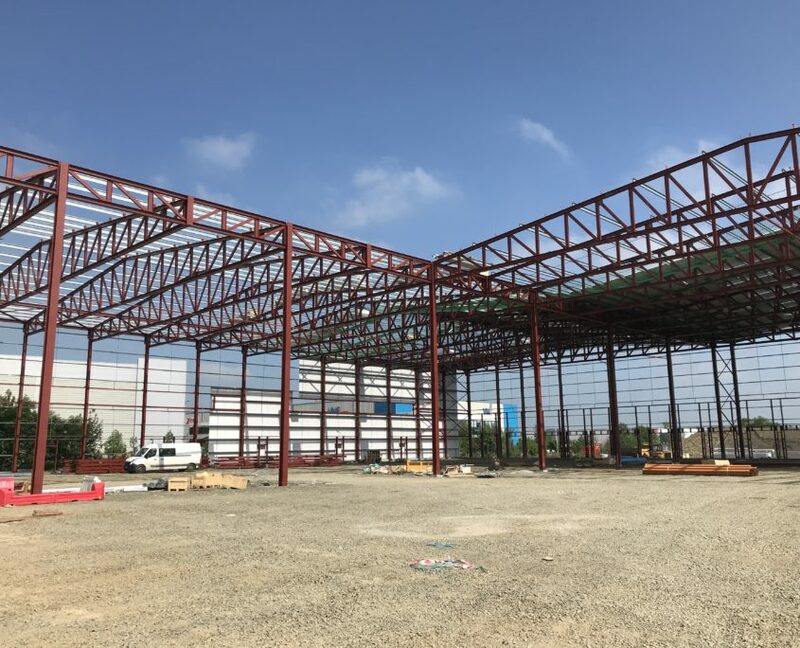 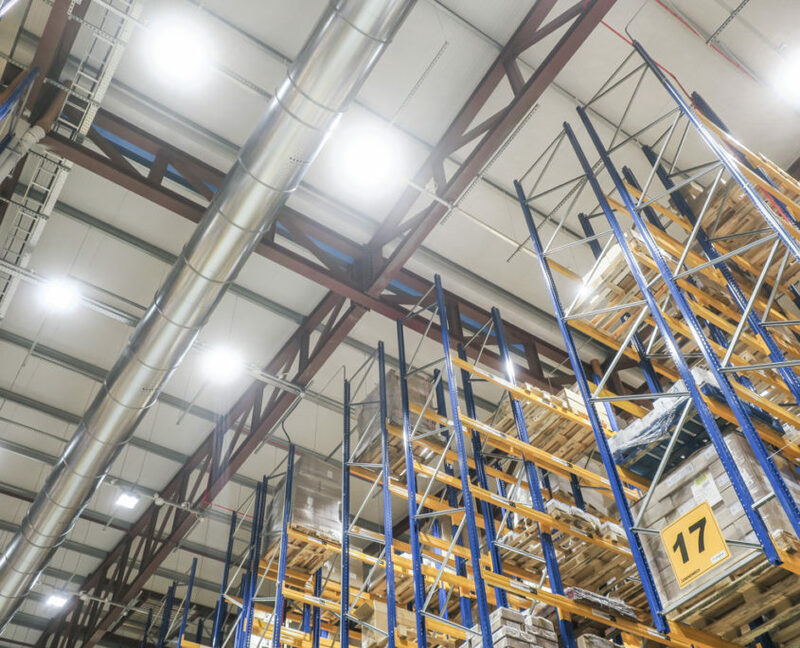 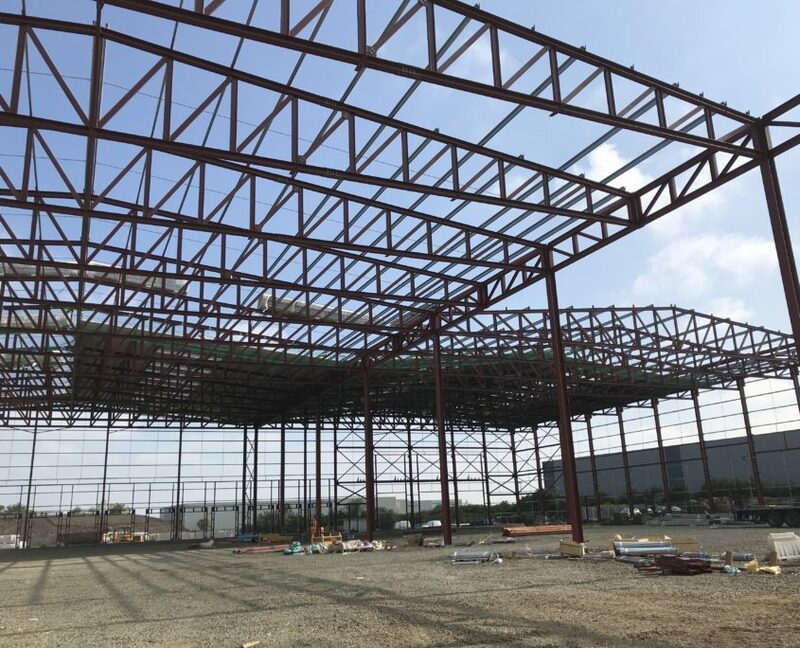 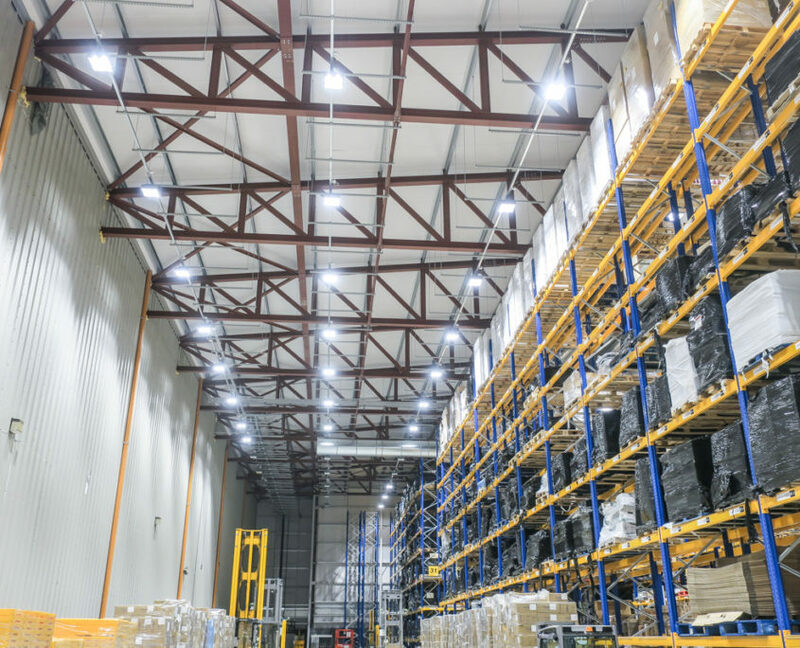 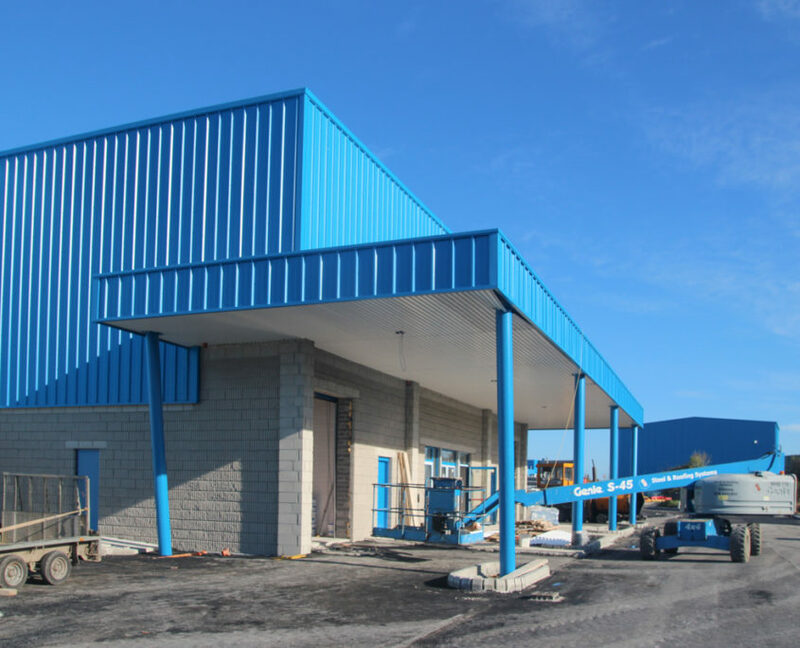 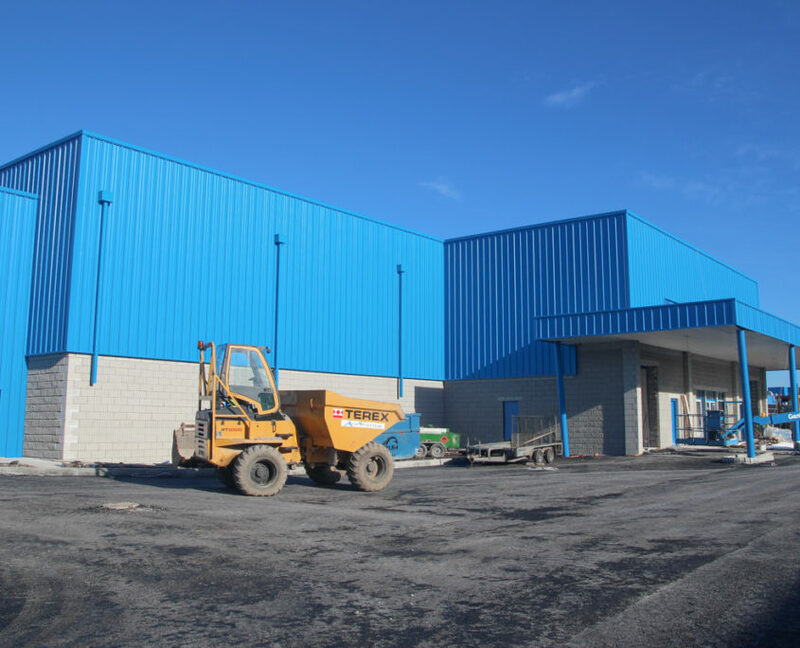 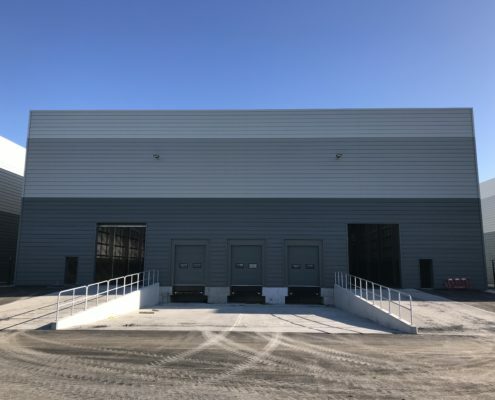 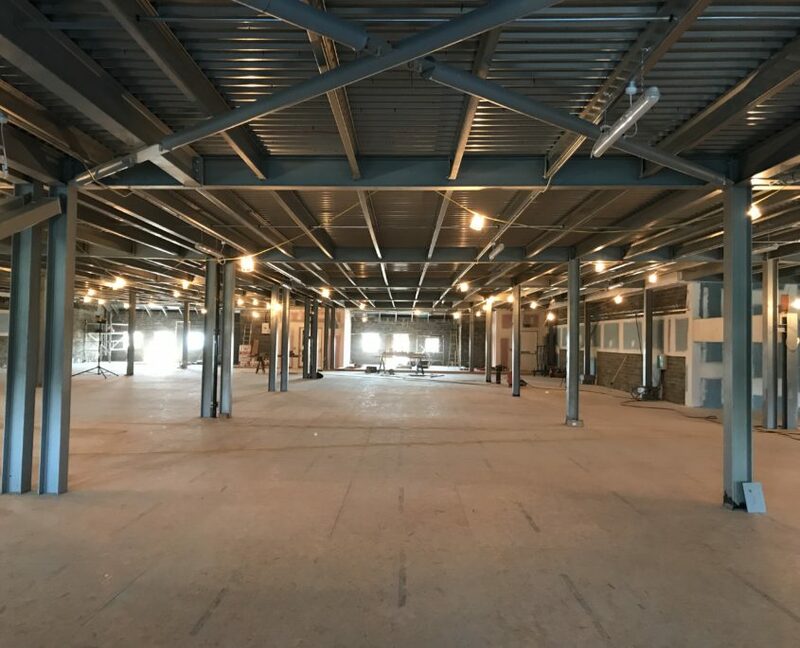 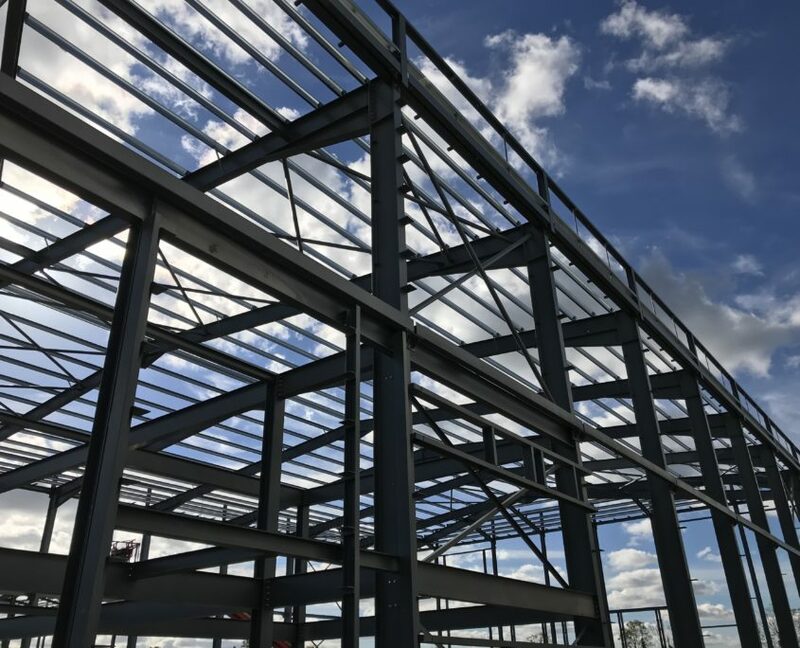 Project Details: Fabrication and erection of 550 tonnes of structural steelwork and installation of 15,000m2 of roof and wall cladding for a new warehouse and integrated office. 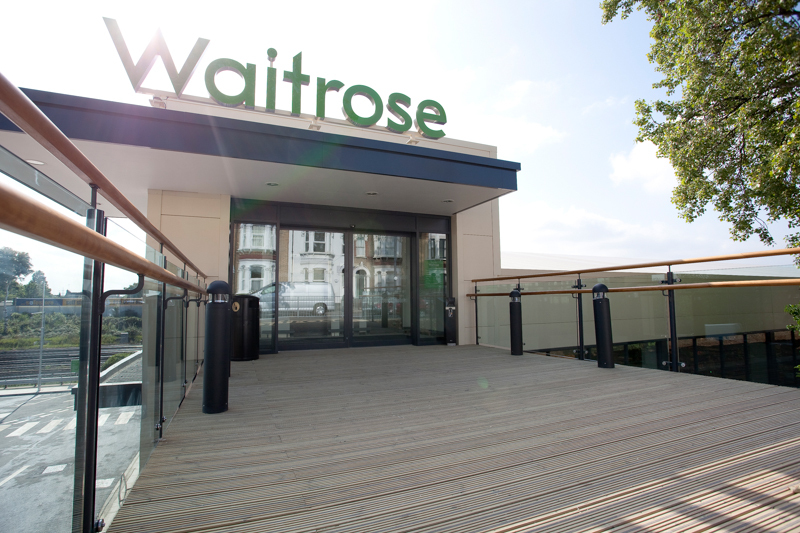 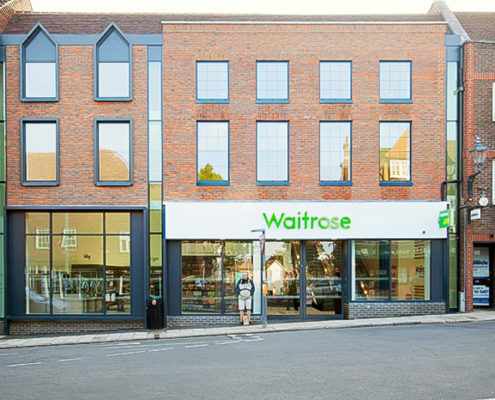 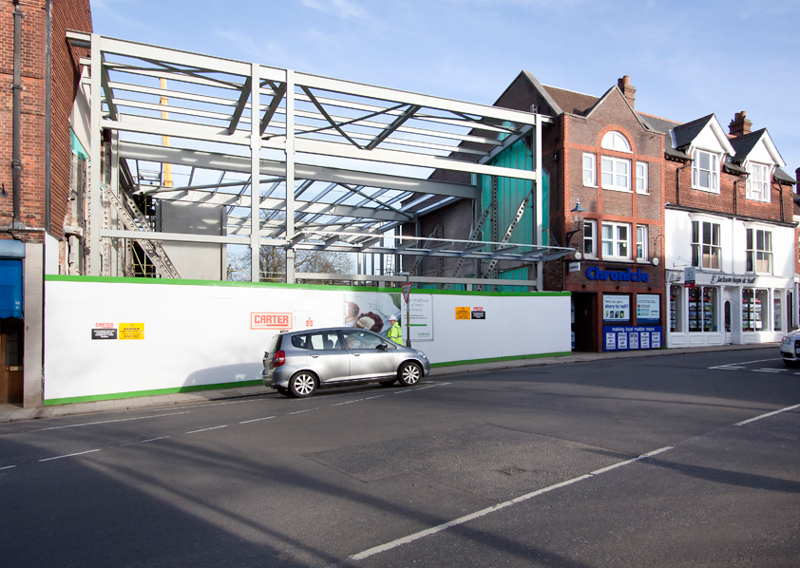 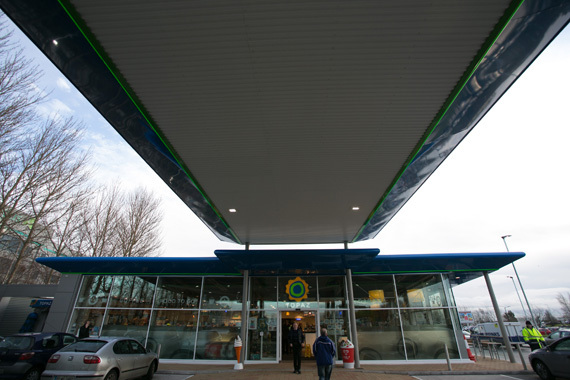 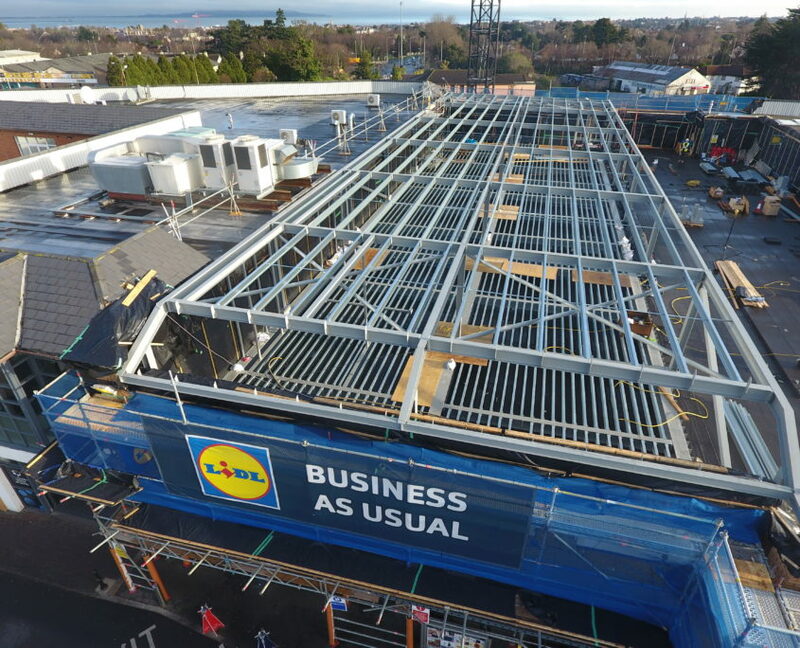 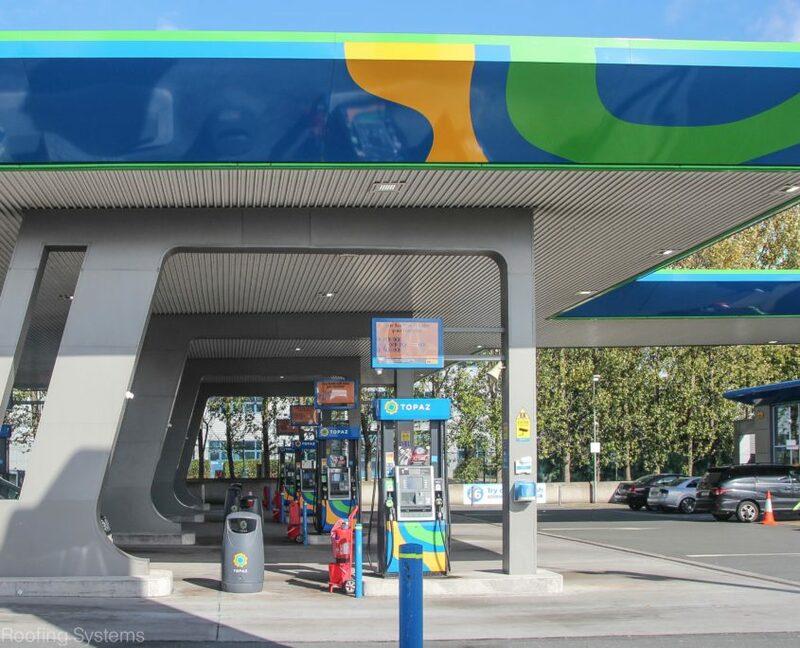 Project Details: Fabrication and erection of 225 tonnes of structural steelwork over an existing live car park and retail outlet. 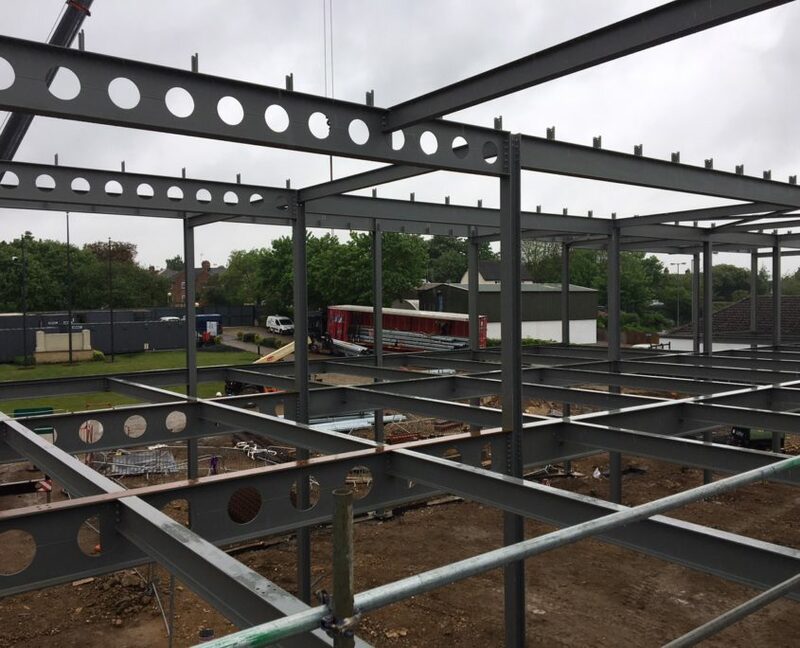 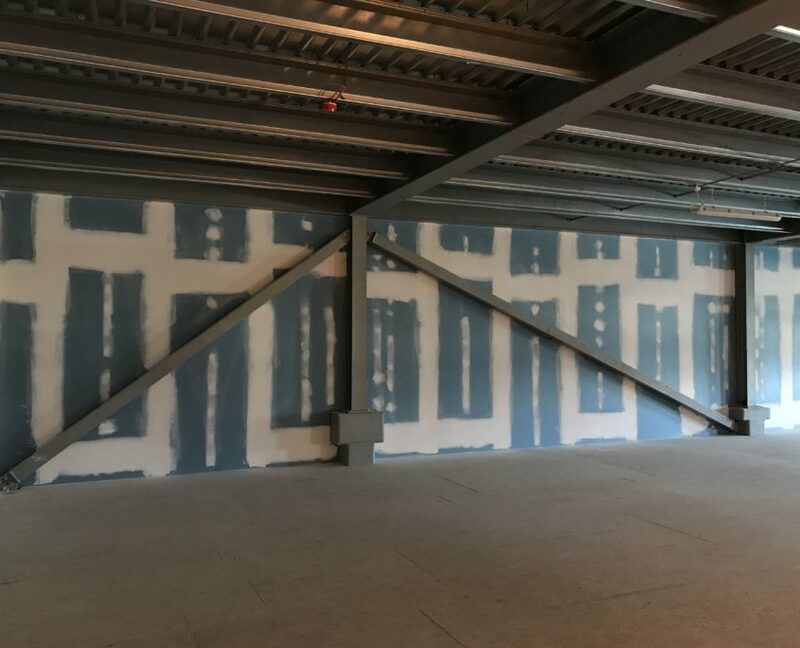 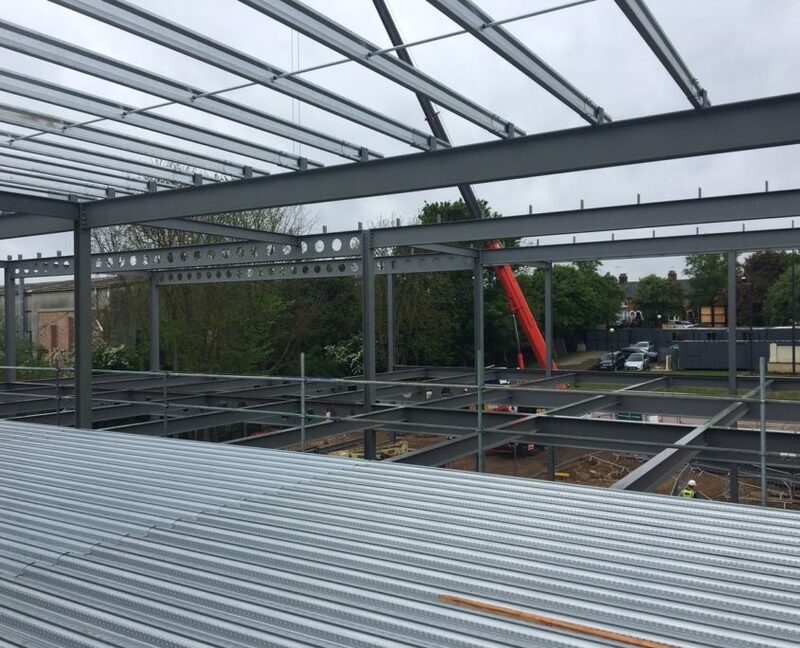 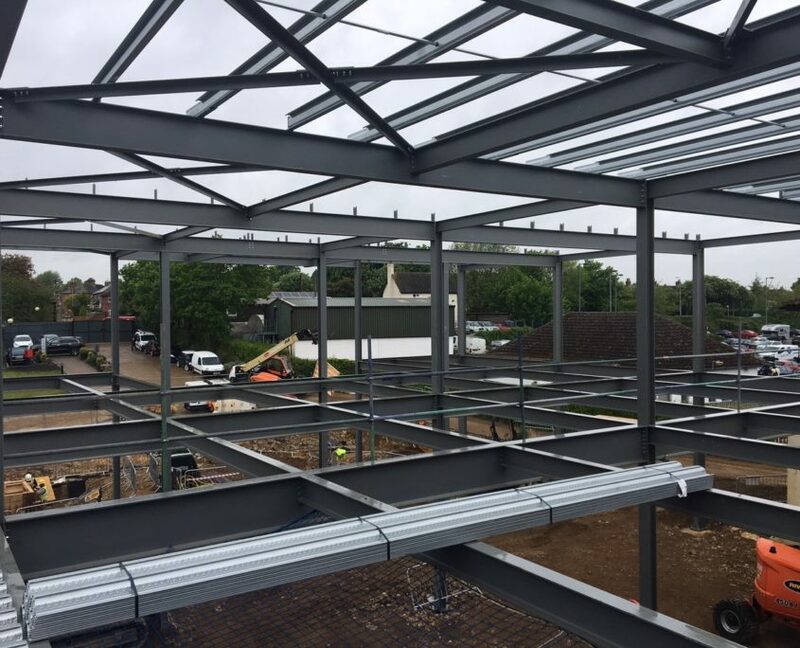 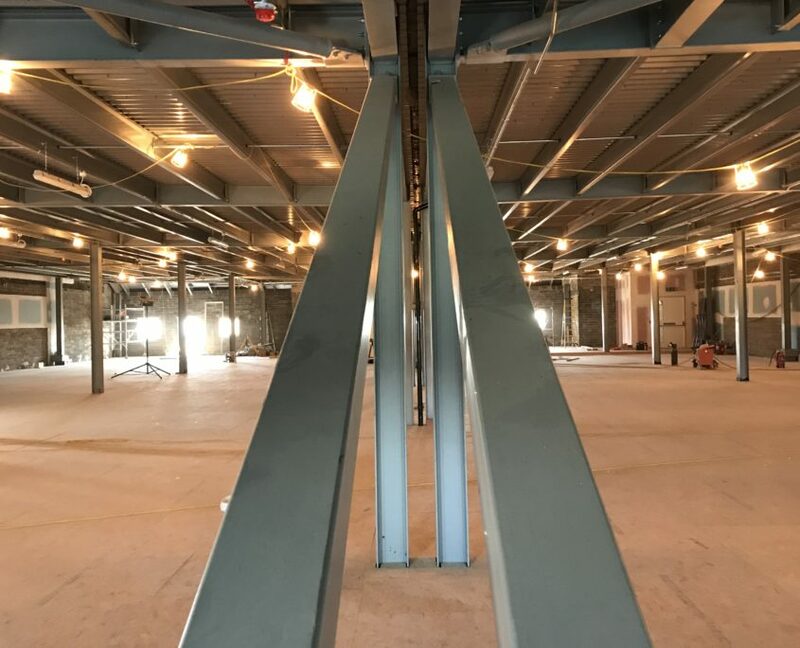 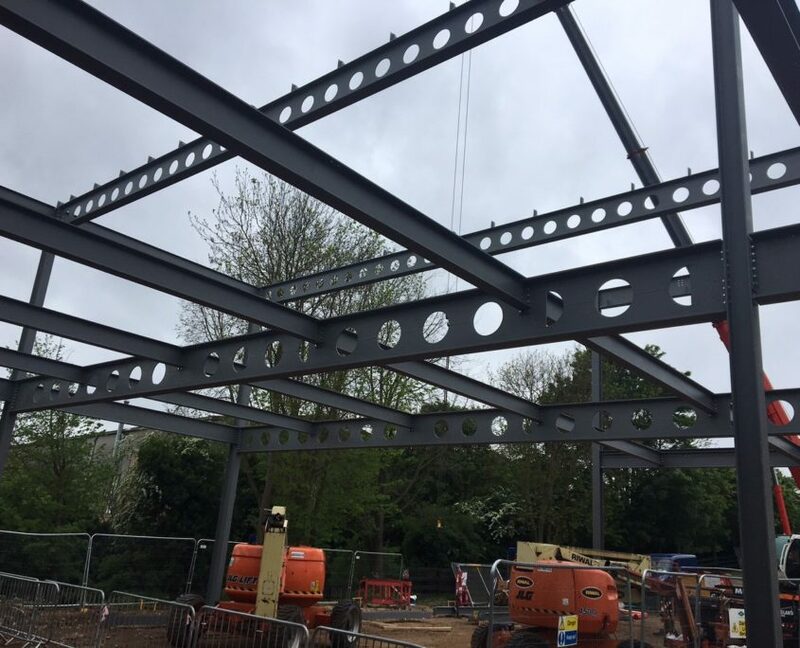 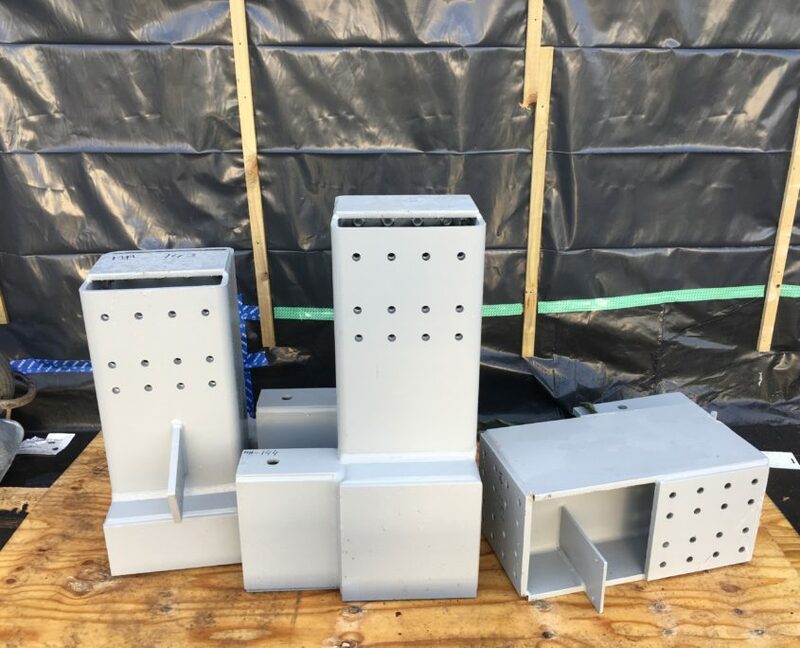 Project Details: Fabrication and erection of 800 tonnes of structural steelwork as part of a refurbishment of the existing Elm Park development. 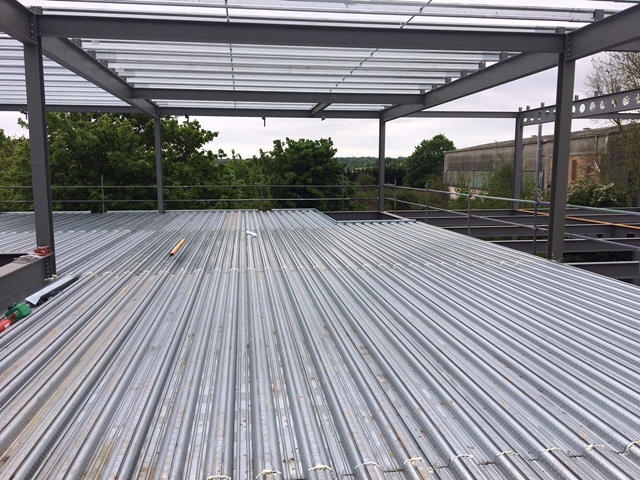 SRS also installed all metal decking. 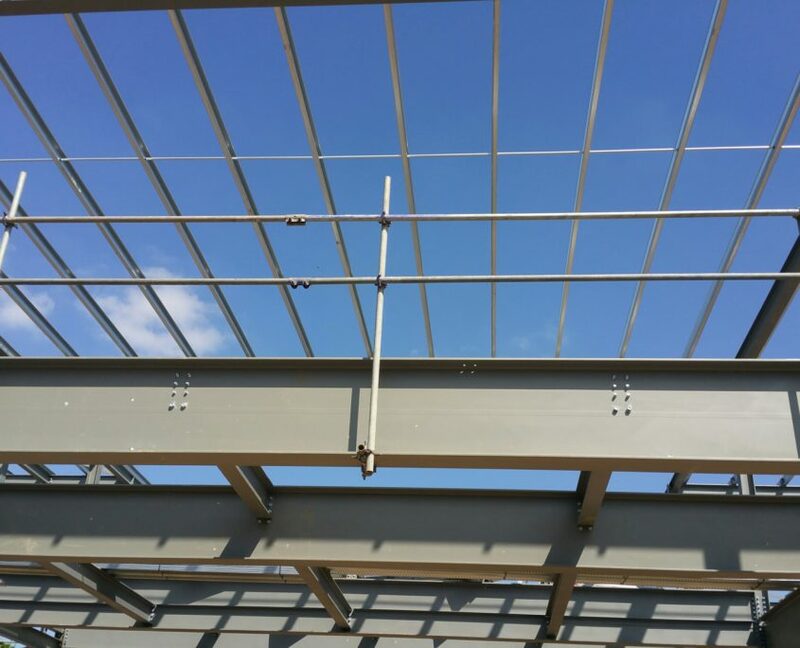 Project Details: Fabrication and erection of 250 tonnes of structural steelwork for a new commercial development. 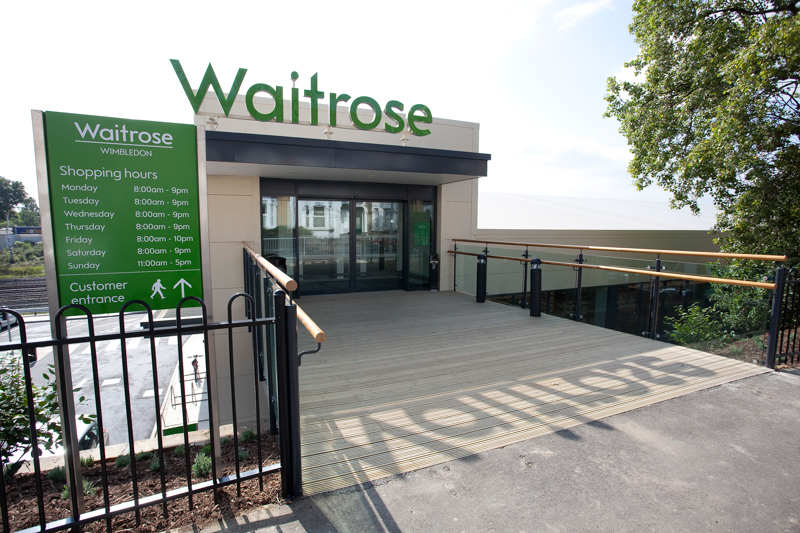 SRS also installed all metal decking and hand railing. 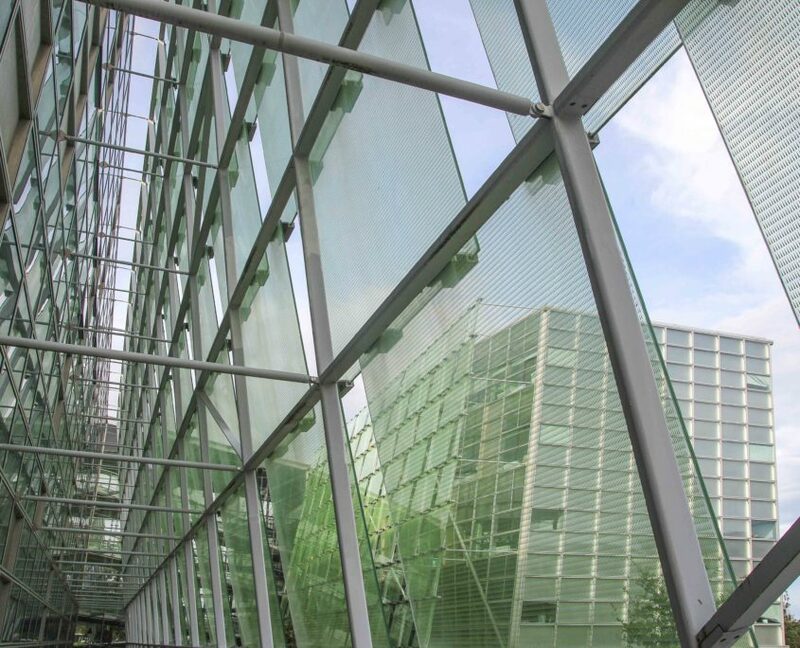 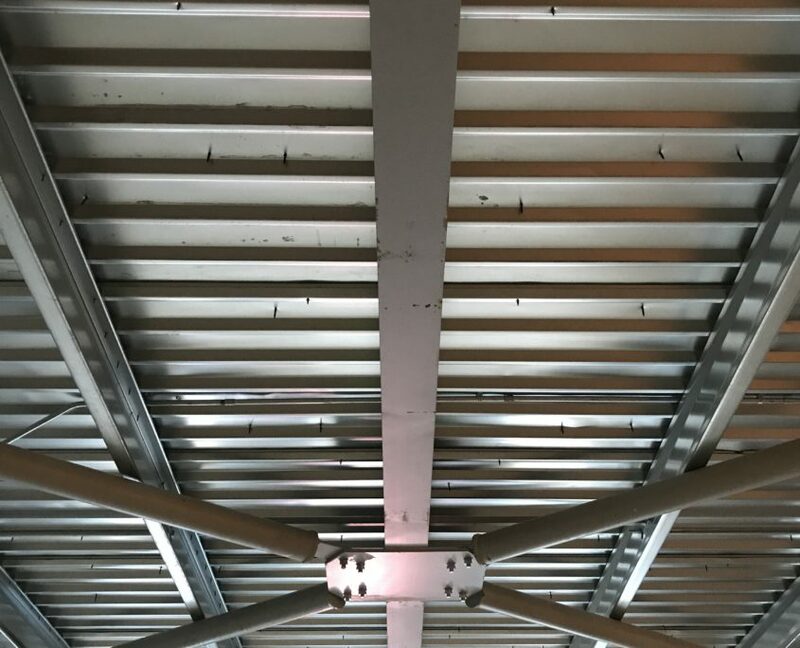 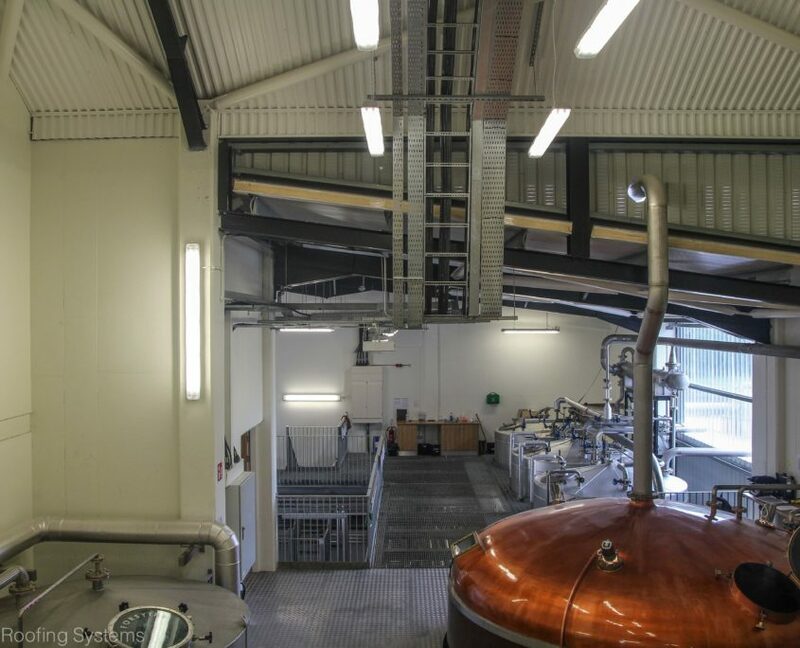 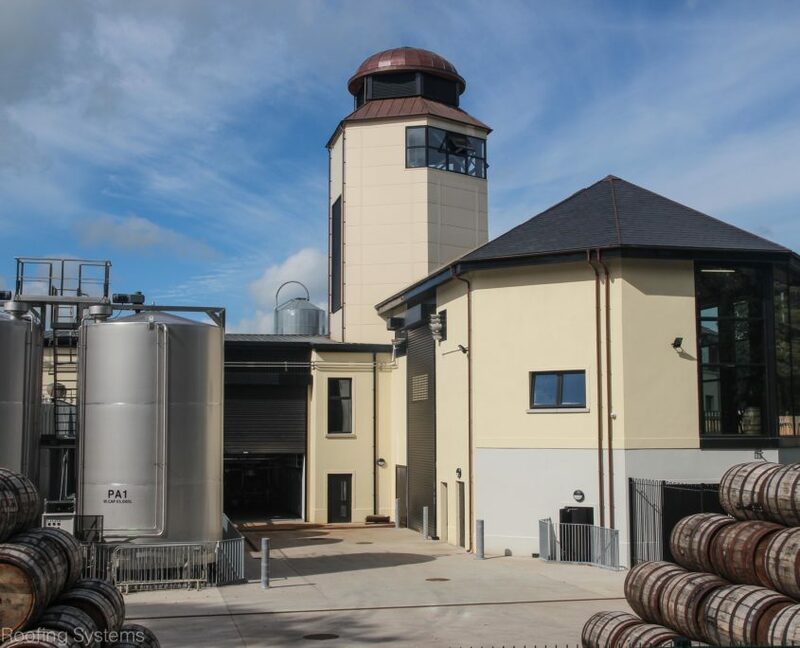 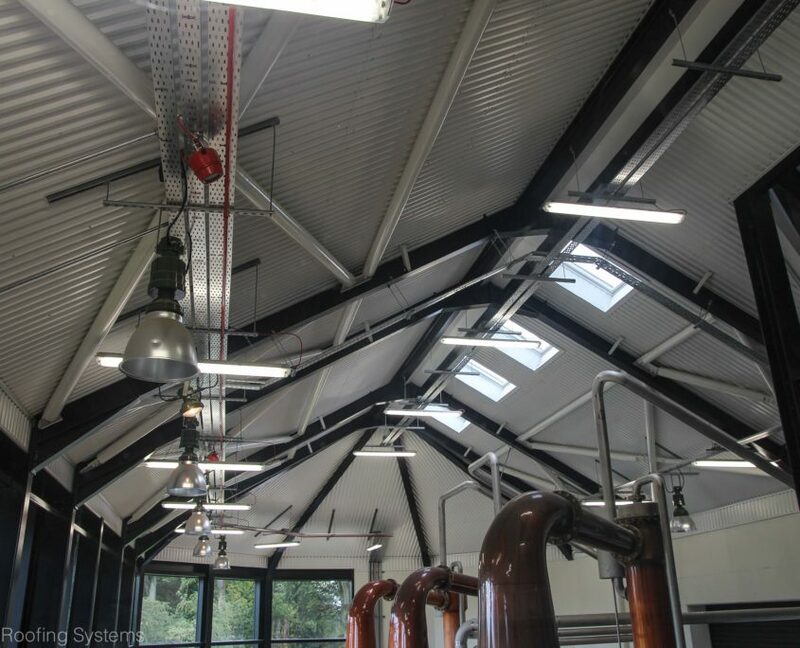 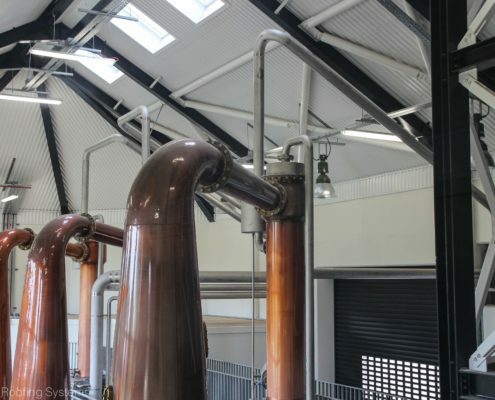 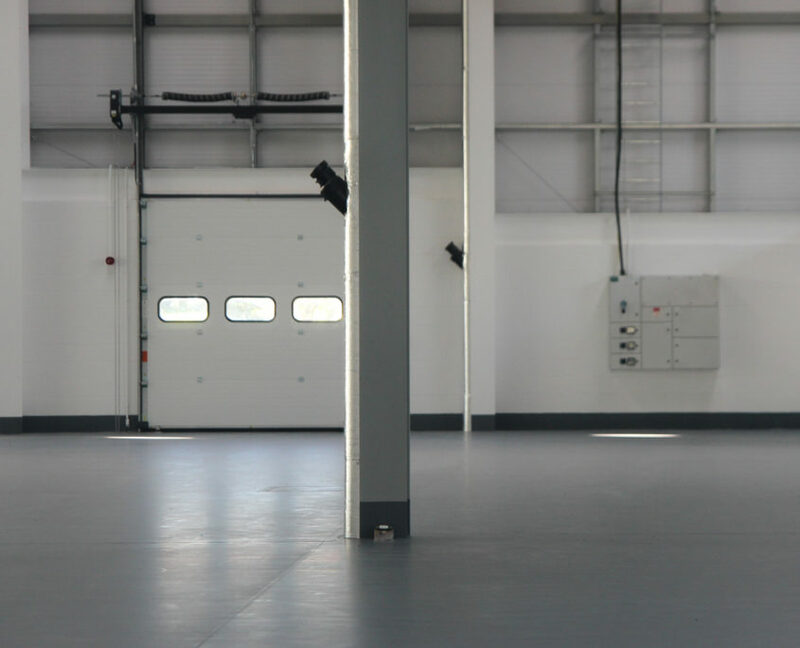 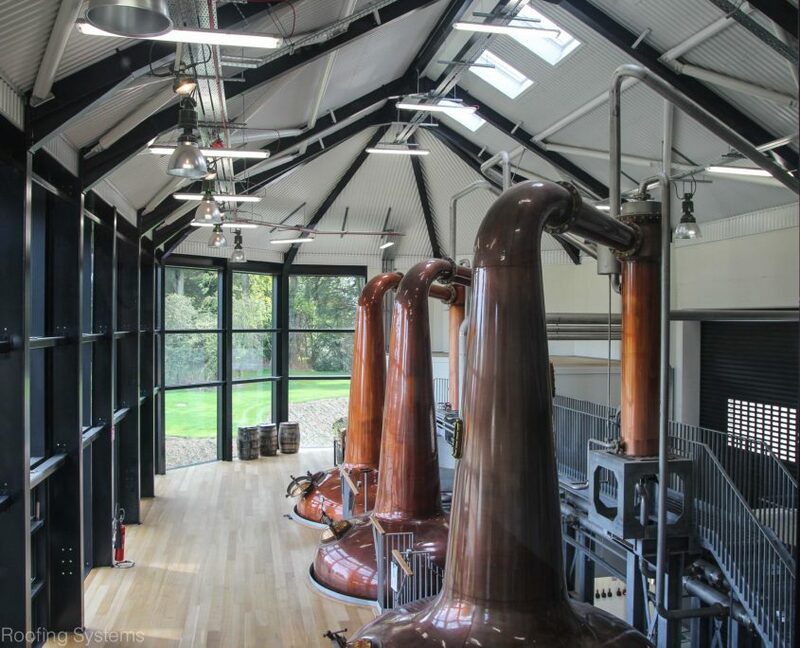 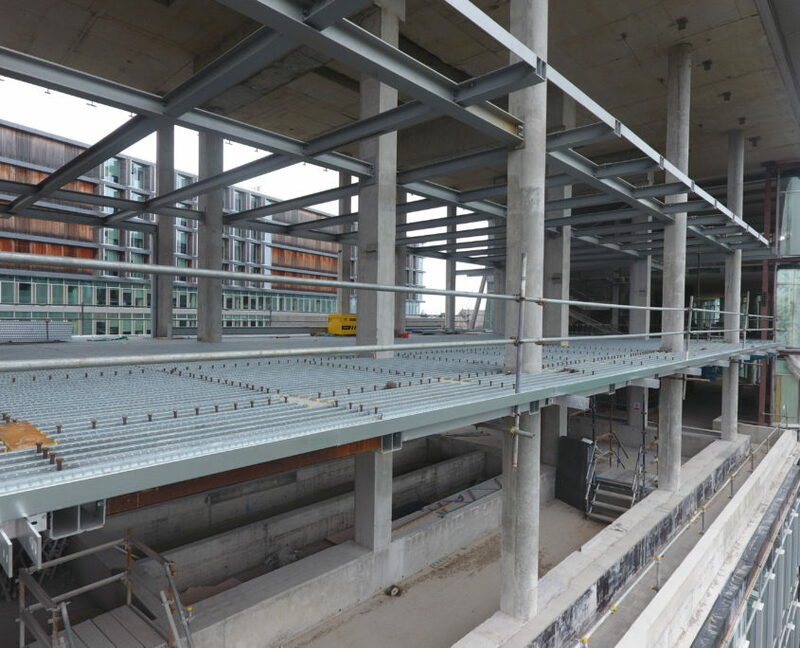 Project Details: SRS fabricated and erected 1400 tonnes of structural steelwork. 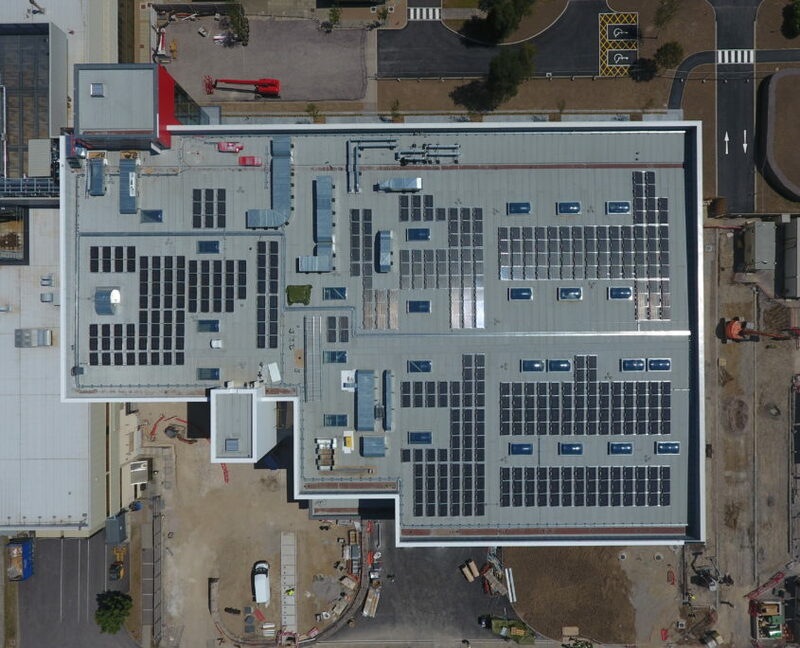 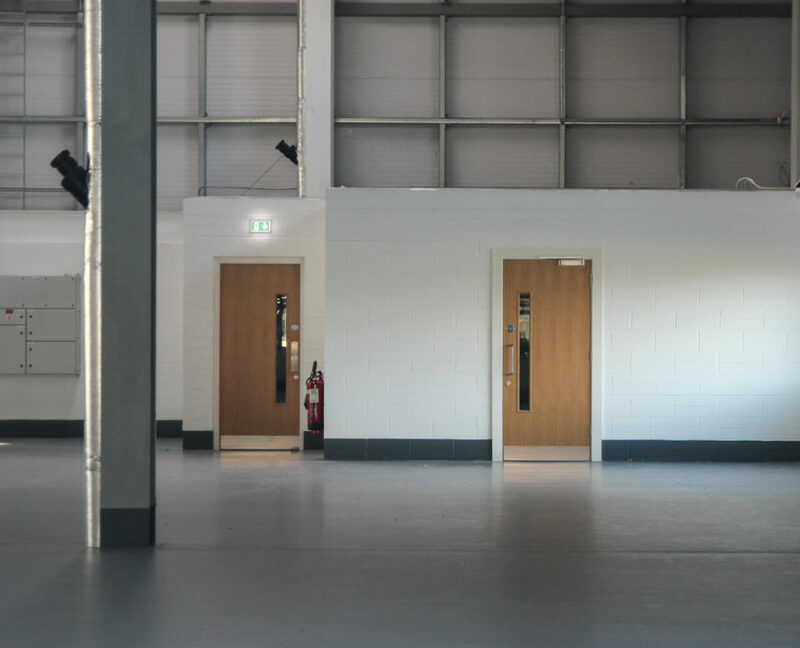 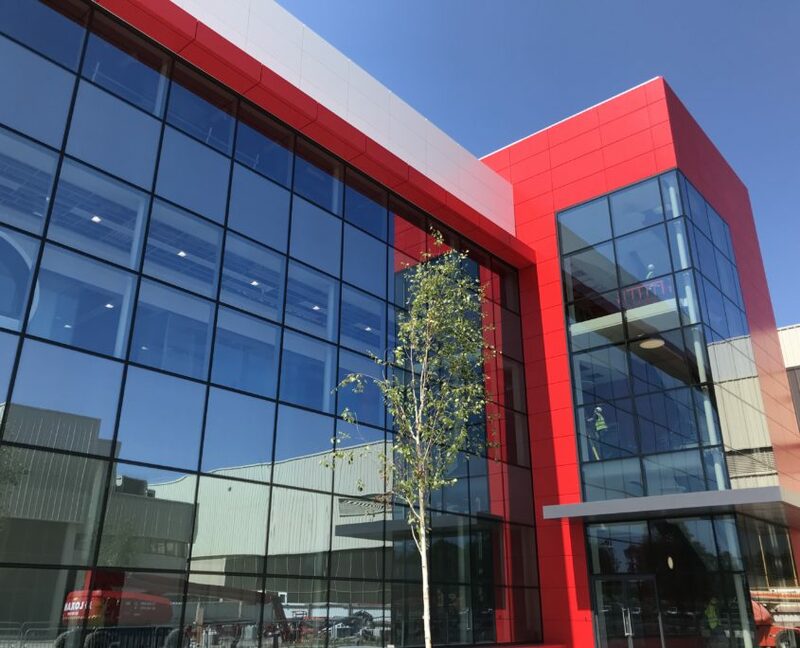 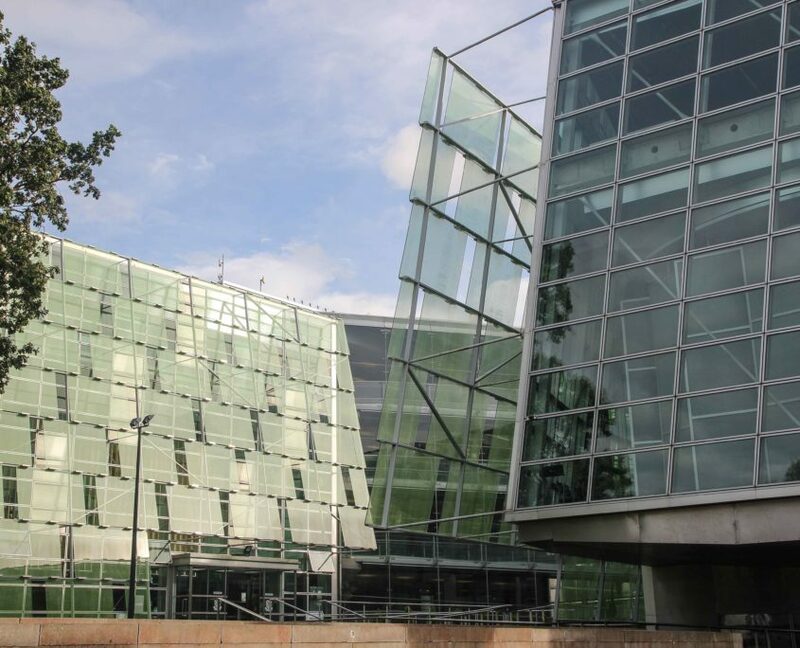 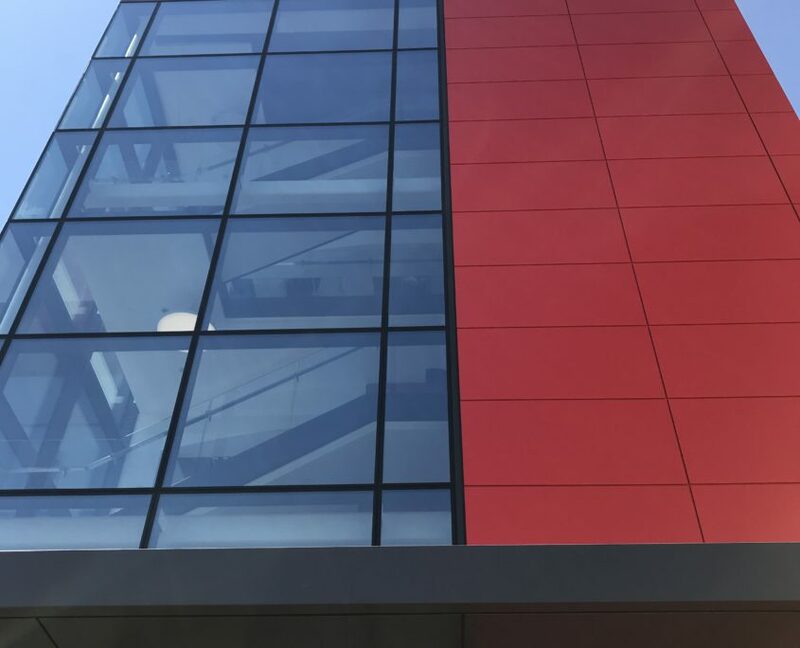 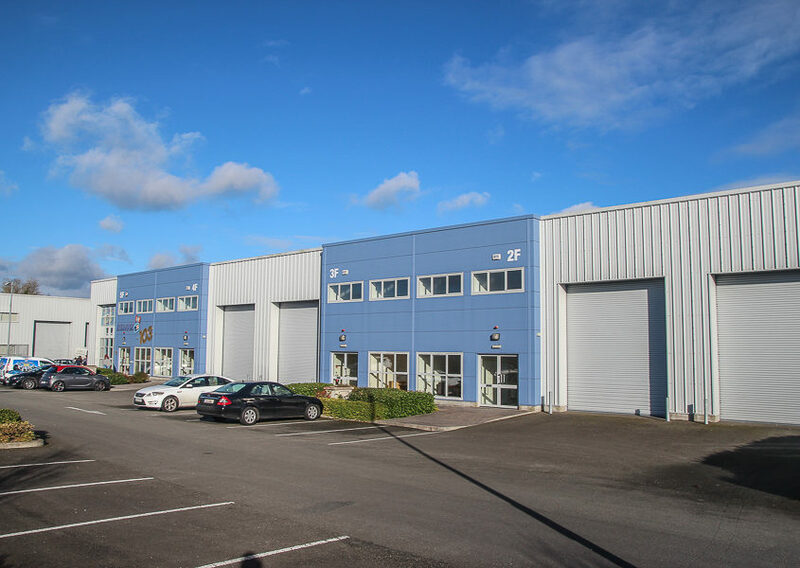 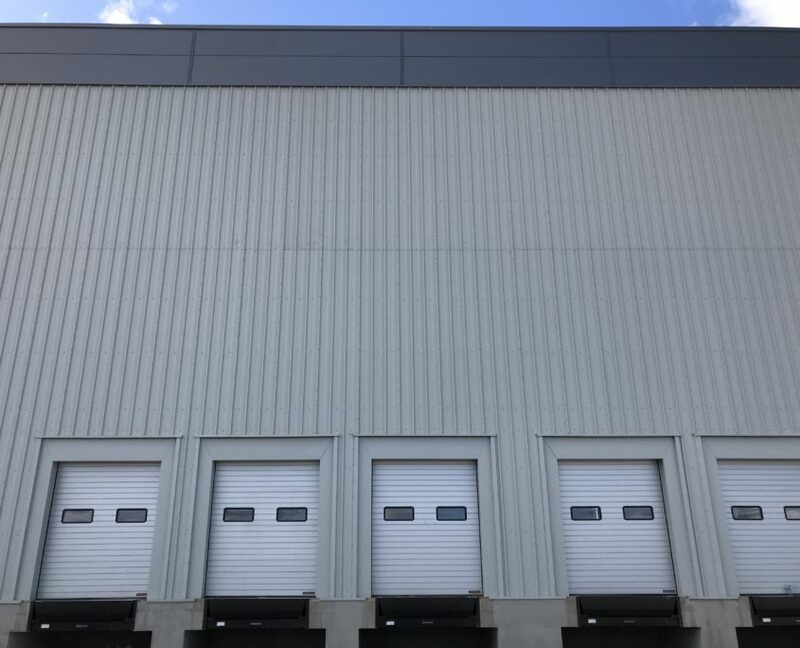 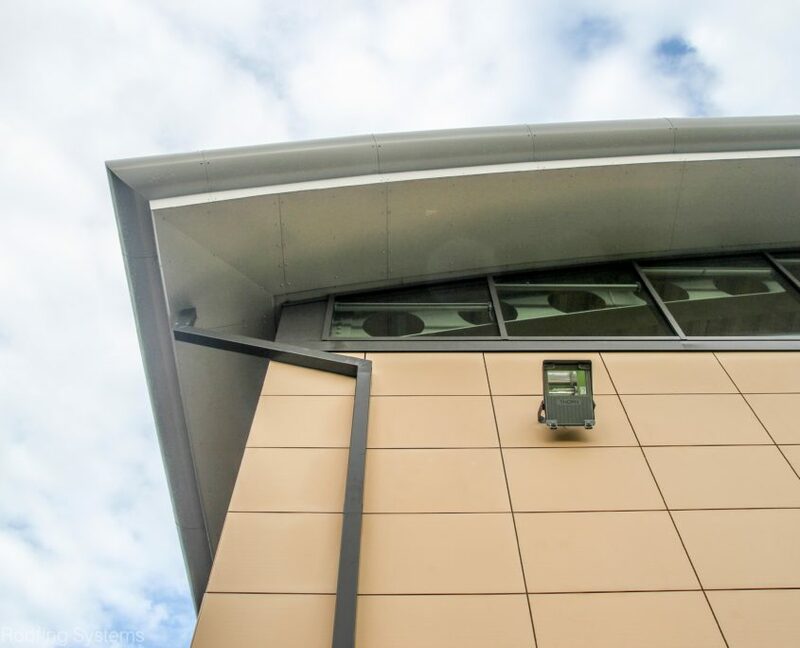 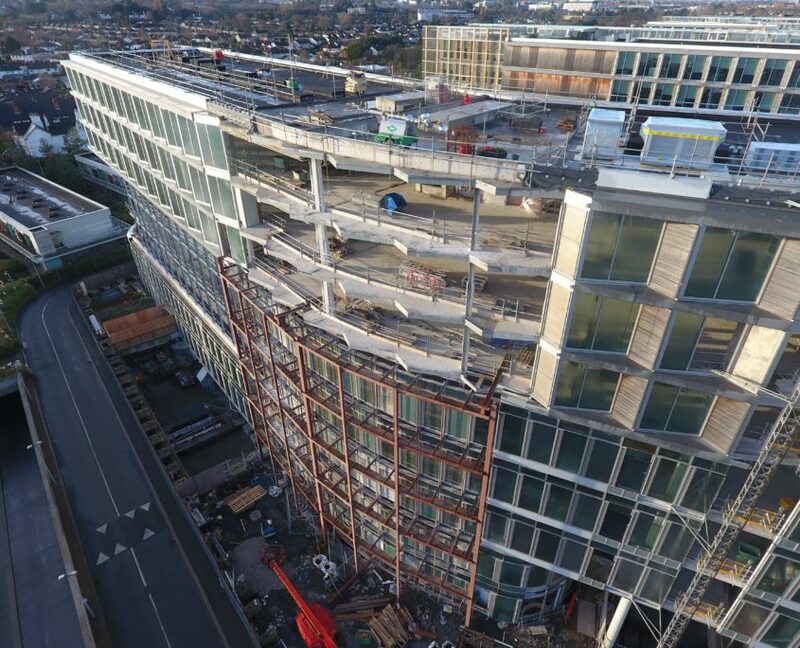 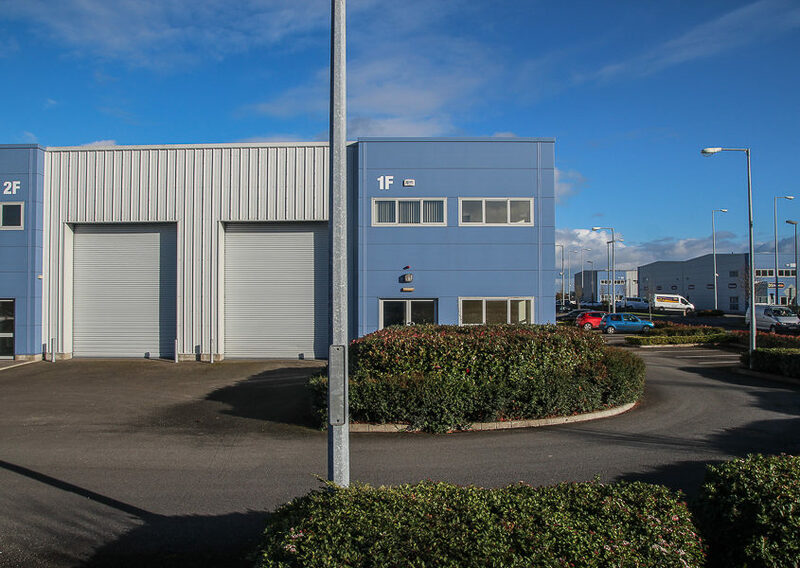 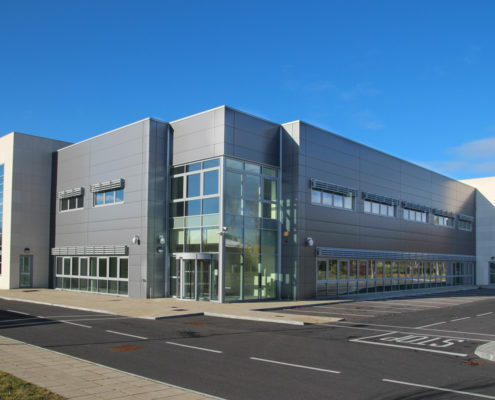 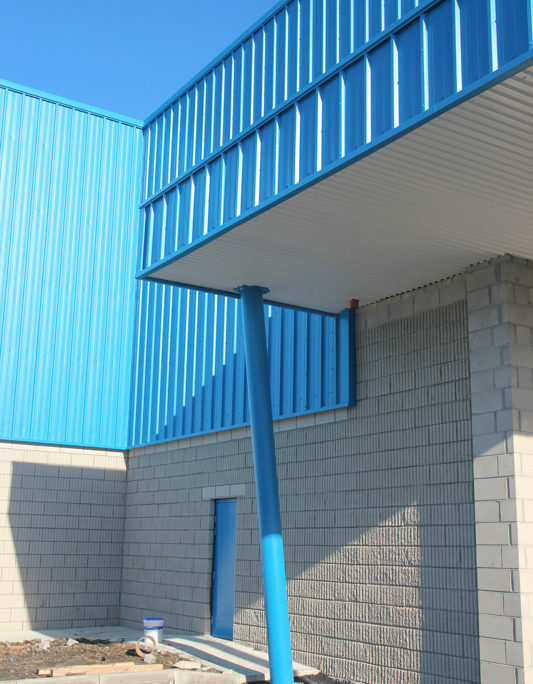 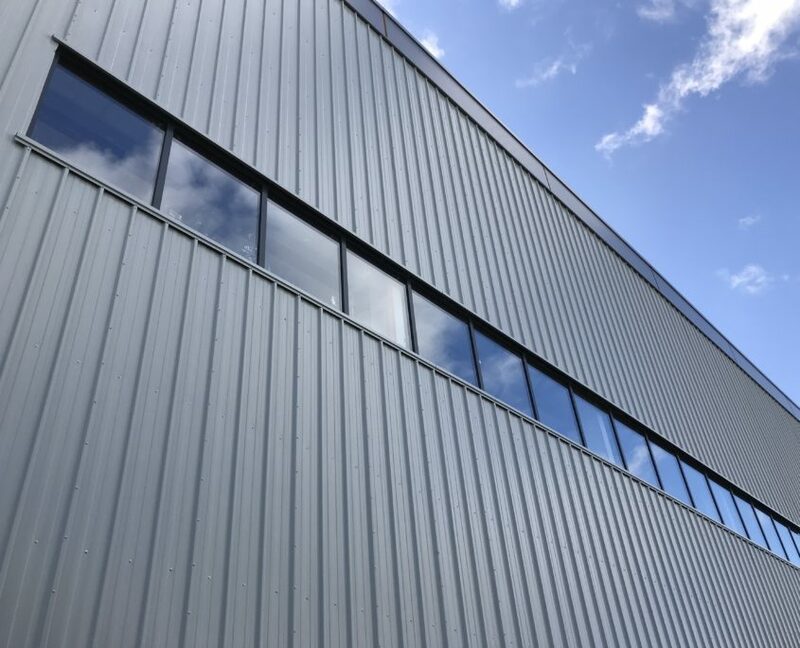 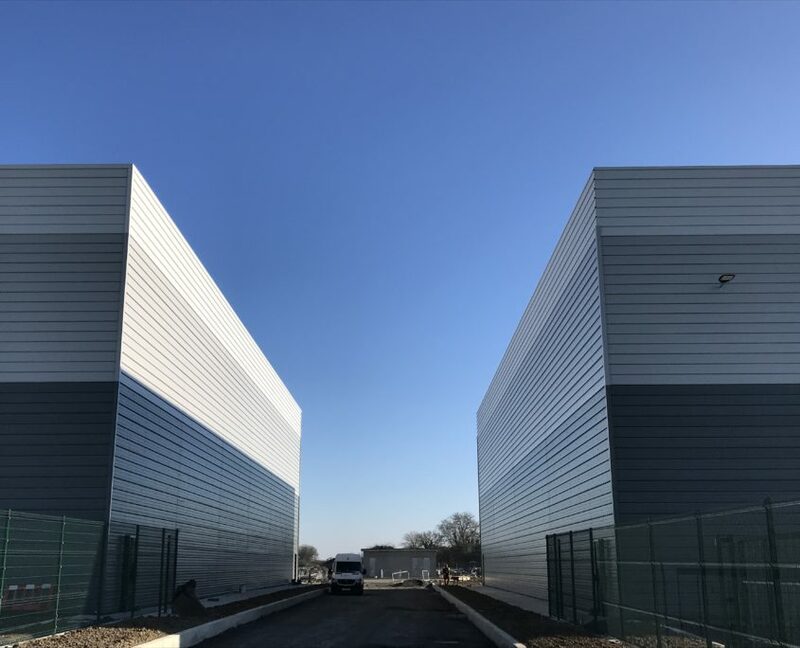 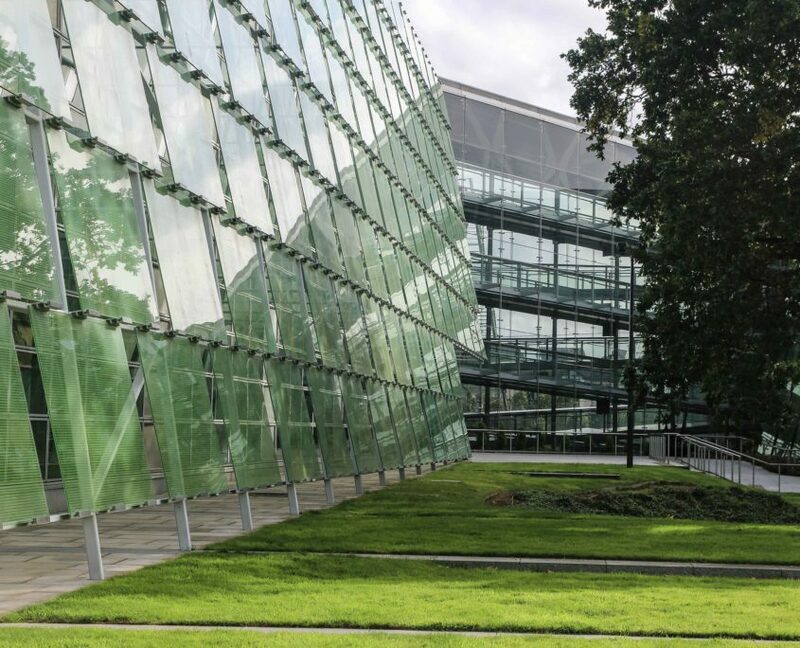 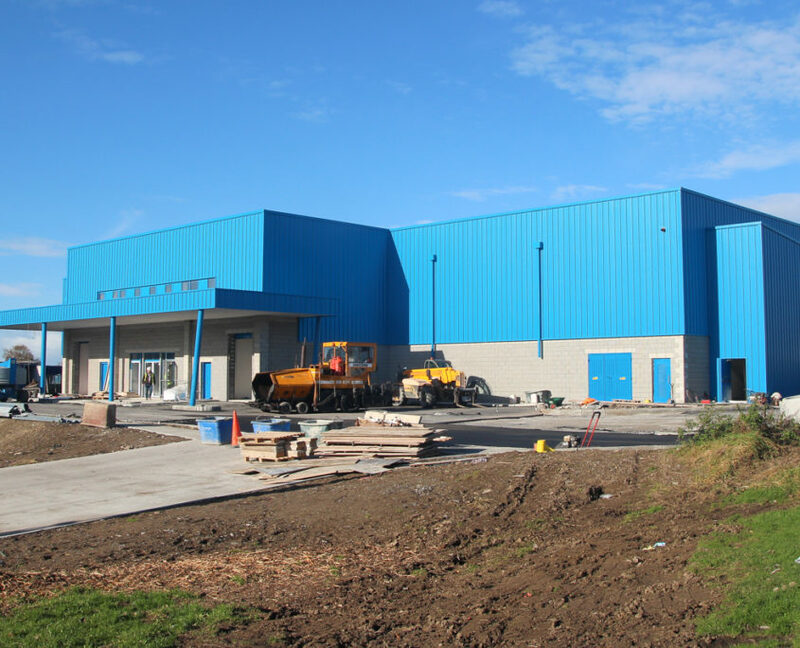 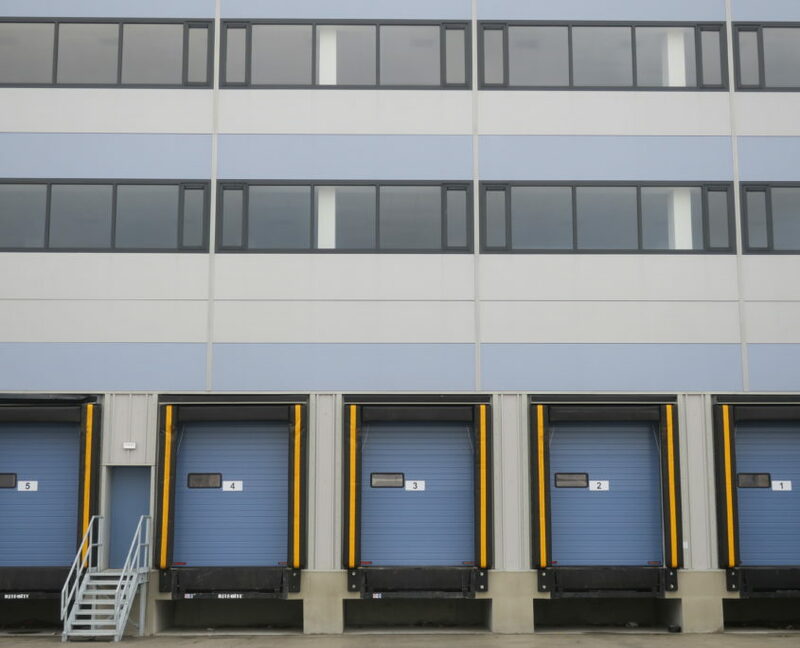 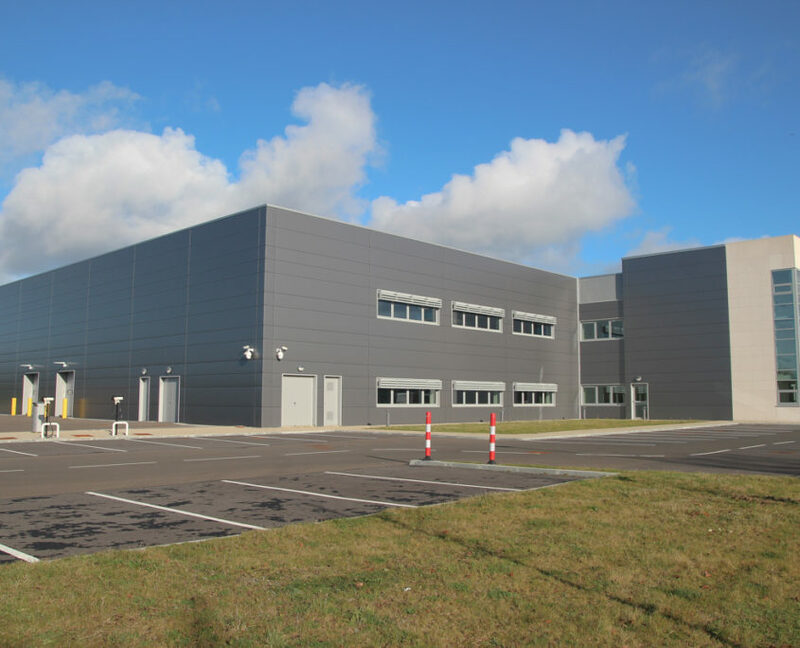 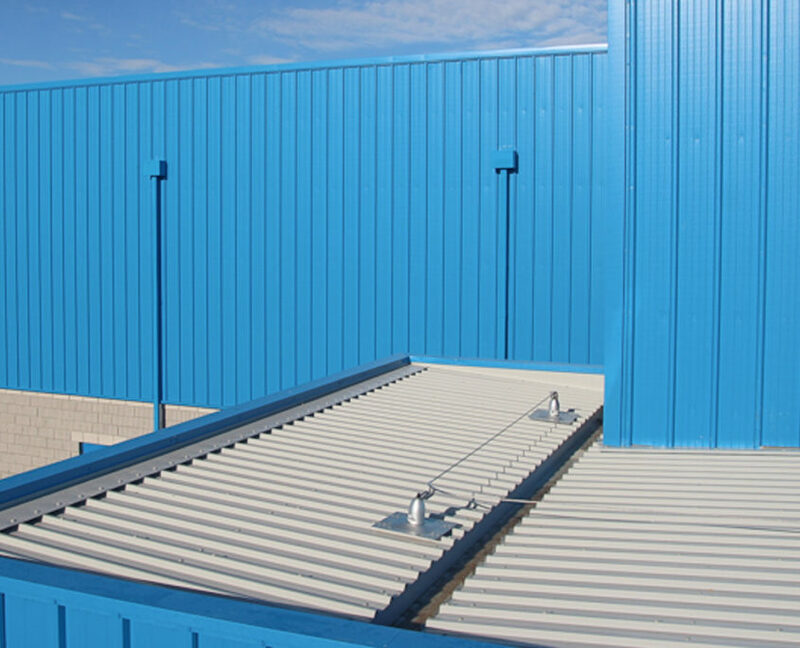 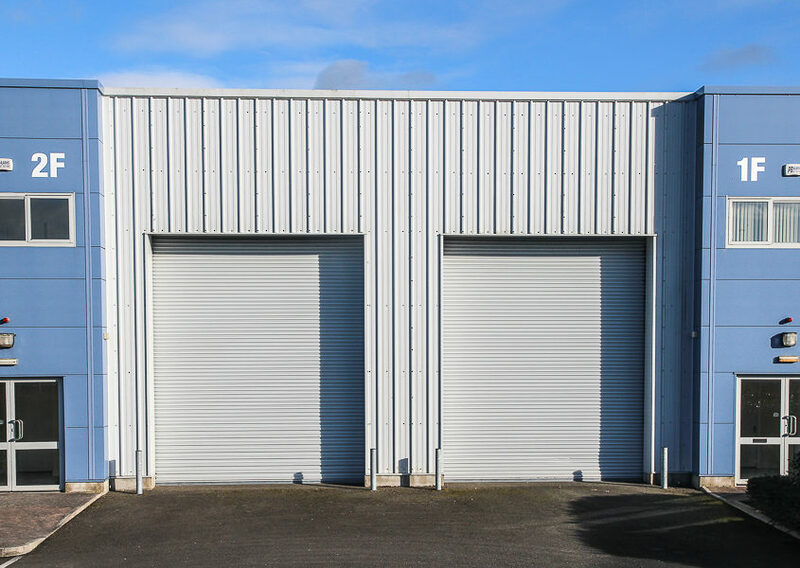 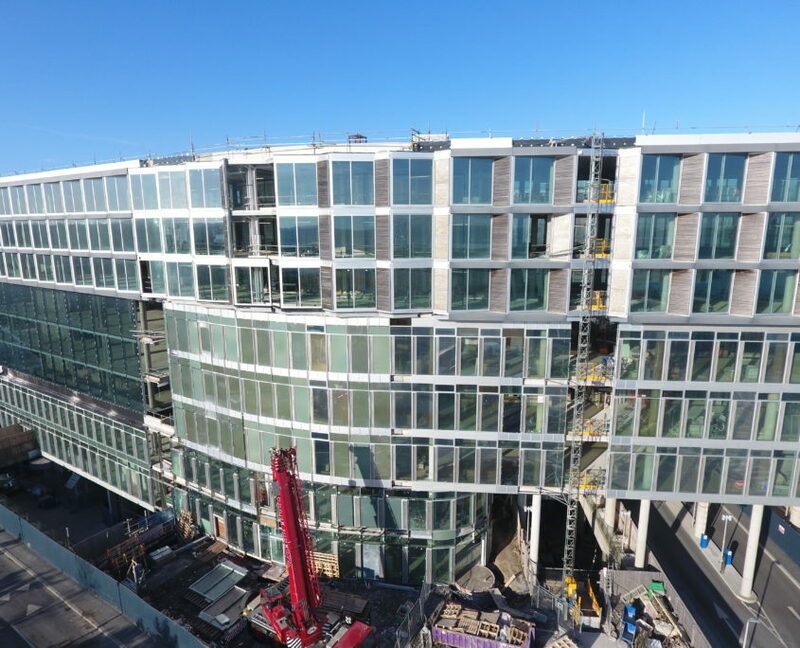 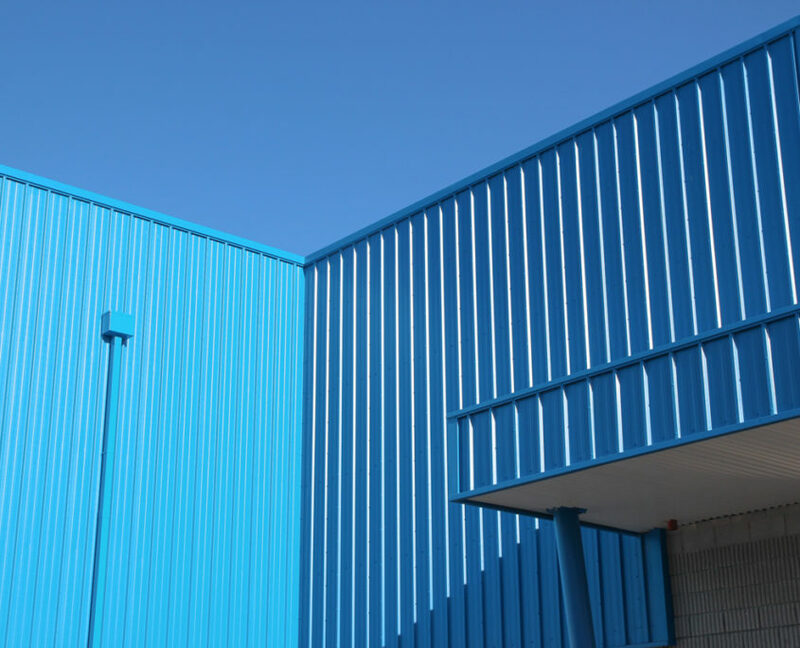 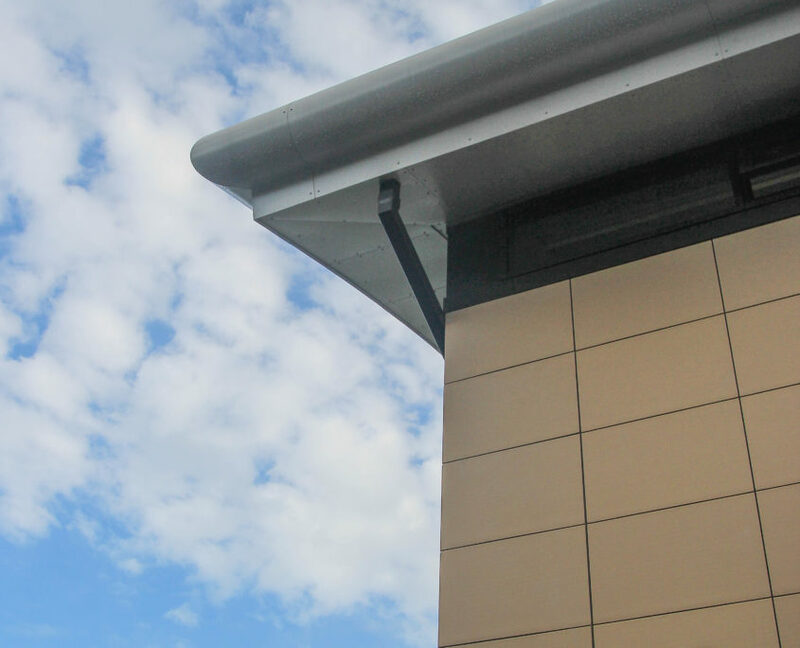 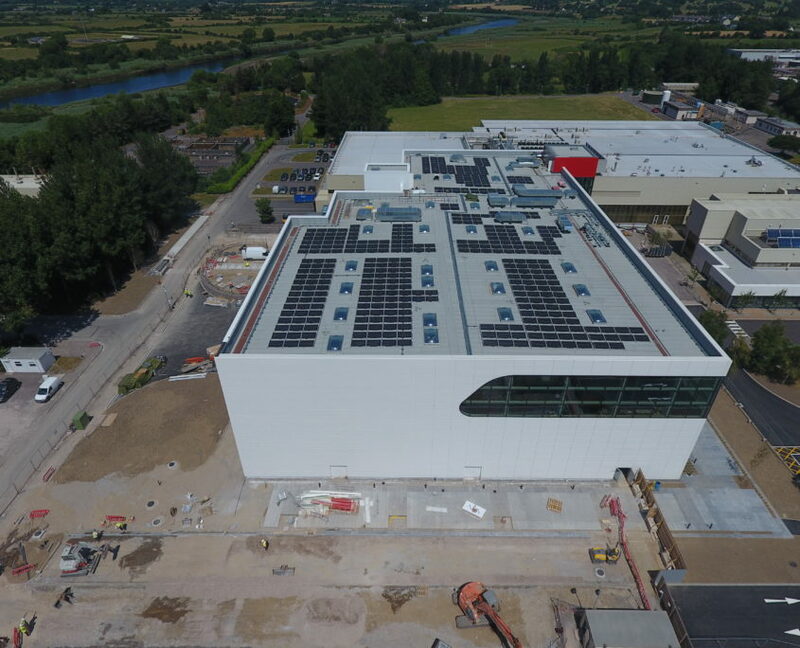 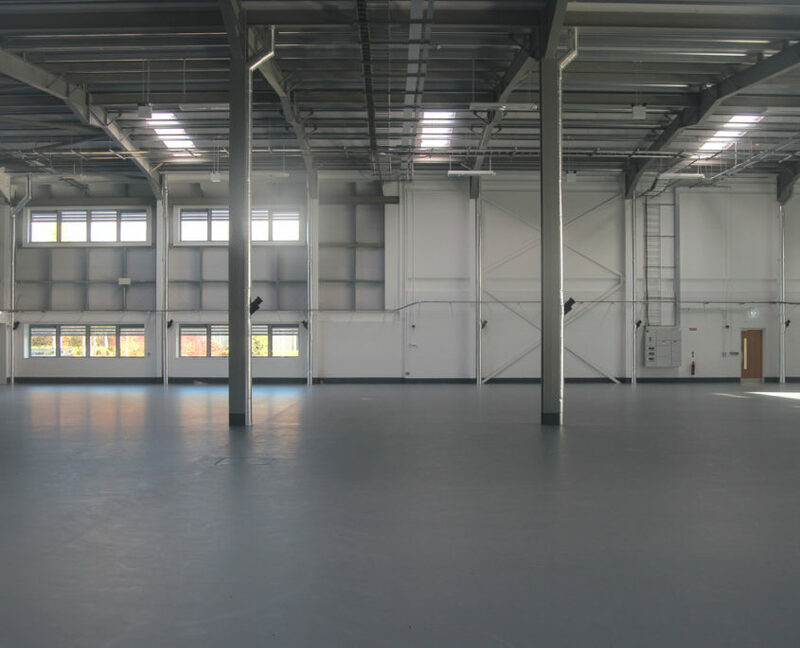 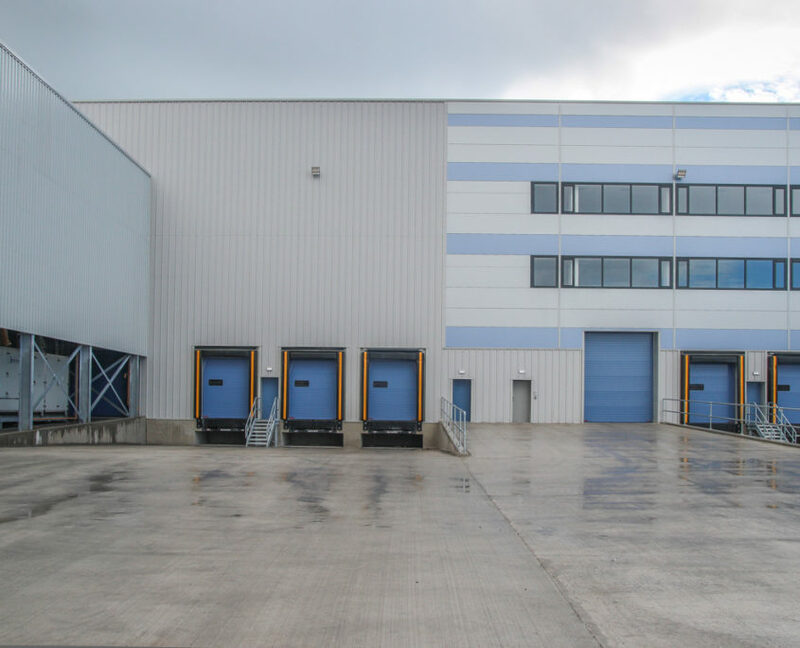 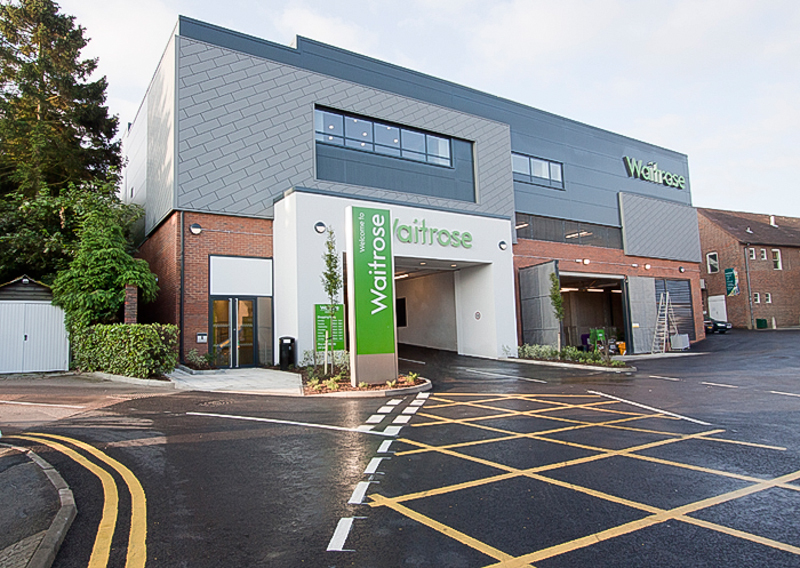 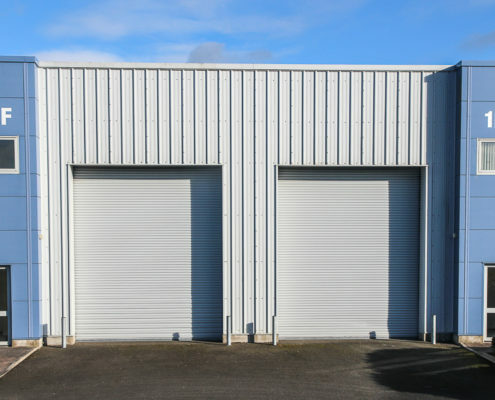 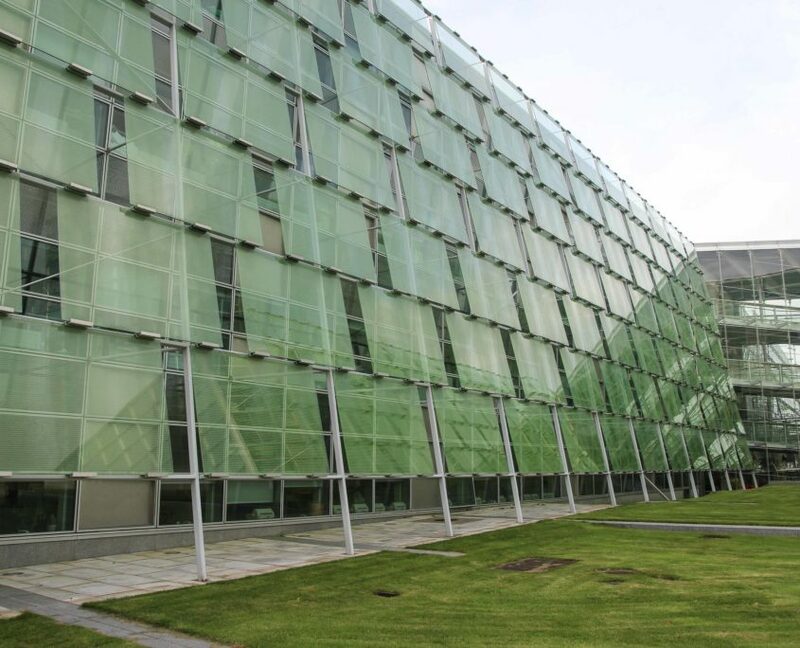 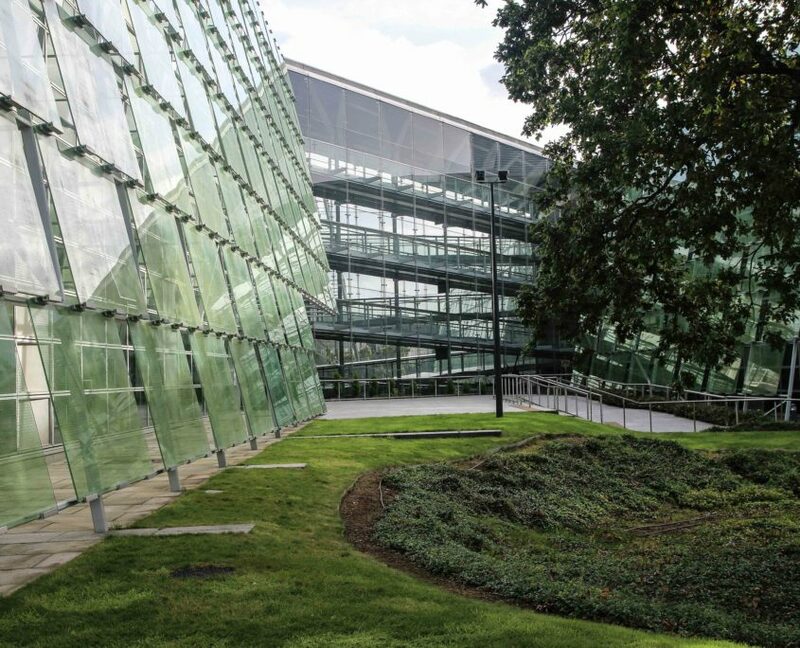 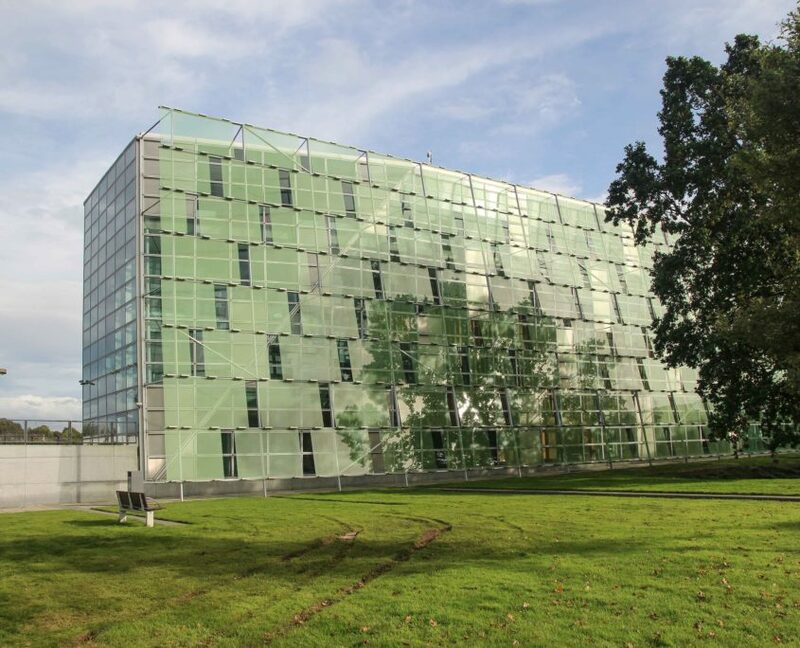 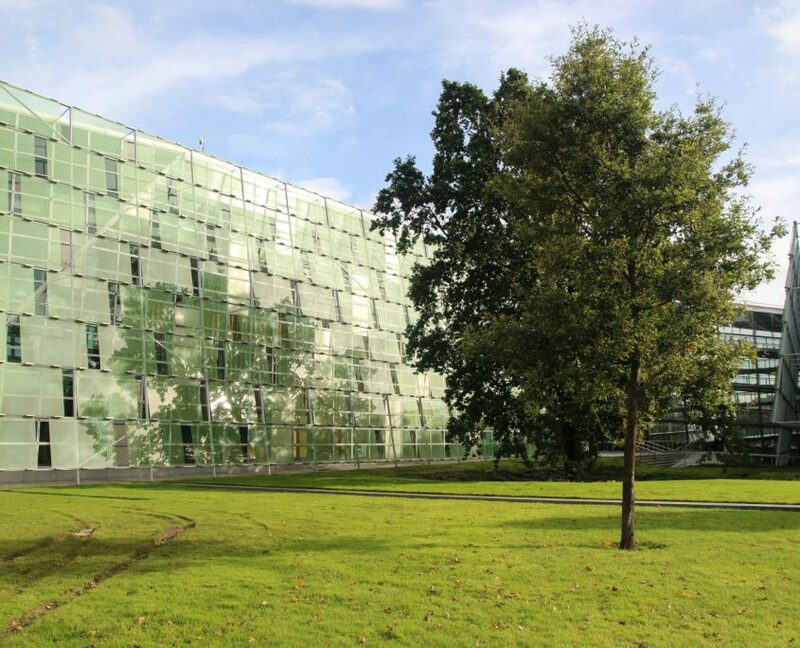 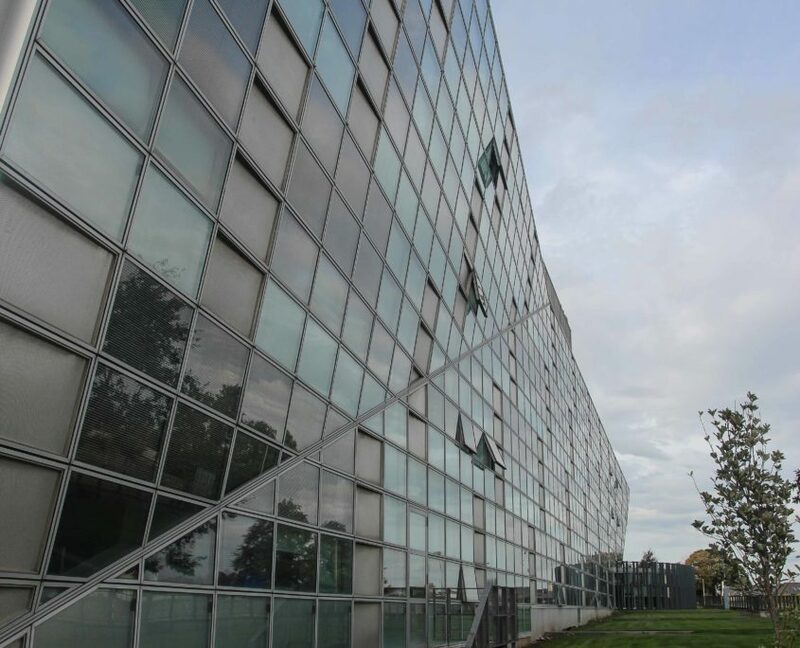 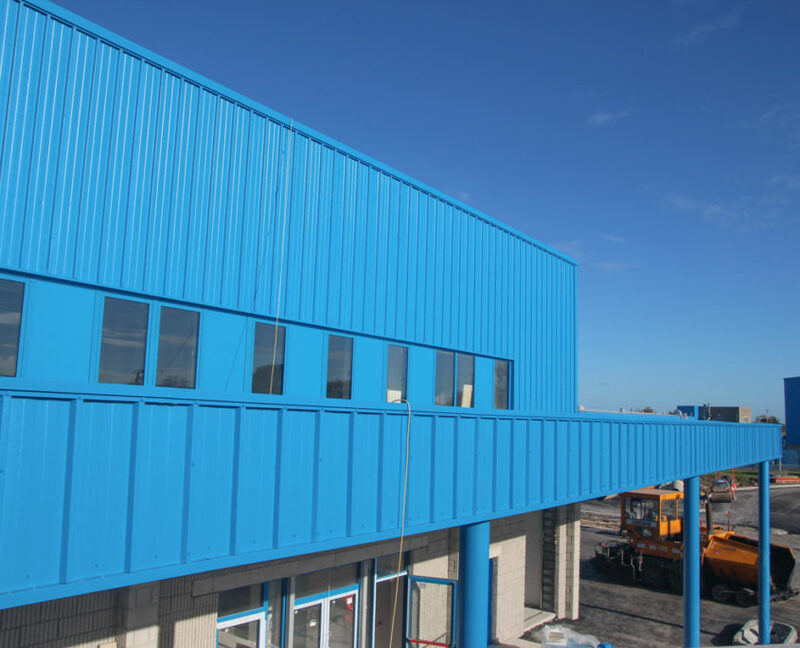 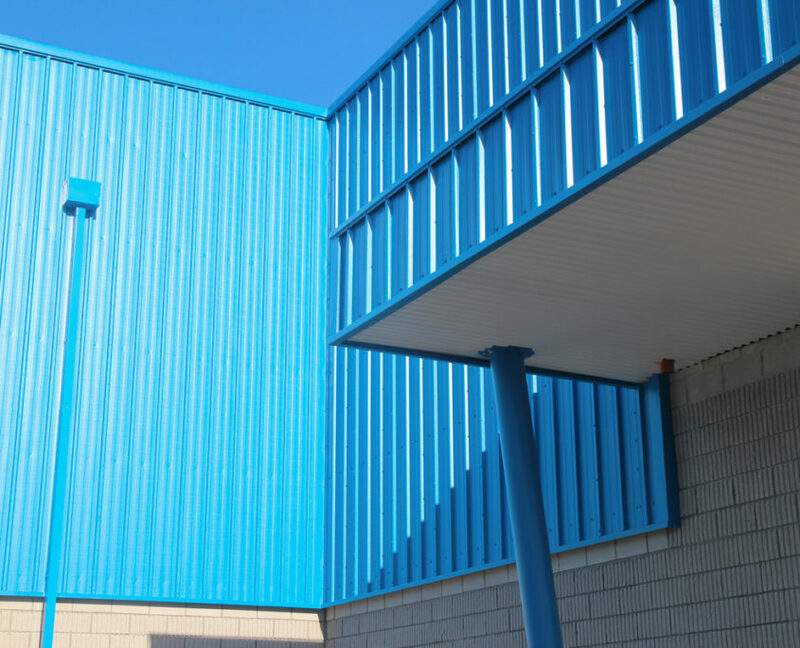 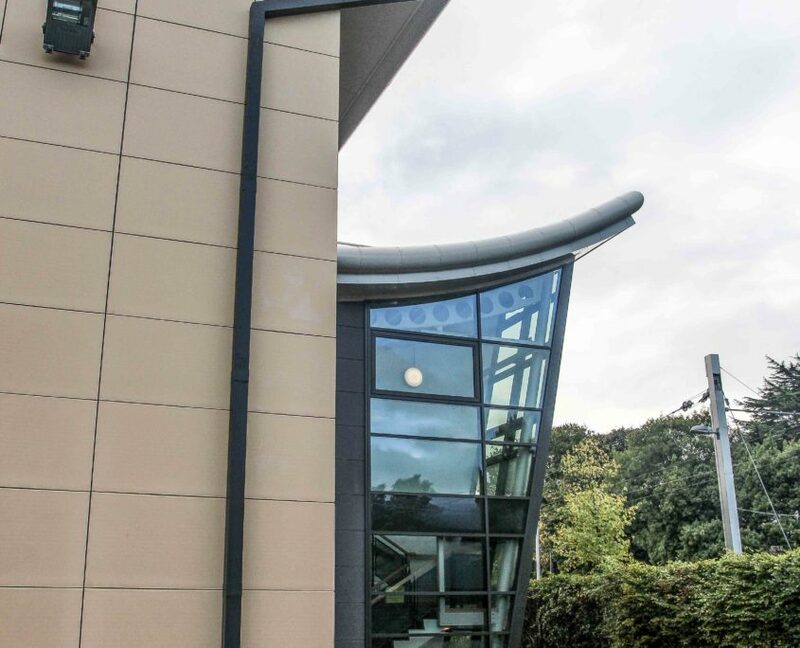 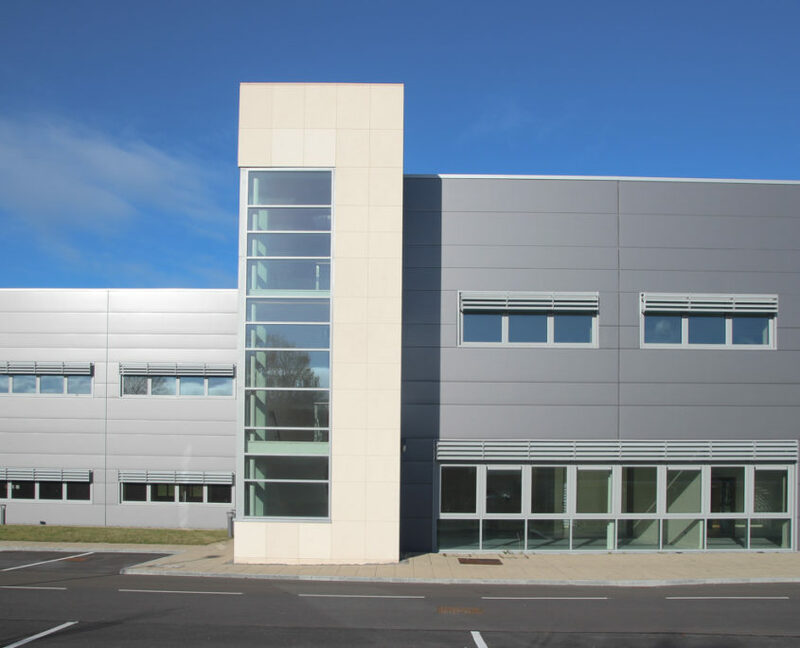 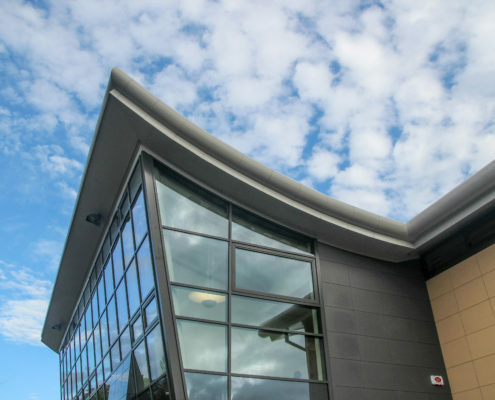 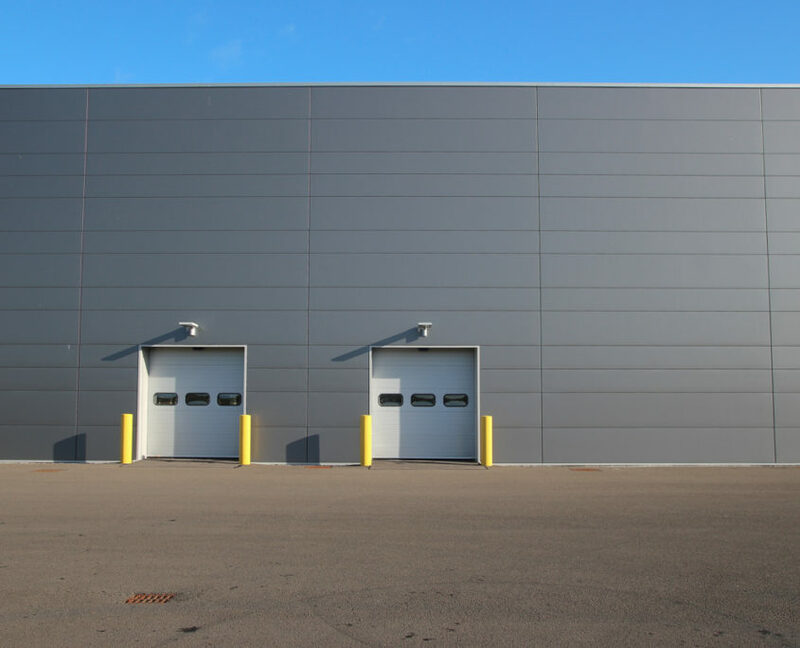 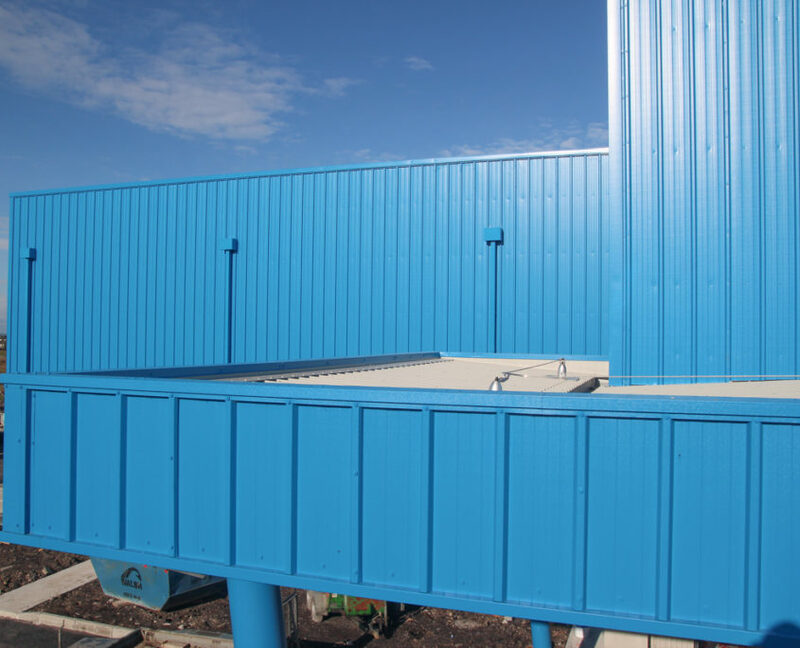 37,000m2 of cladding was also supplied and fitted by SRS. 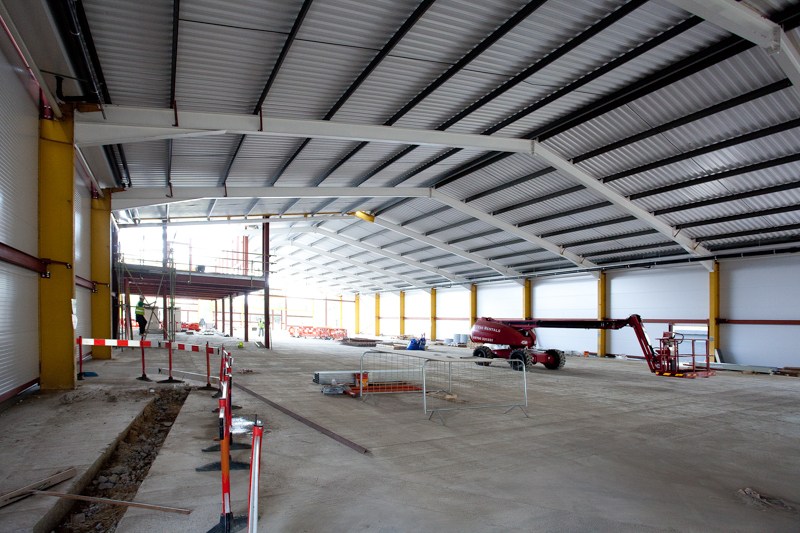 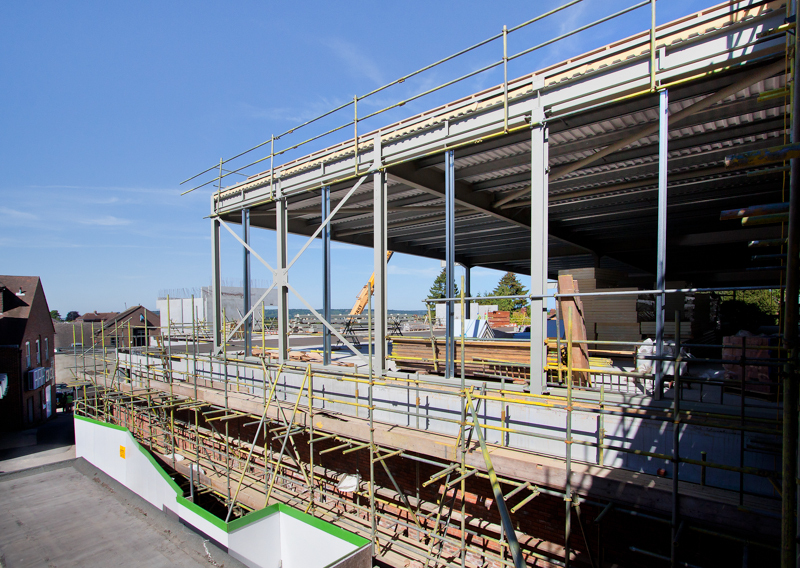 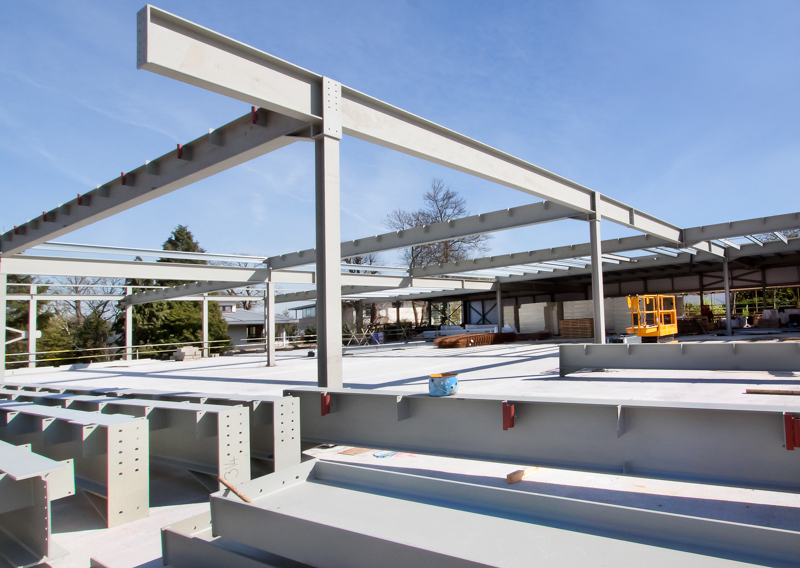 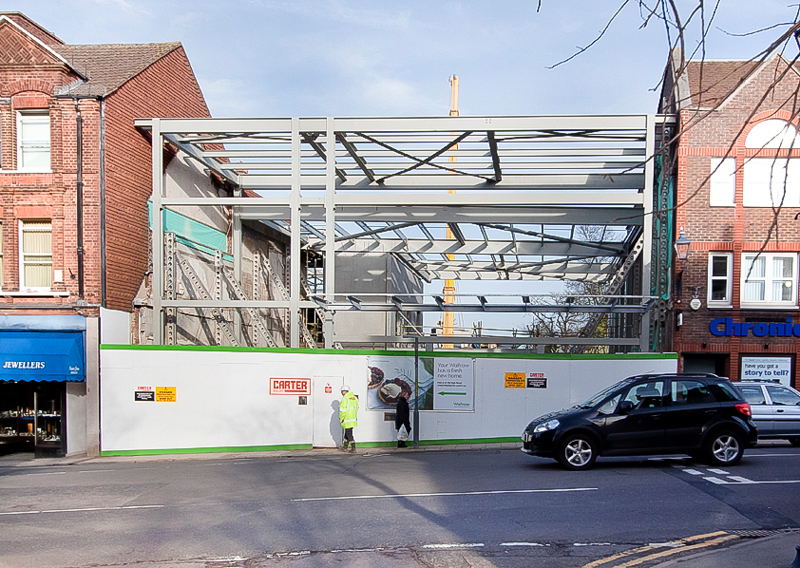 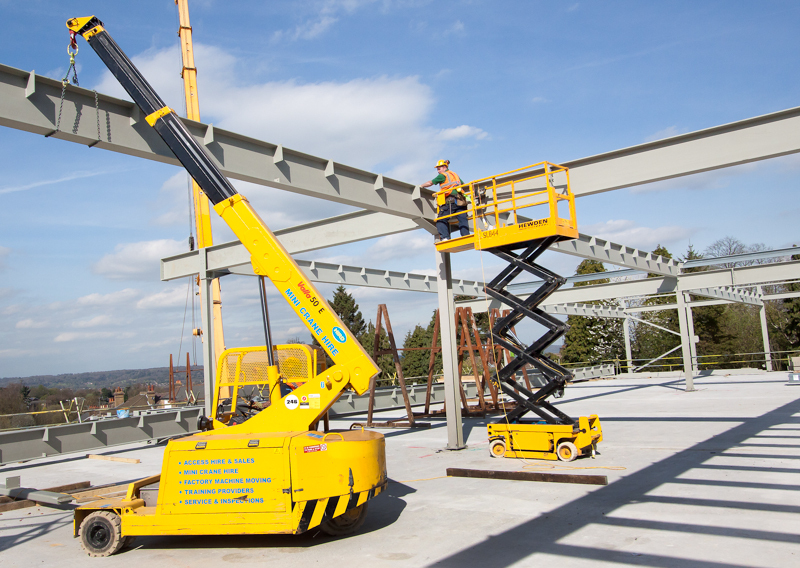 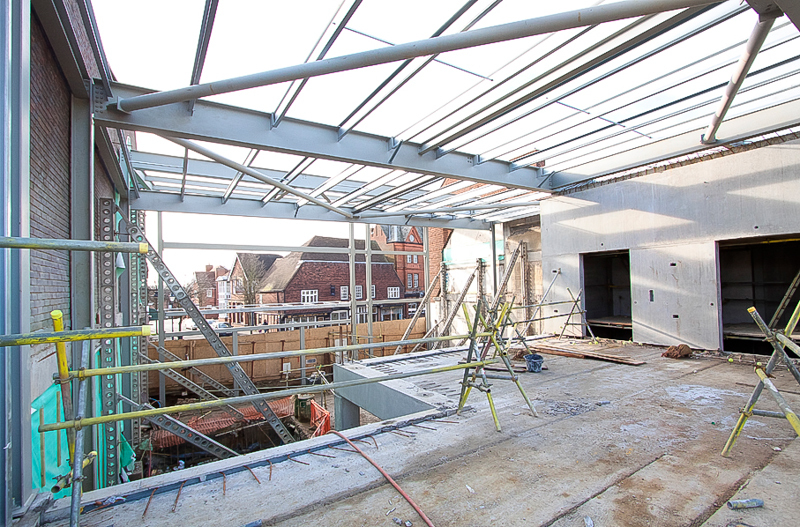 Project Details: Fabrication and erection of 150 tonnes of steelwork for a new Audi showroom. 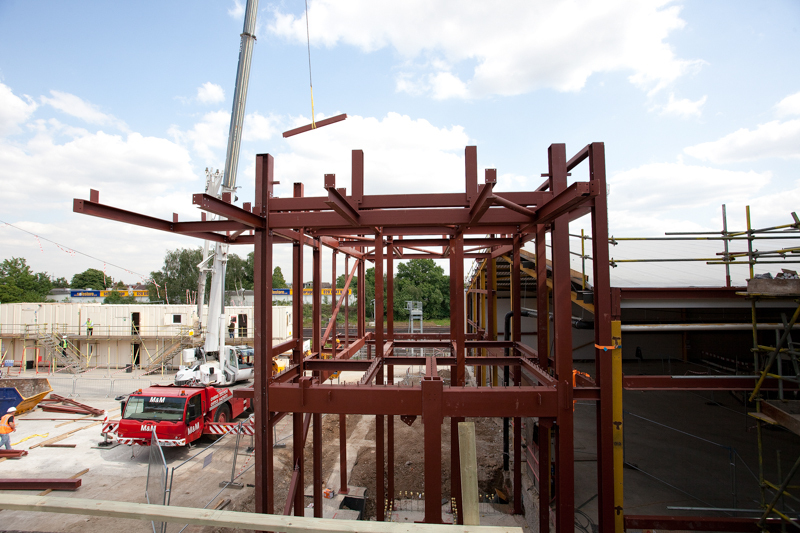 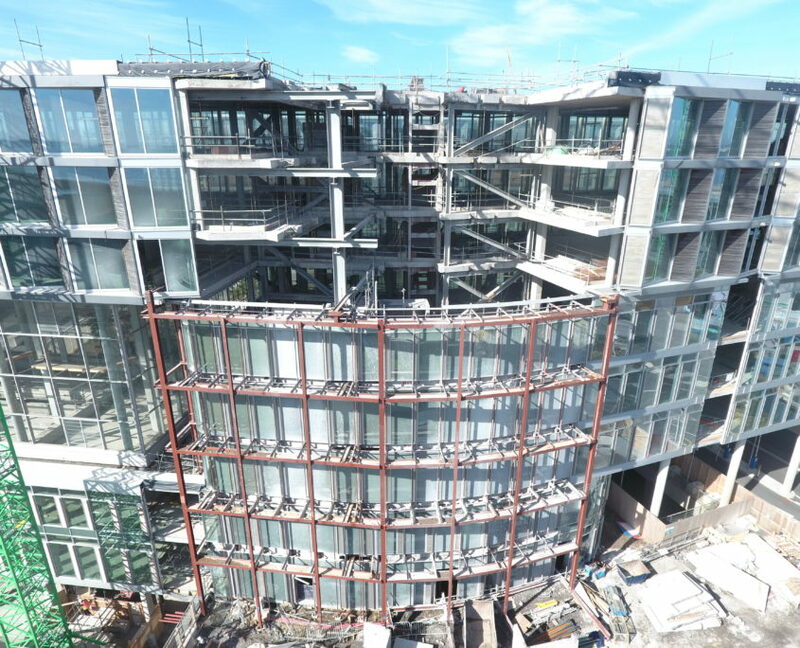 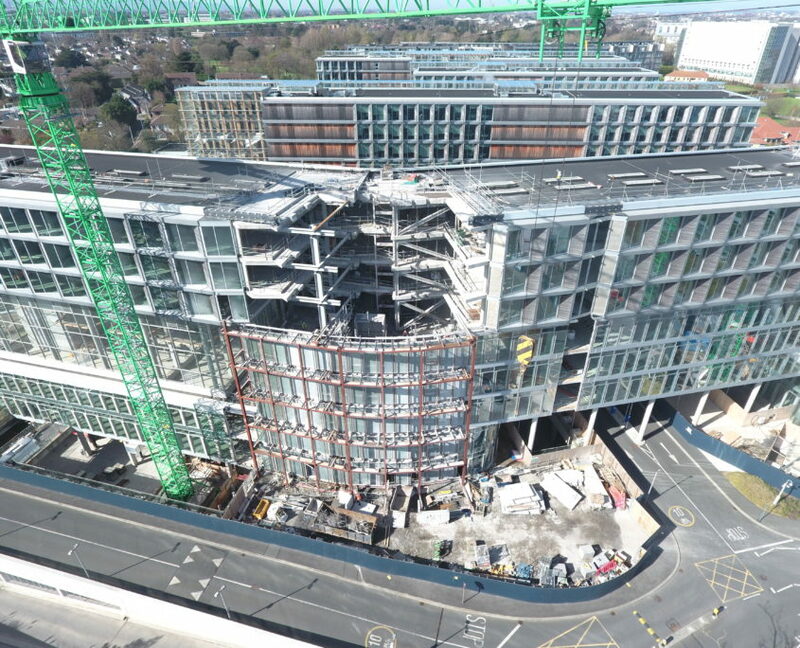 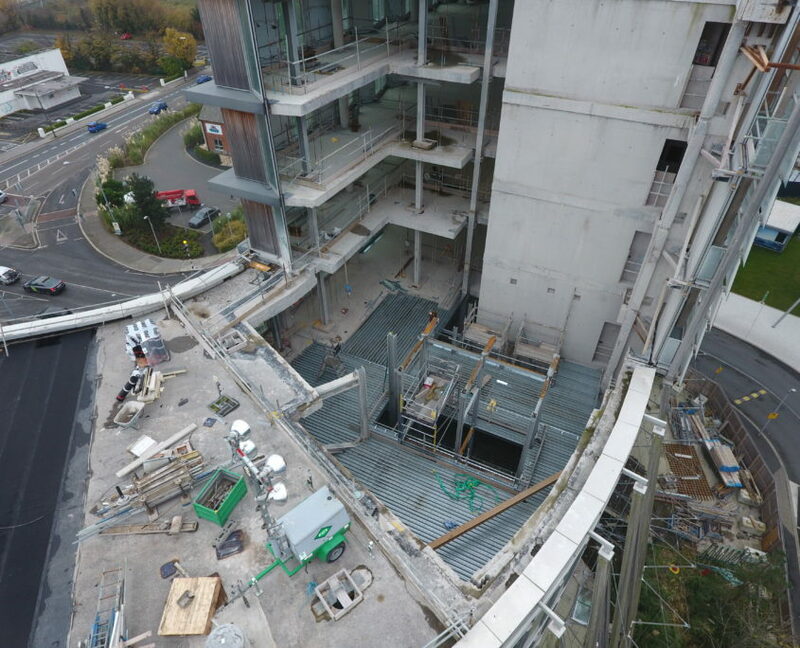 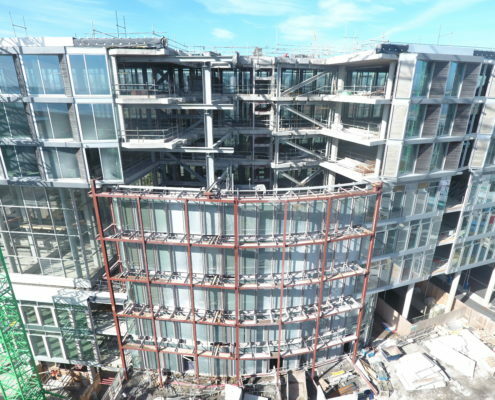 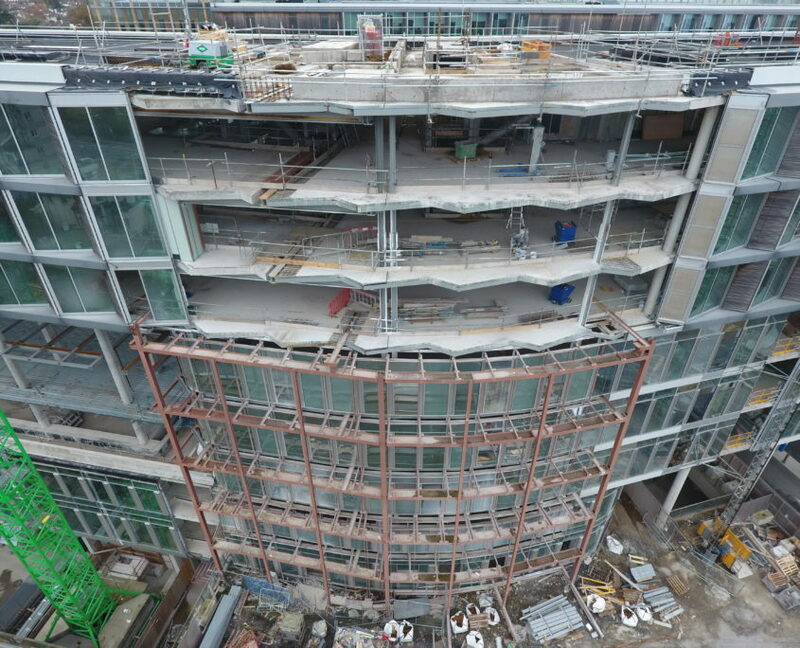 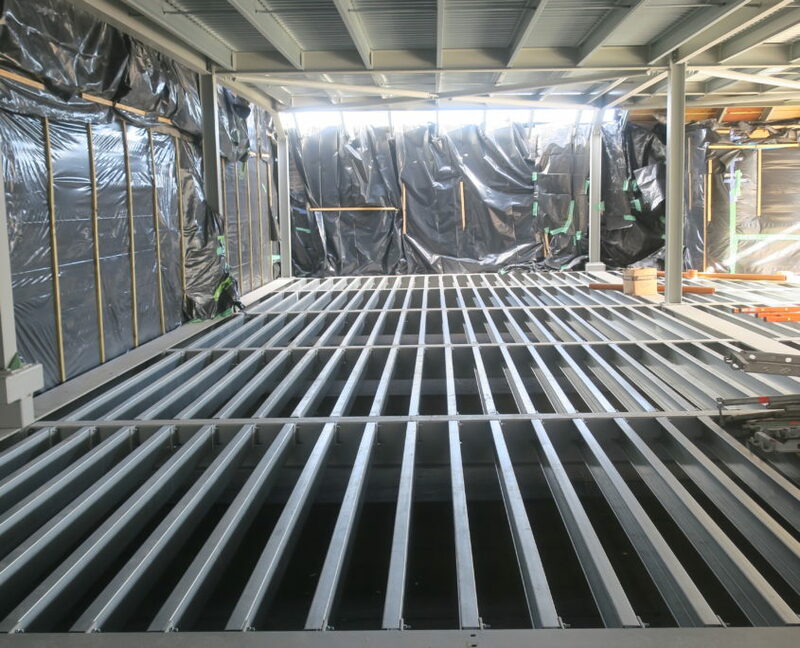 Project Details: Fabrication and erection of 110 tonnes of structural steelwork for Taxback offices. 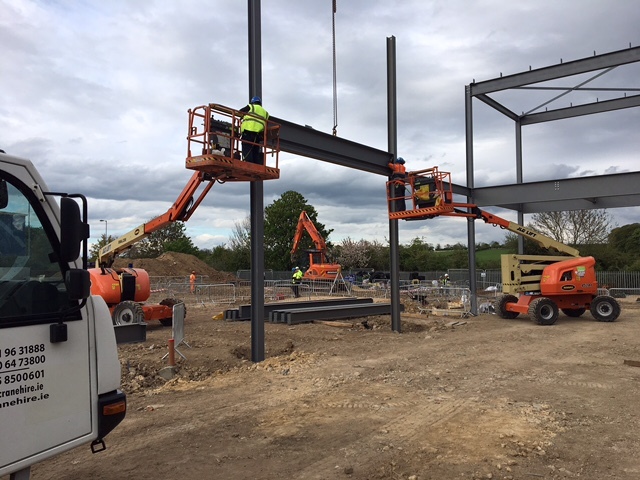 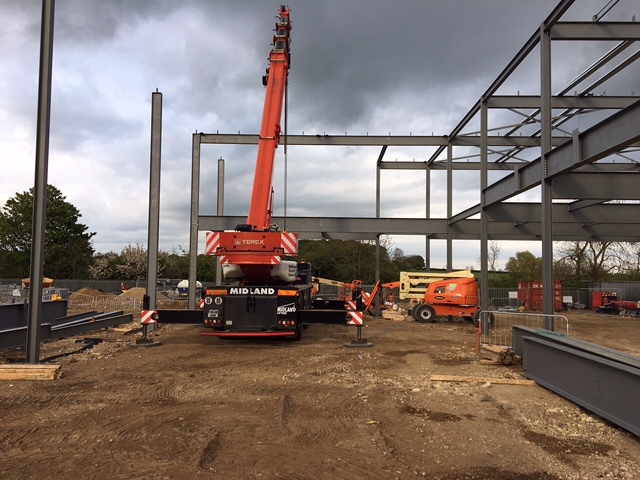 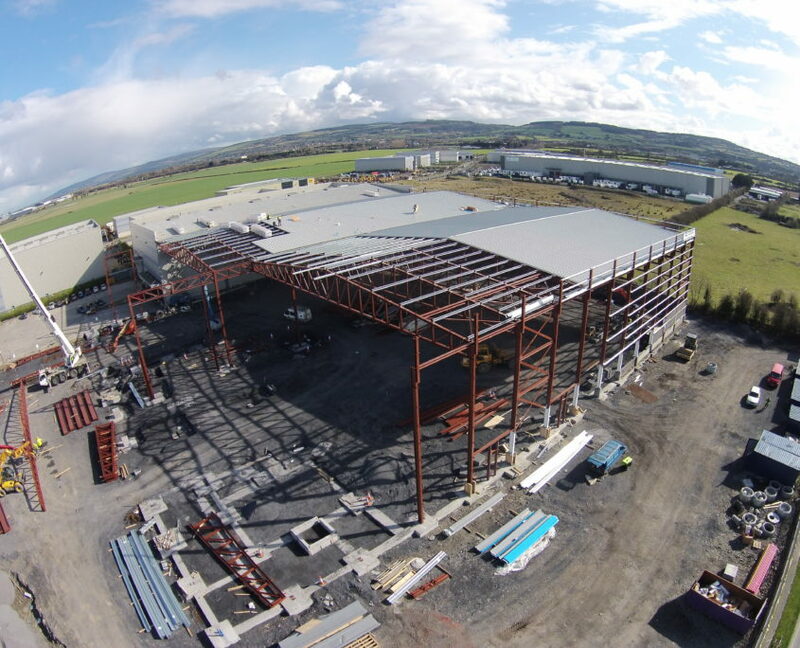 Project Details: Fabrication and erection of 475 tonnes of steelwork for a new pharmaceutical industrial unit. 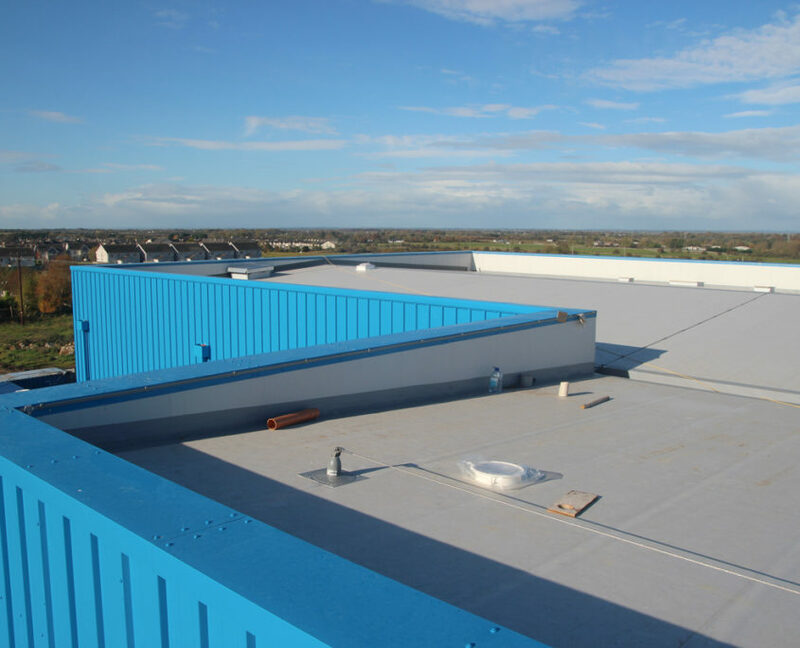 SRS also supplied and installed and wall and roof cladding. 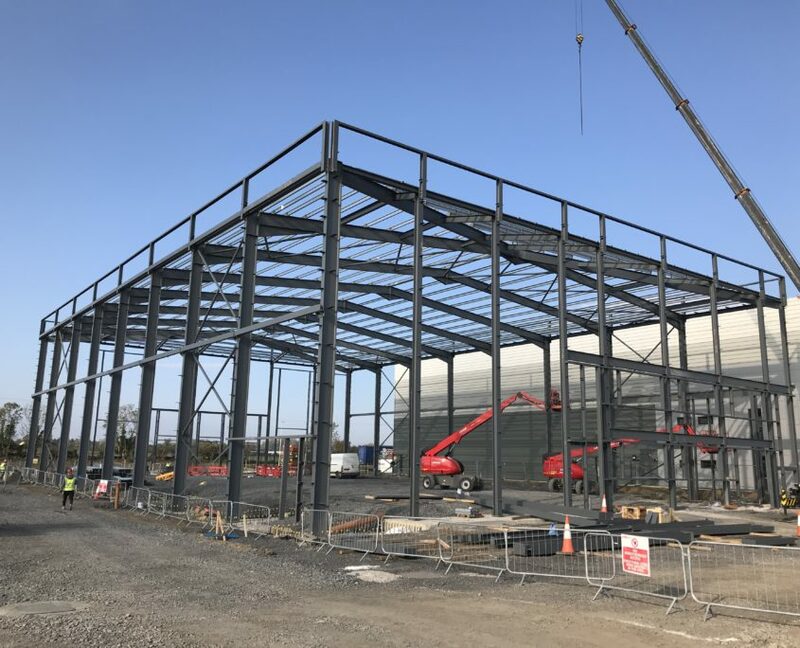 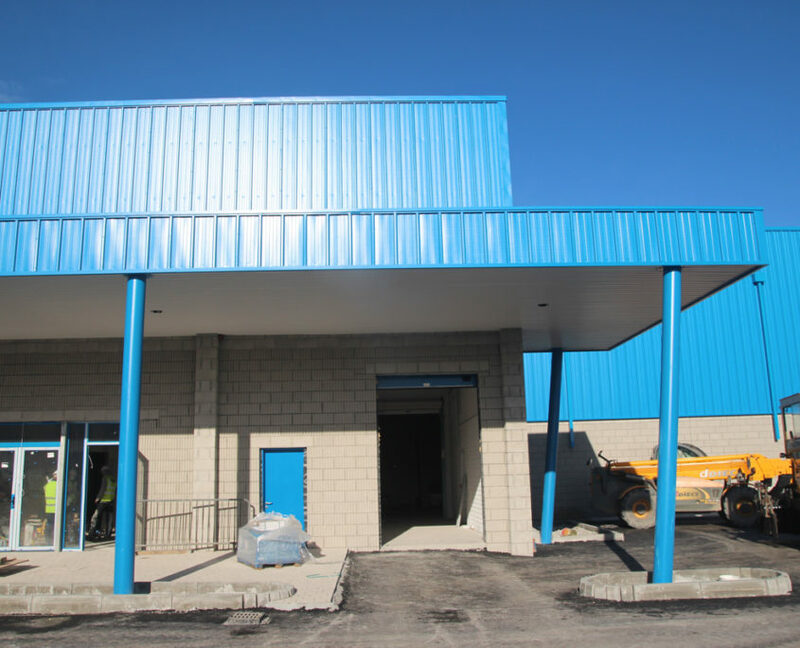 Project Details: Fabrication and erection of 220 tonnes of steelwork for a 2700m2 industrial unit. Project Details: Fabrication and erection of 110 tonnes of steelwork, supply and installation of 200m2 of roof and wall cladding. 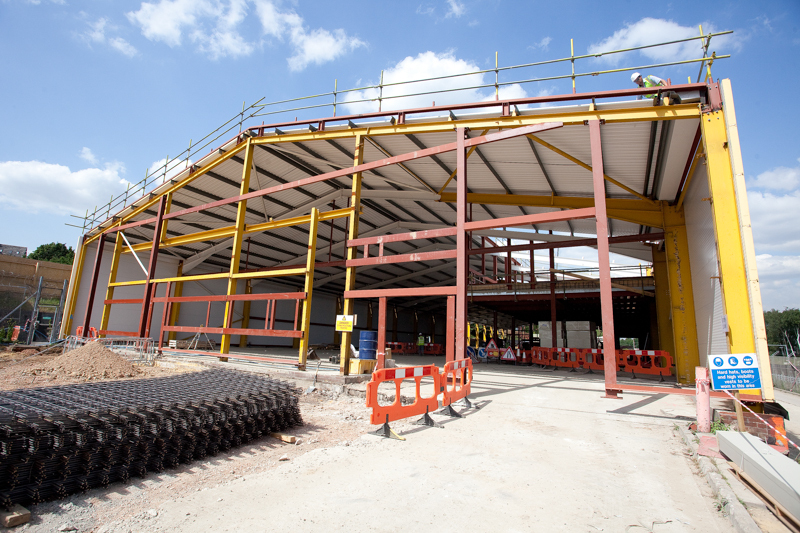 Project Details: Fabrication and erection of 150 tonnes of steelwork for a new motorway plaza. 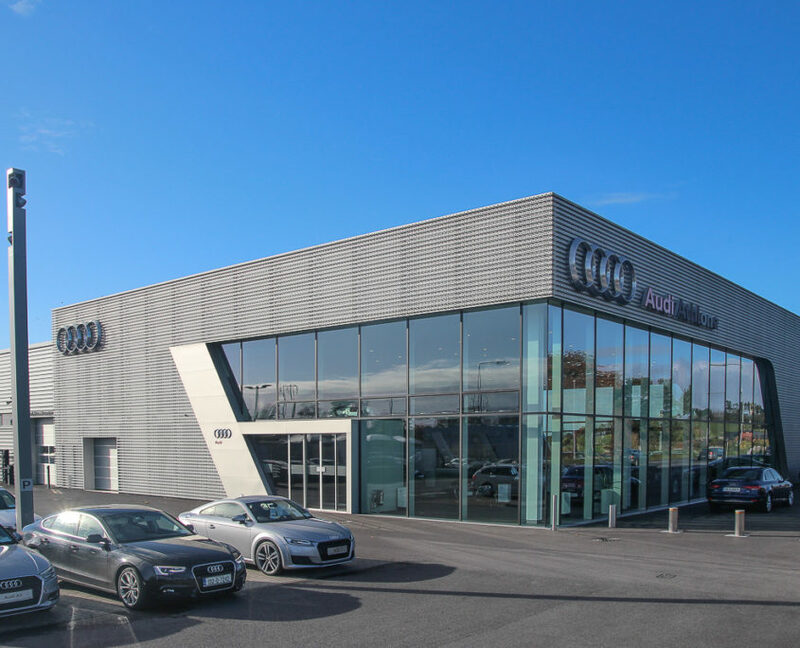 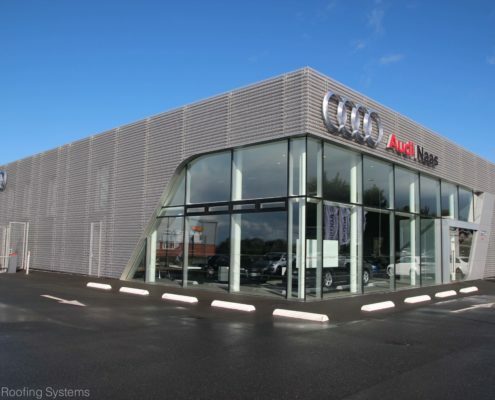 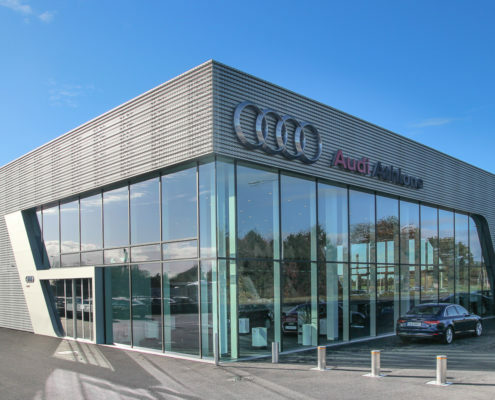 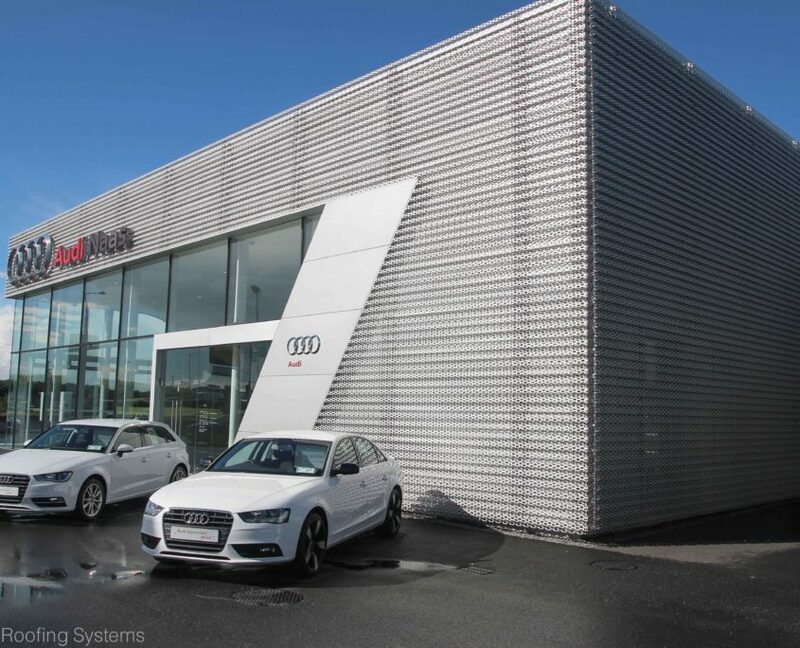 Project Details: Fabrication and erection of 80 tonnes of structural steelwork for an Audi showroom. 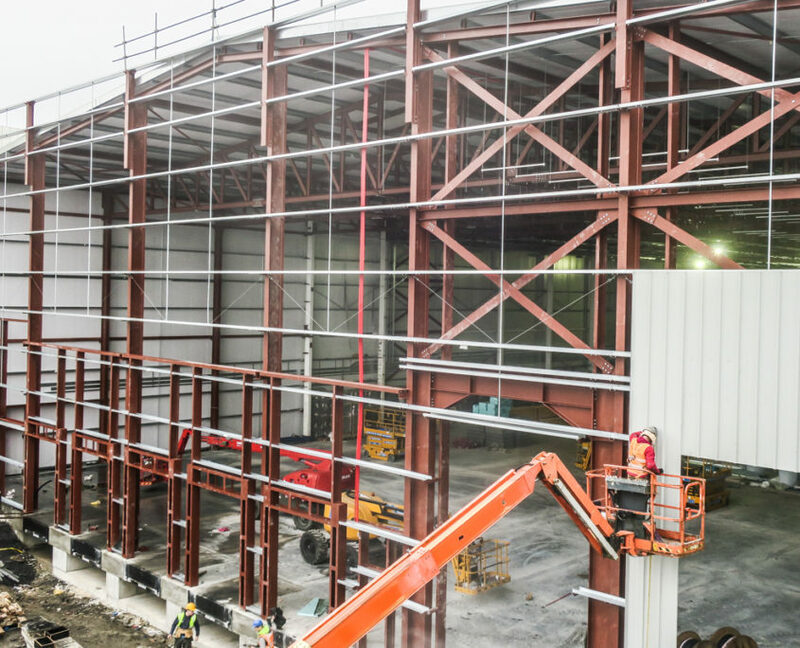 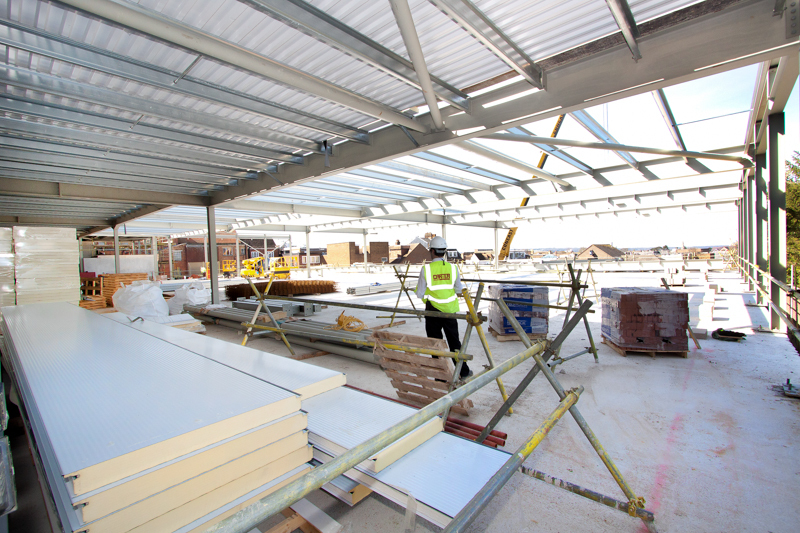 Project Details: Fabrication and erection of 160 tonnes steelwork, roof and wall cladding. 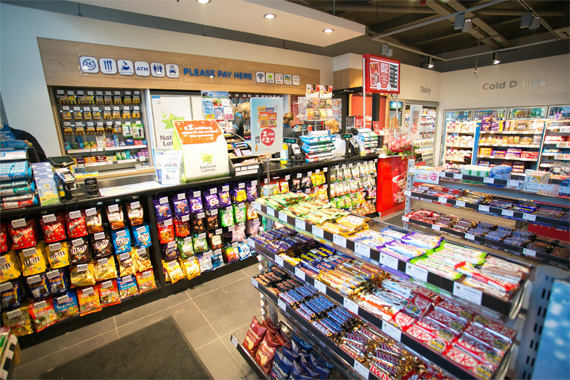 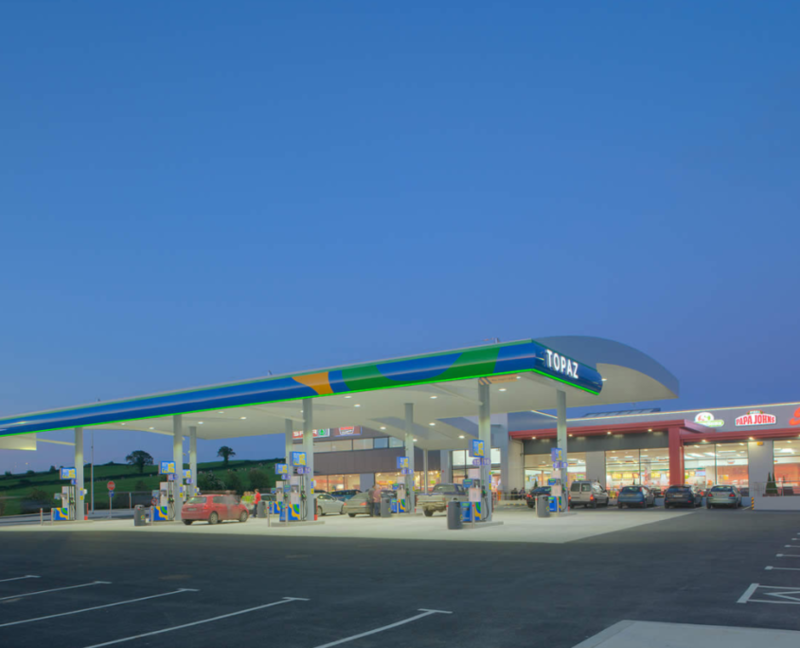 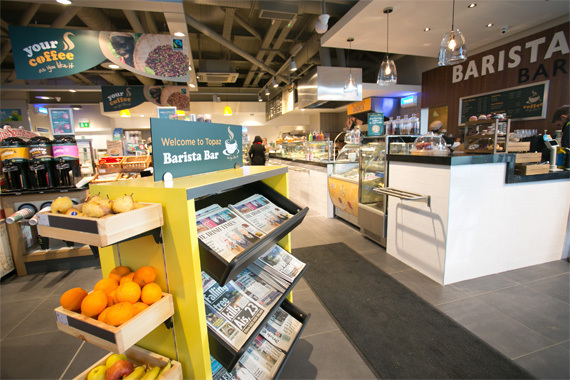 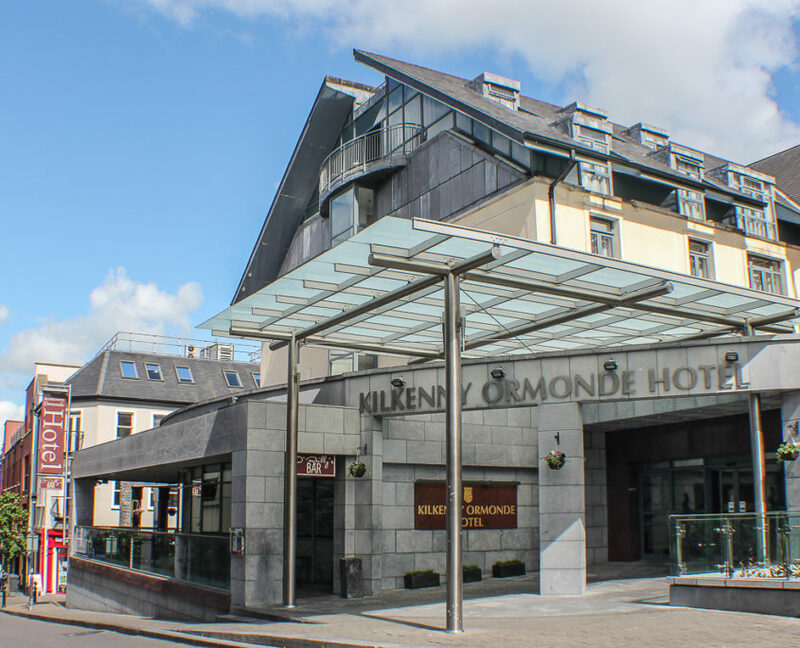 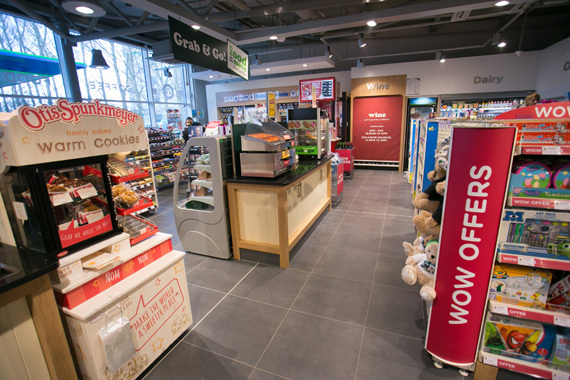 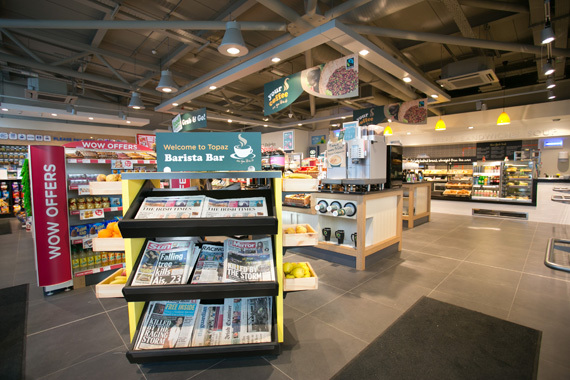 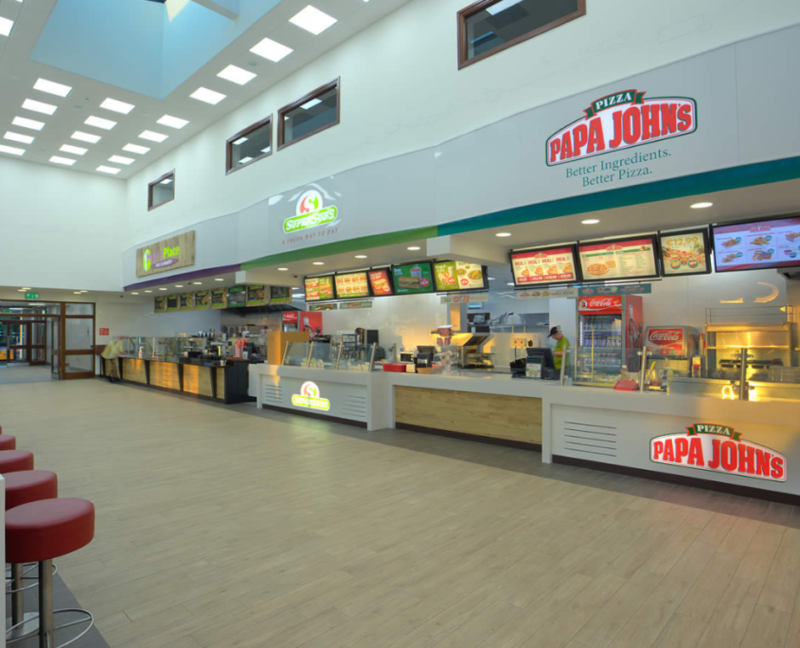 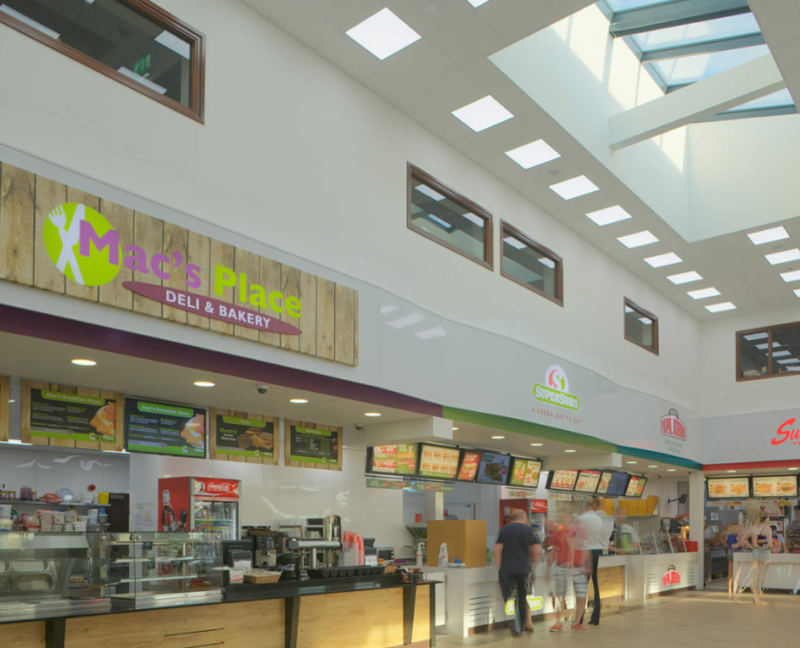 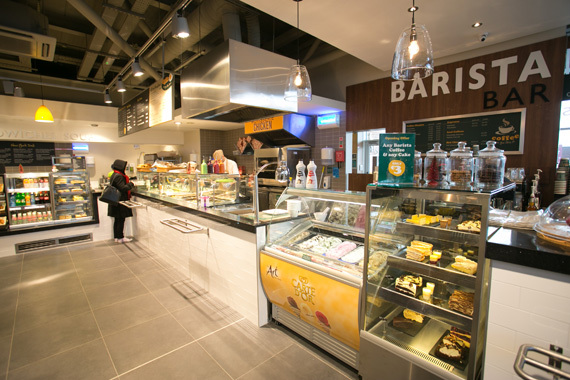 Services, restaurant and retail development. 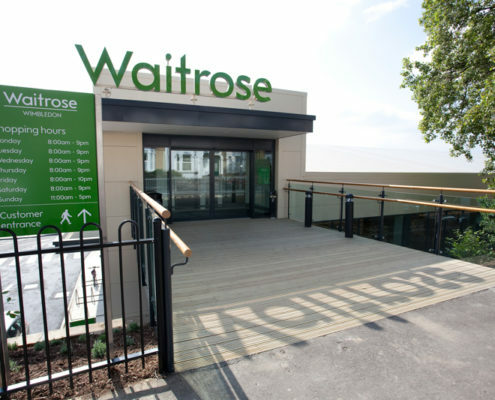 Opened in July 2014. 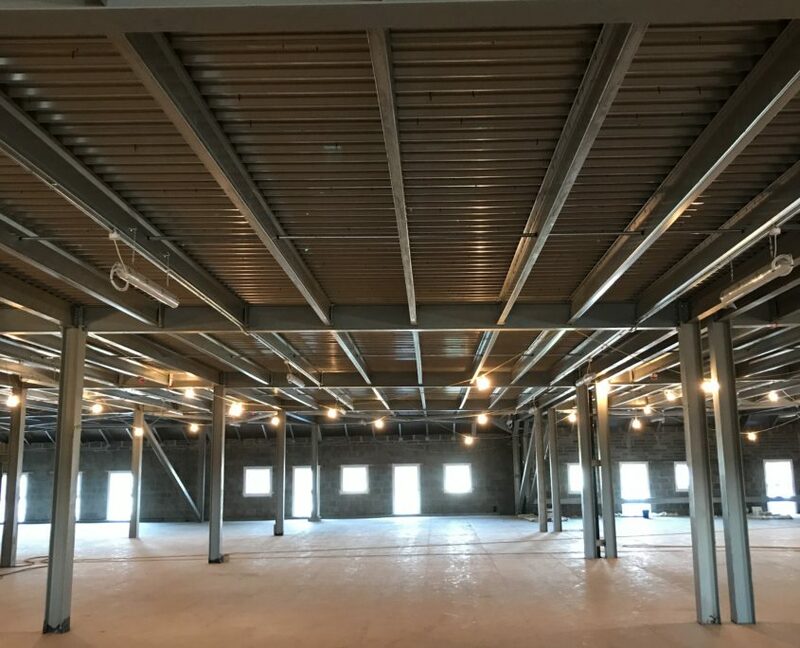 Constructed in a 6 month timeframe. 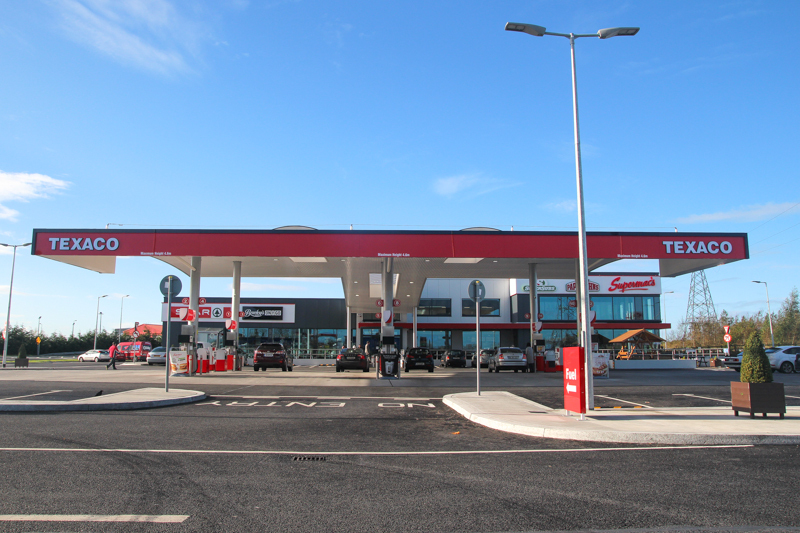 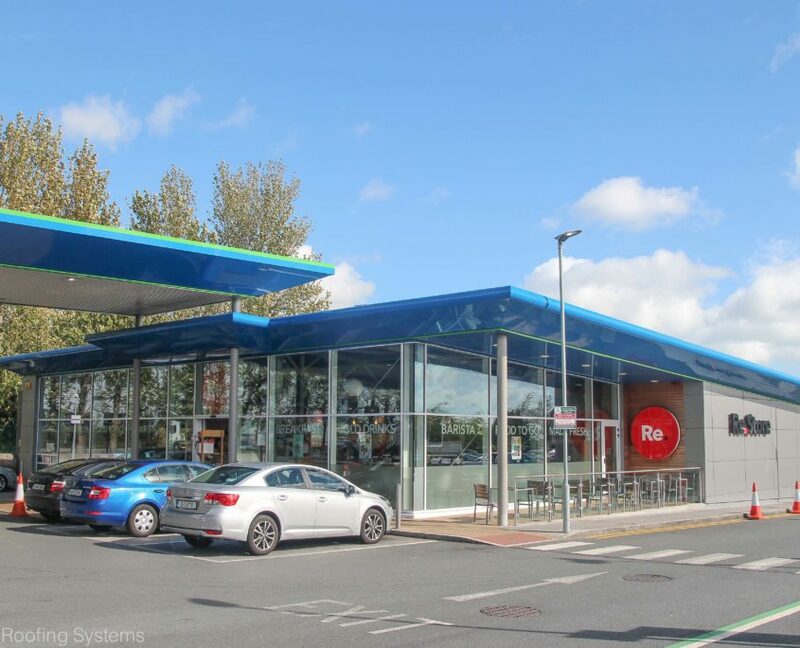 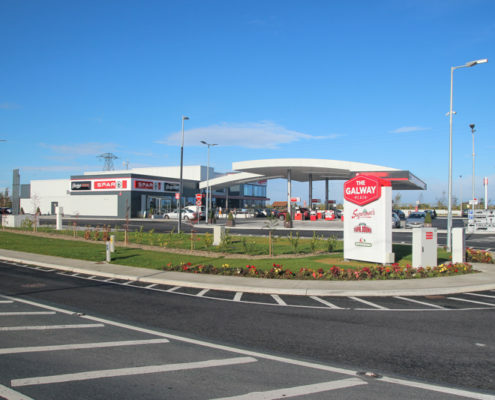 It is Supermacs’ flag ship restaurant and measures 2567.2m2. 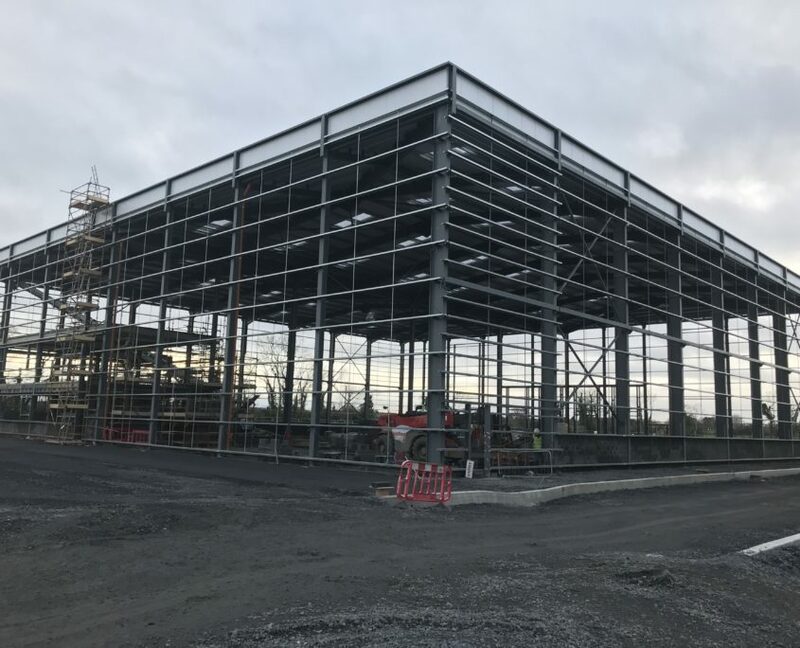 Project Details: Fabrication and erection of 250 tonnes structural steel, Kingspan Topdek roofing, architectural wall cladding. 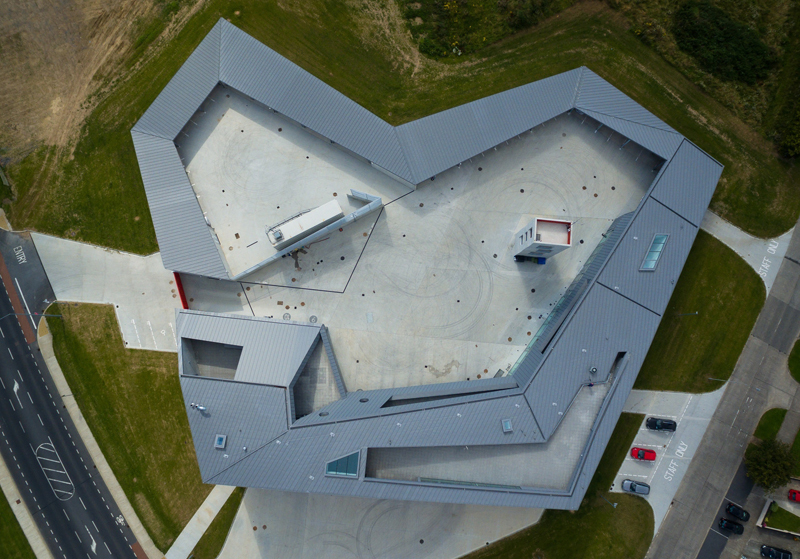 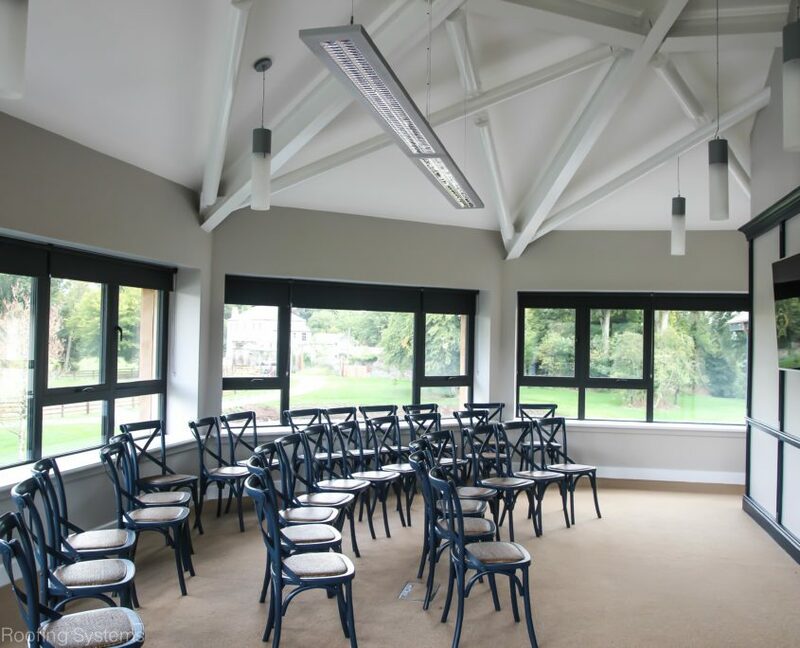 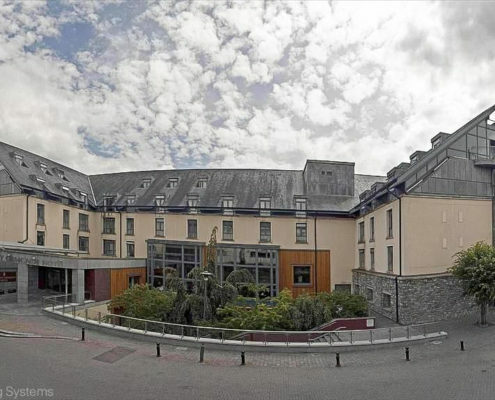 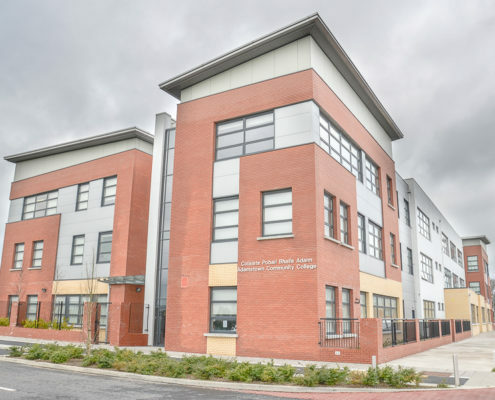 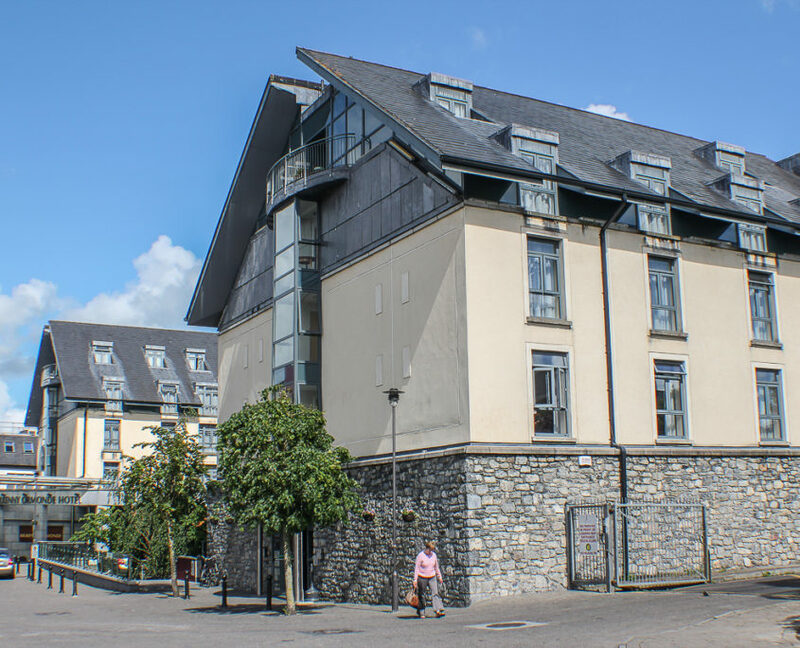 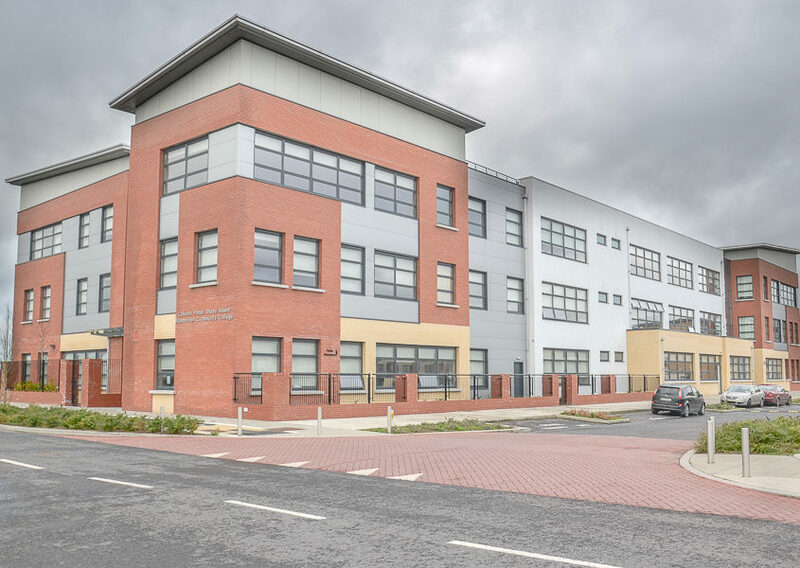 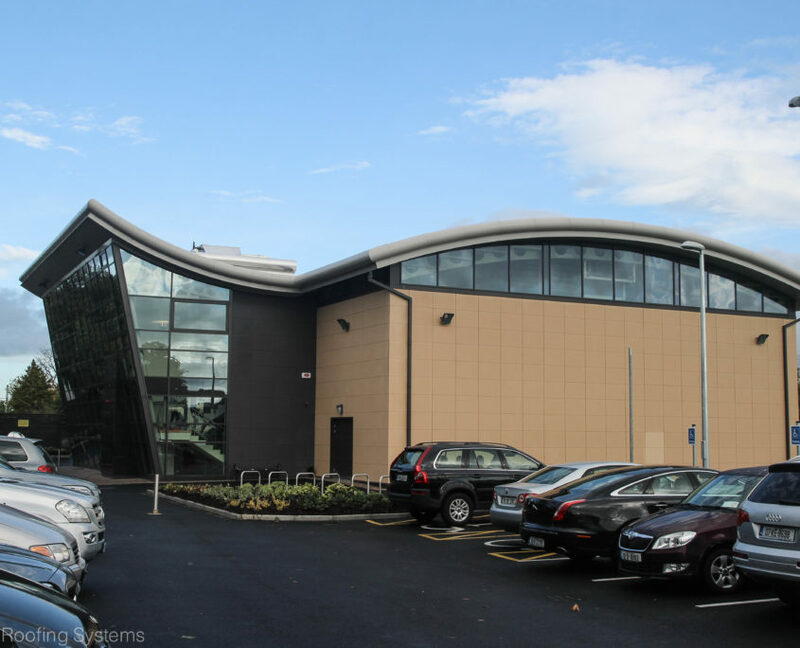 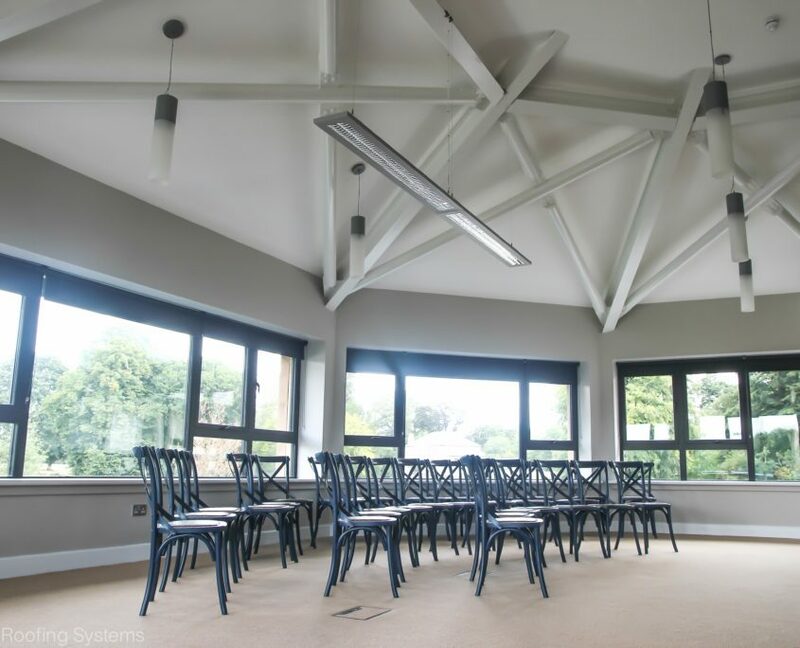 Project Details: A second-level school for 1,000 pupils on an educational campus in Adamstown. 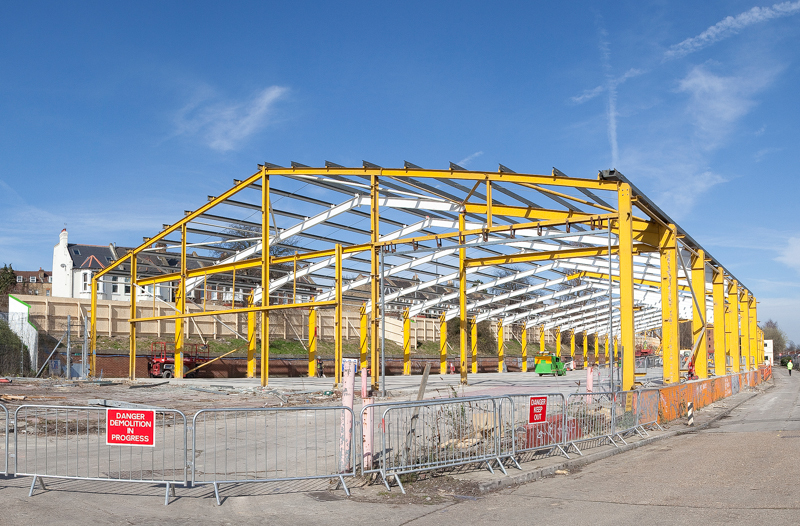 SRS fabricated and erected 150 tonnes of structural steelwork. 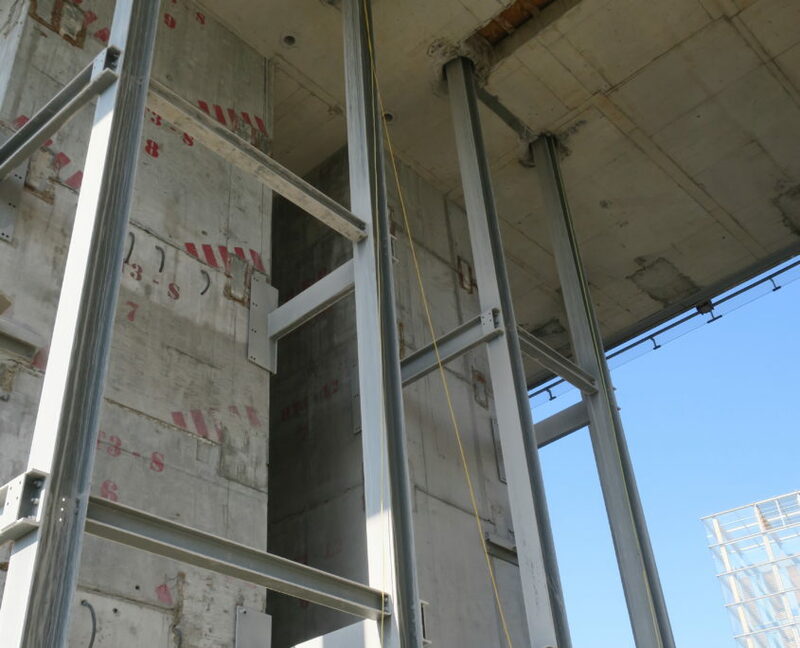 Project Details: Fabrication and erection of 150 tonnes of structural steelwork. 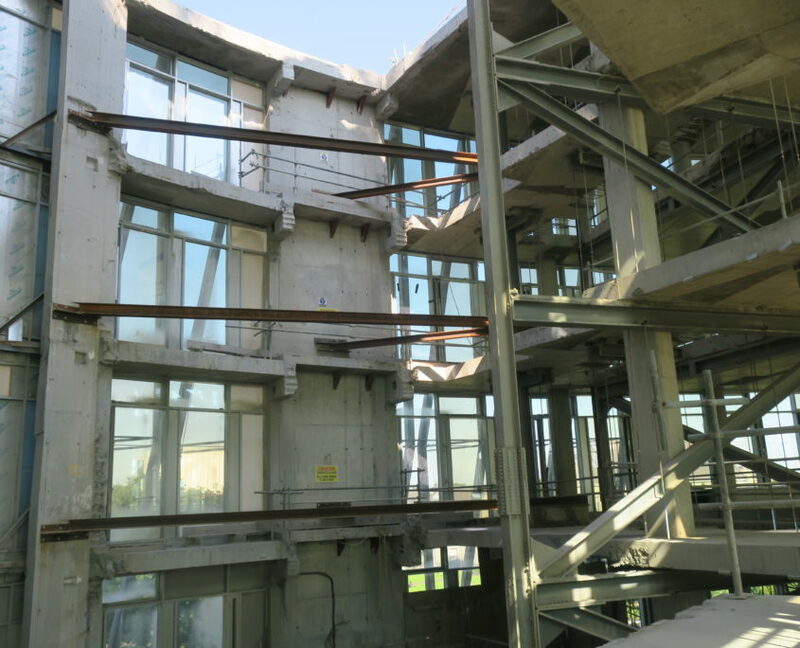 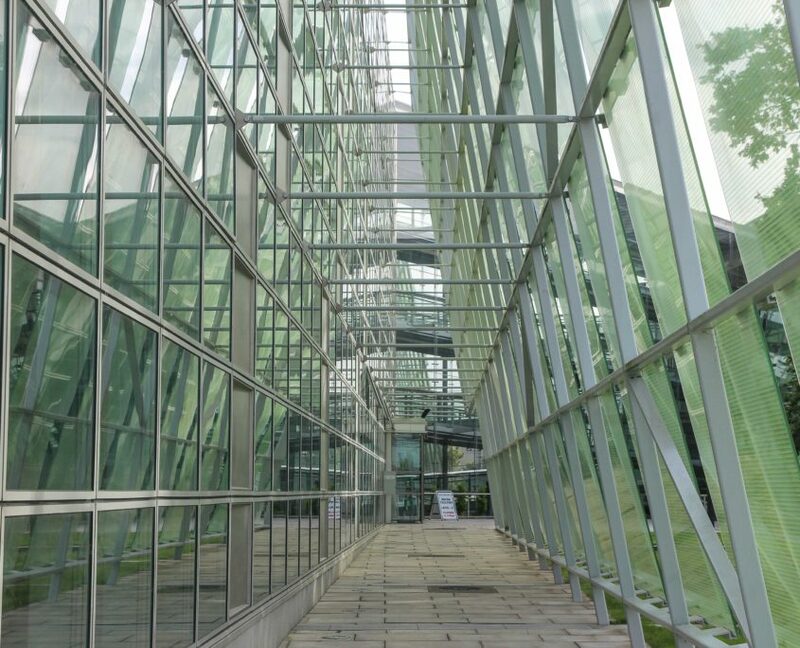 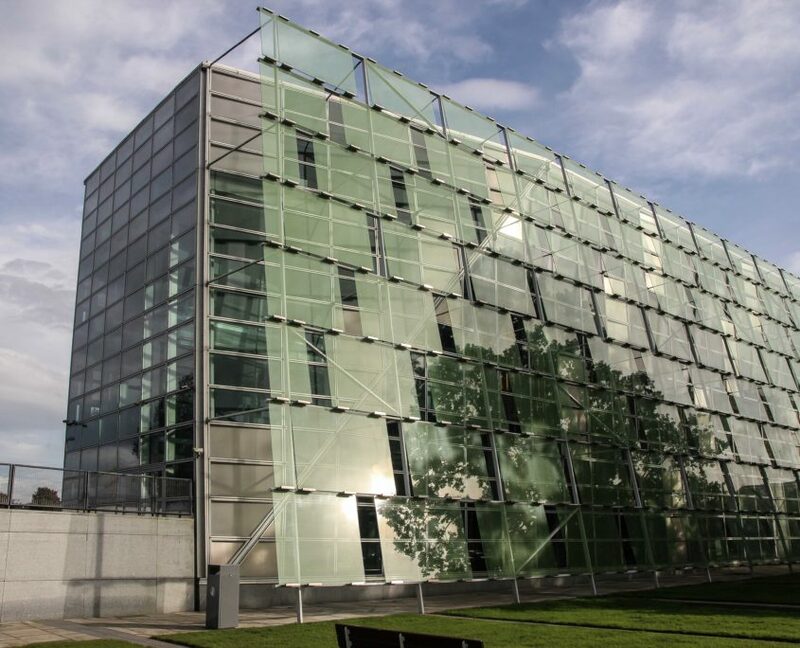 The building is a composite structure of structural steel frame with full height reinforced concrete walls and floors throughout. 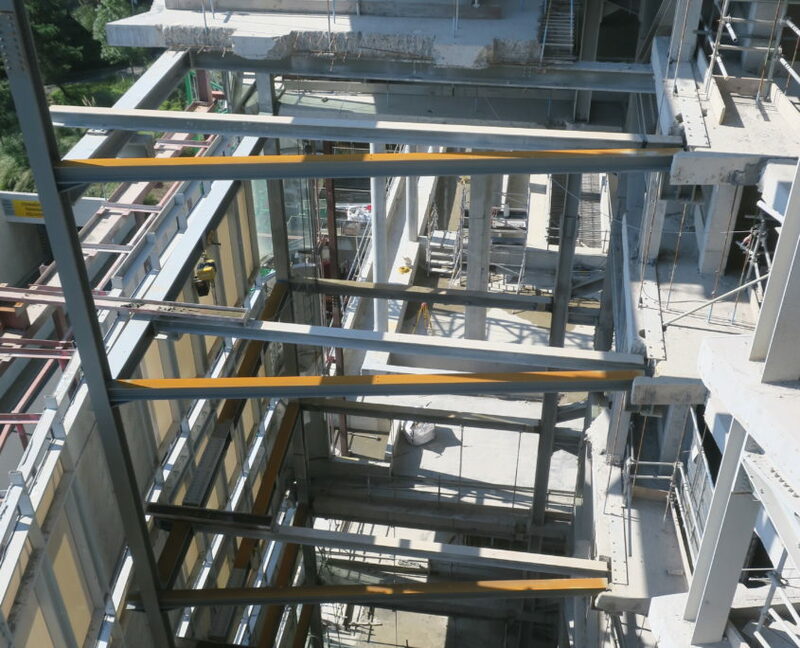 Project Details: Fabrication and erection of 80 tonnes of structural steel. 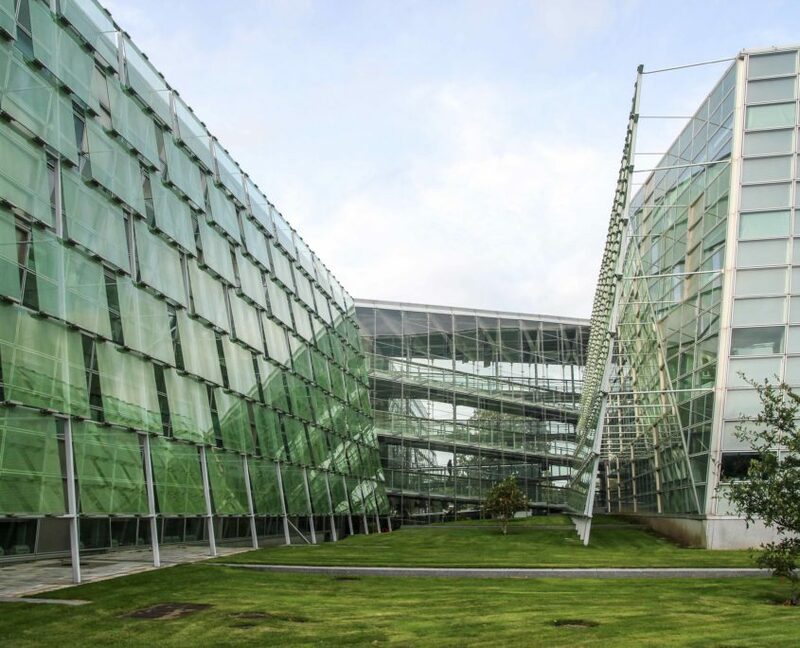 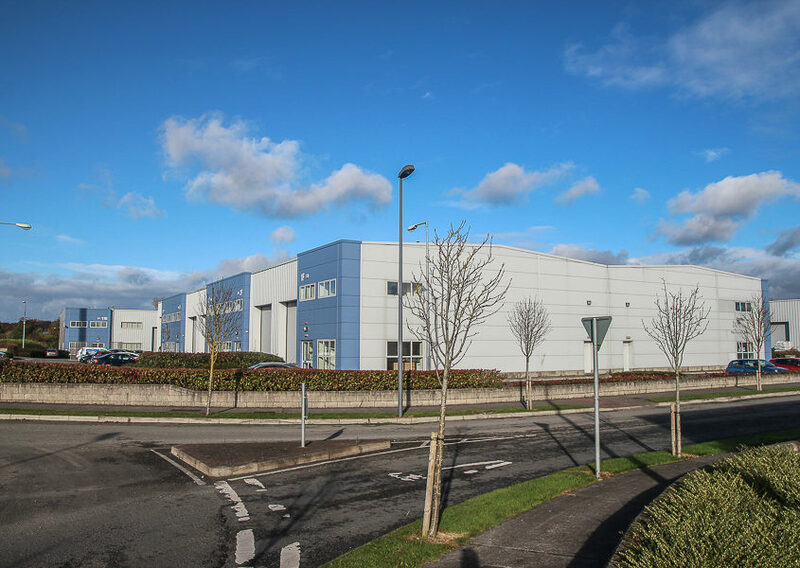 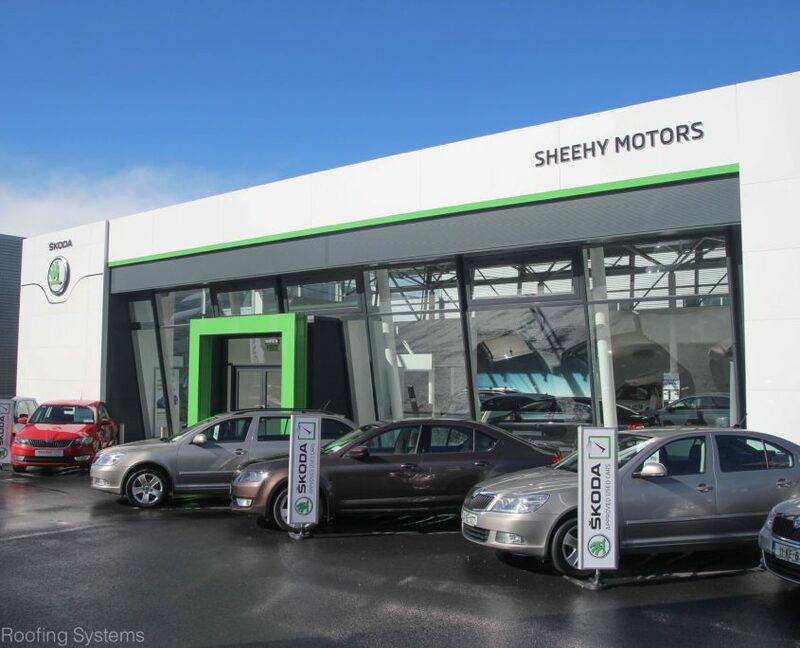 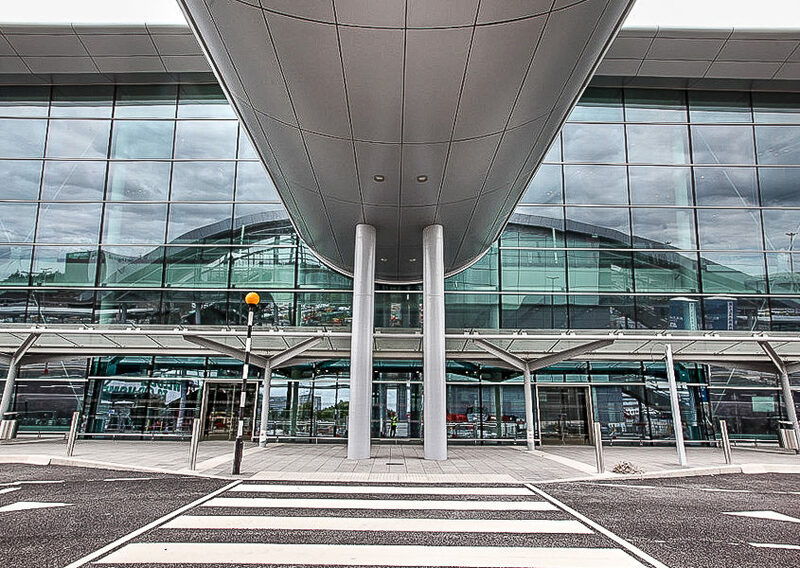 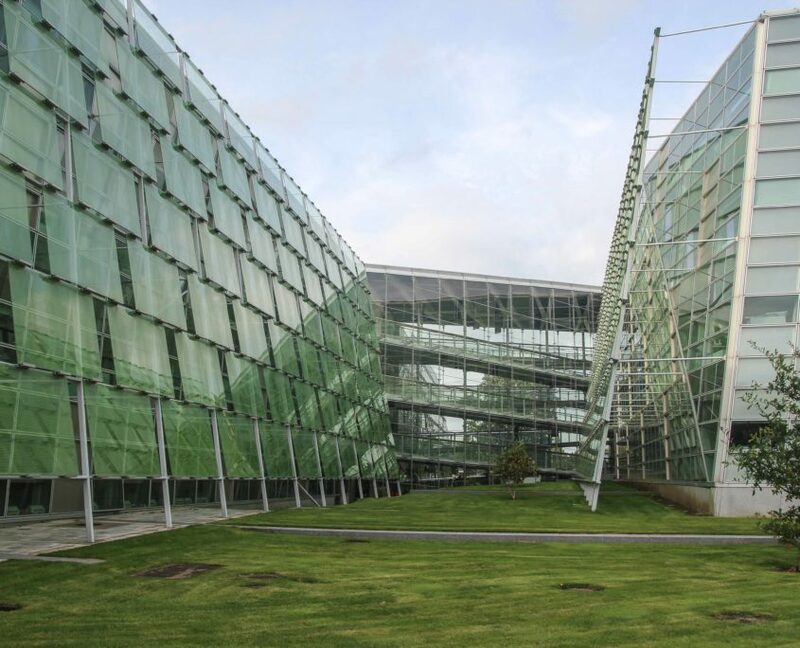 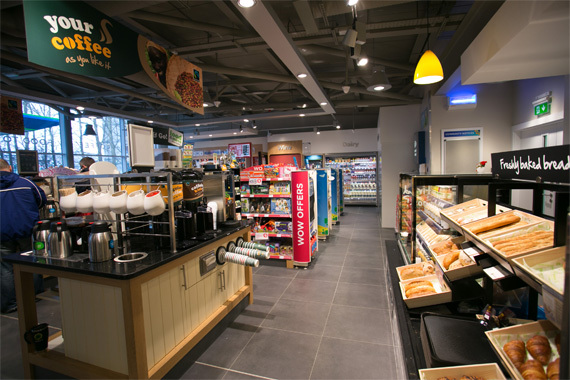 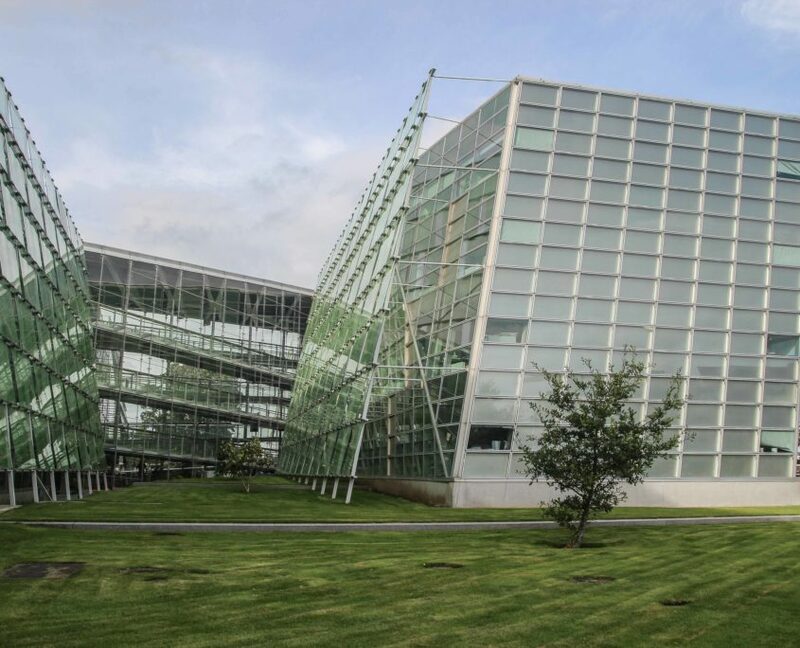 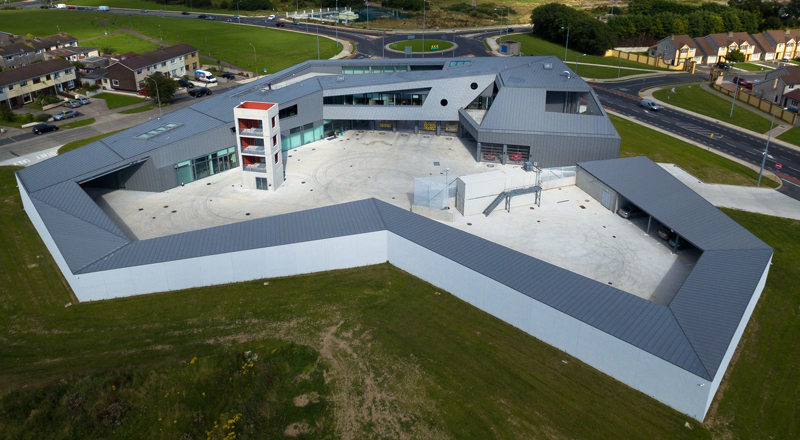 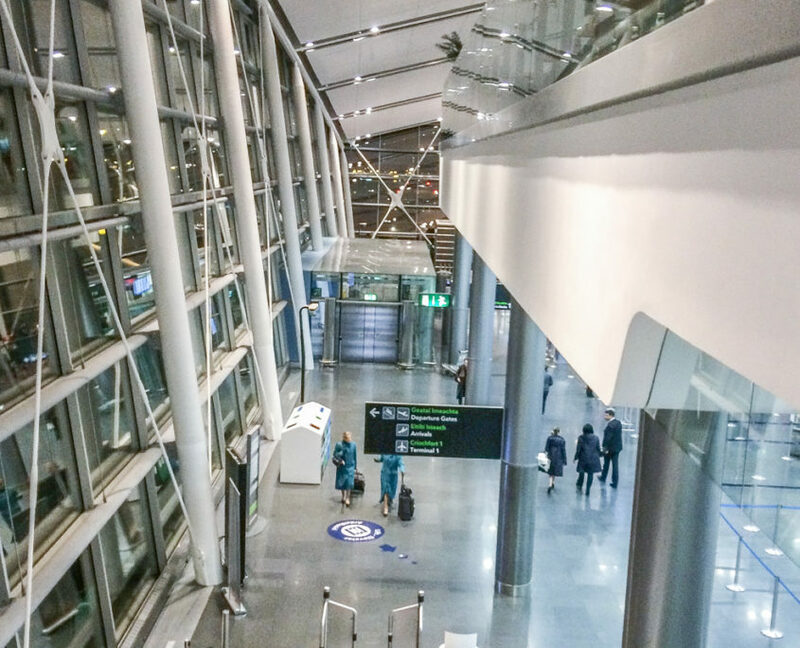 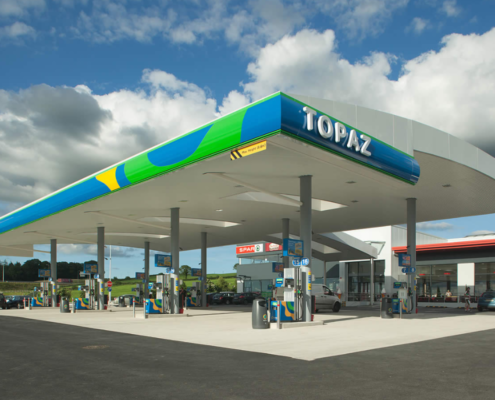 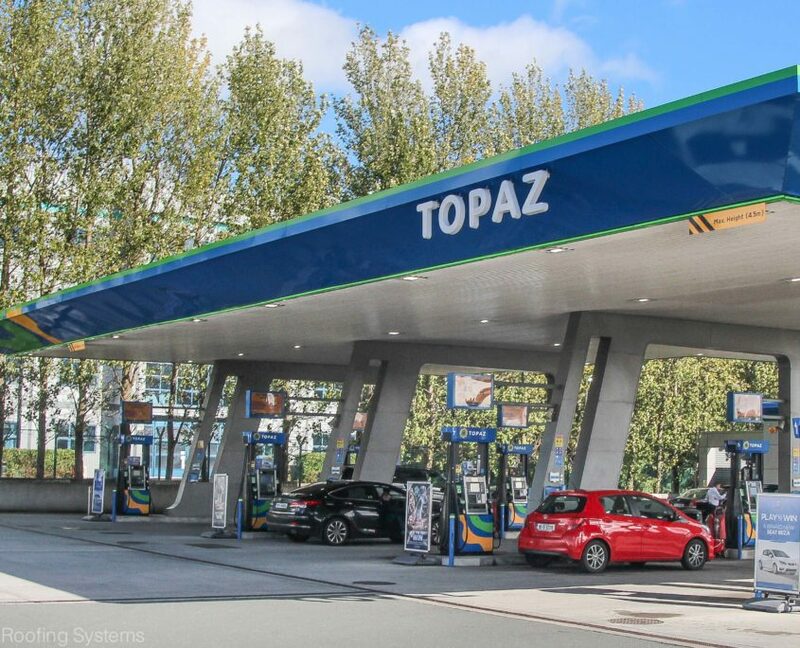 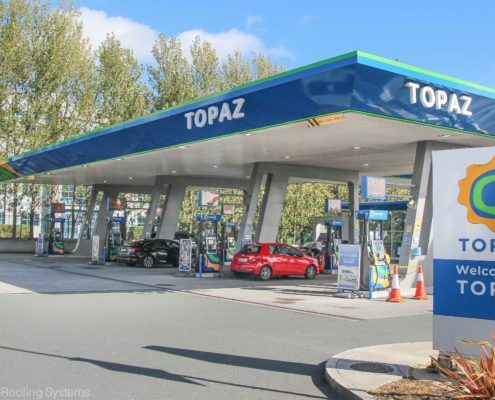 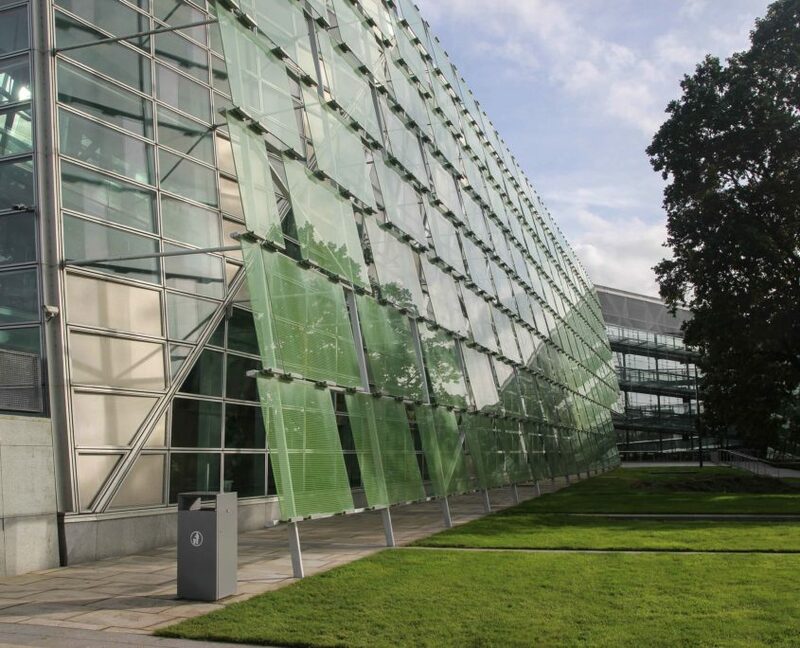 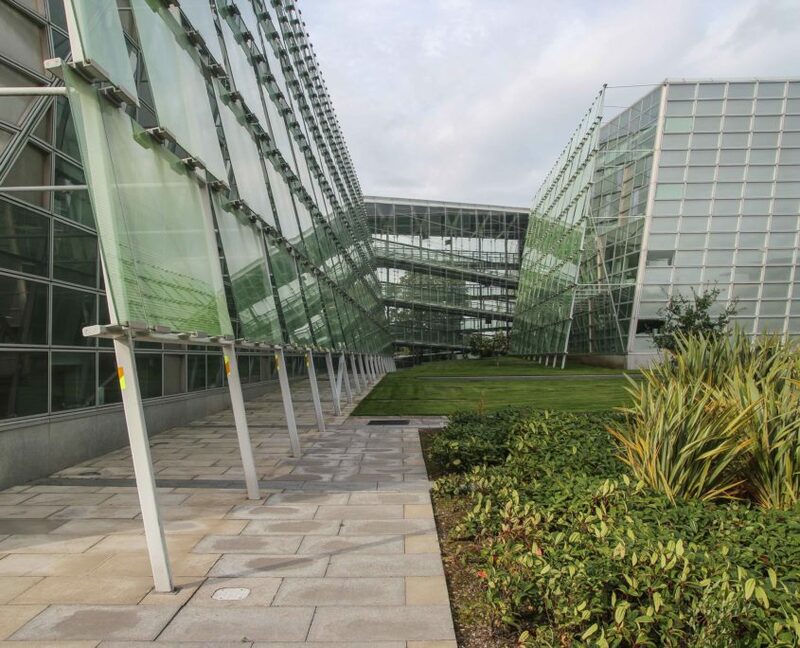 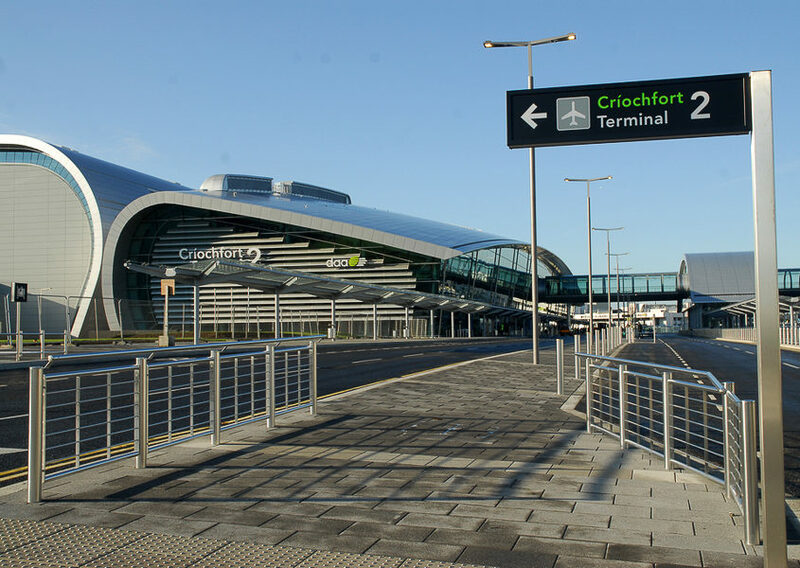 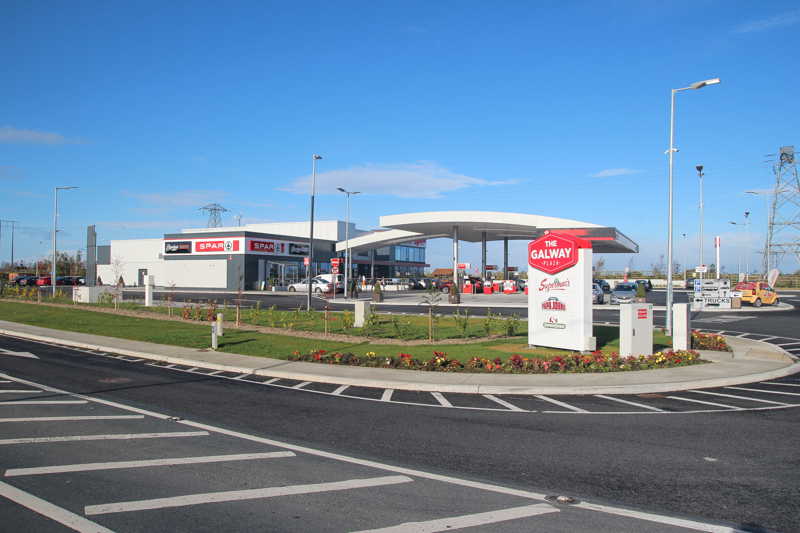 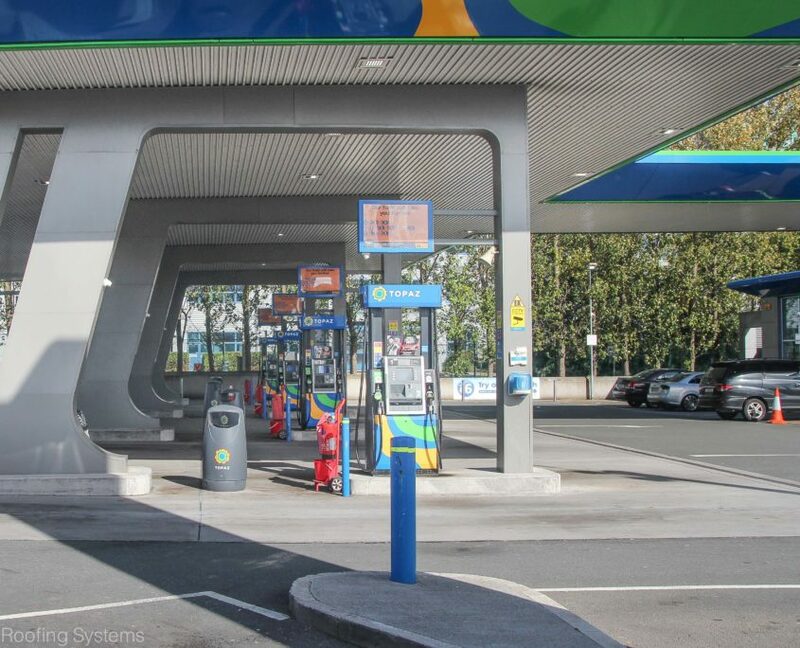 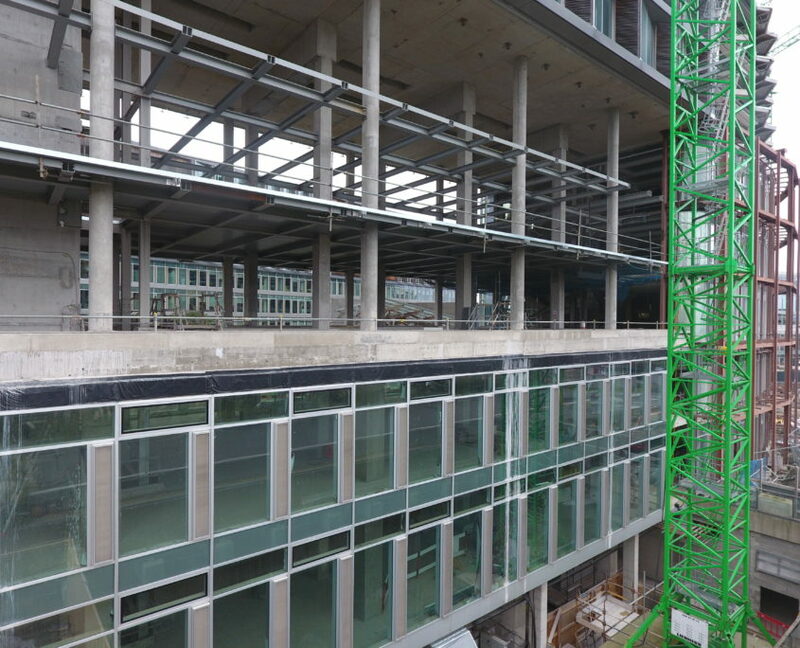 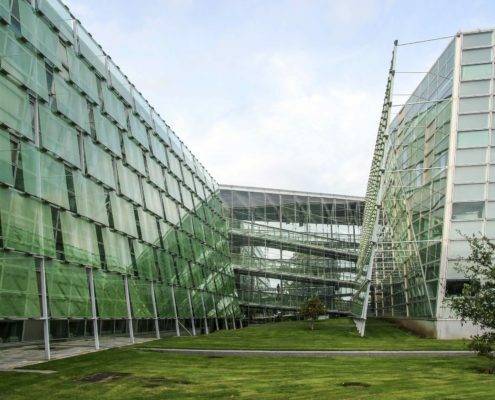 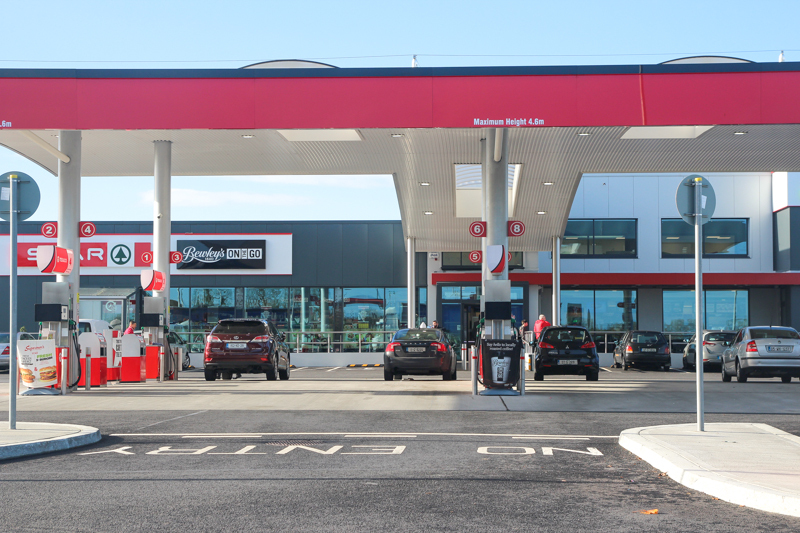 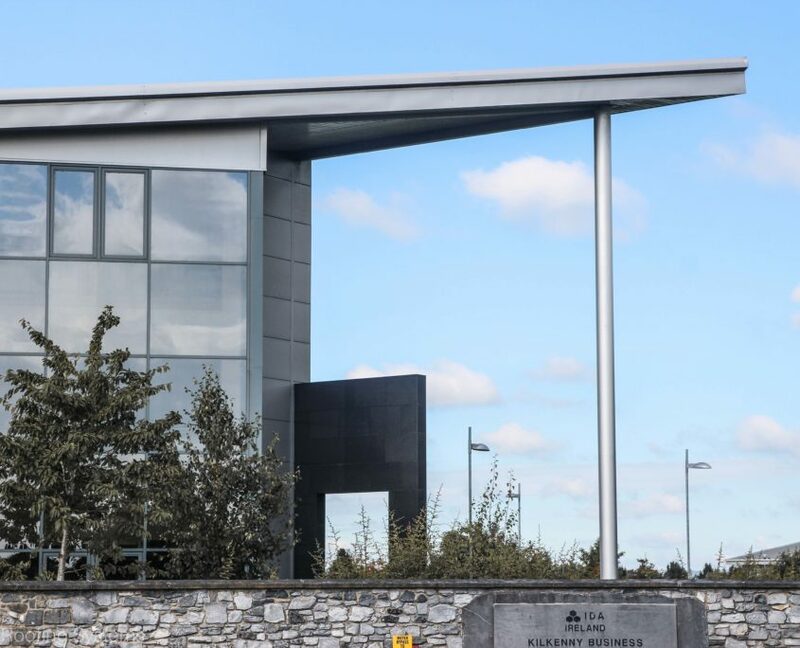 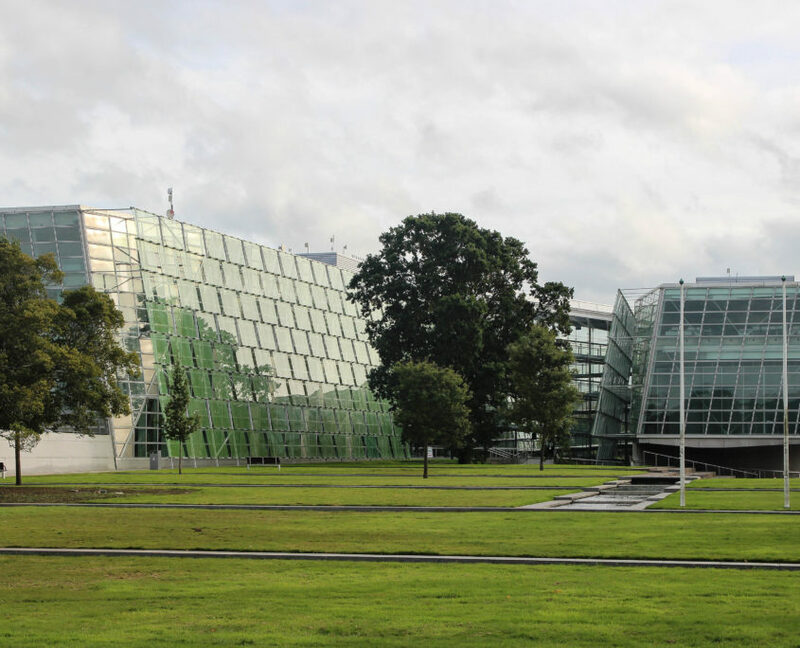 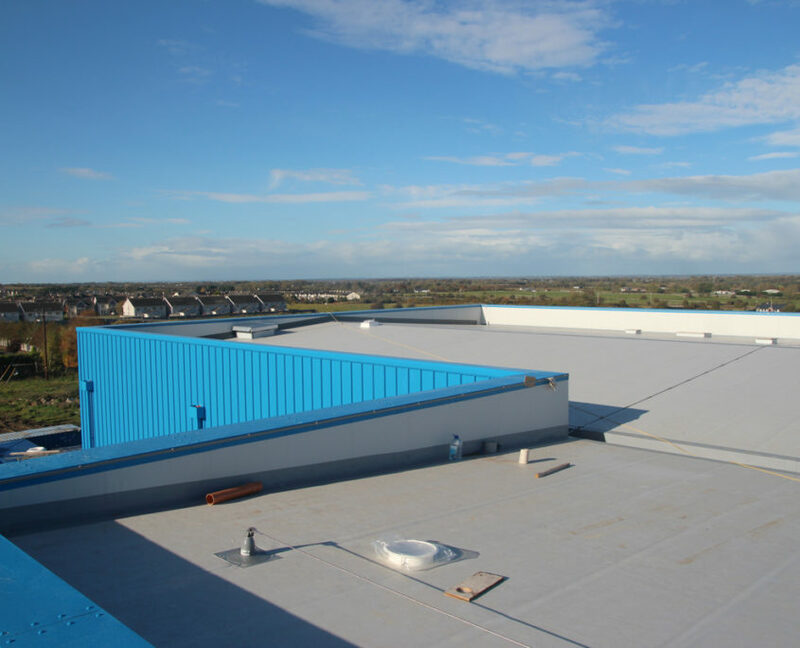 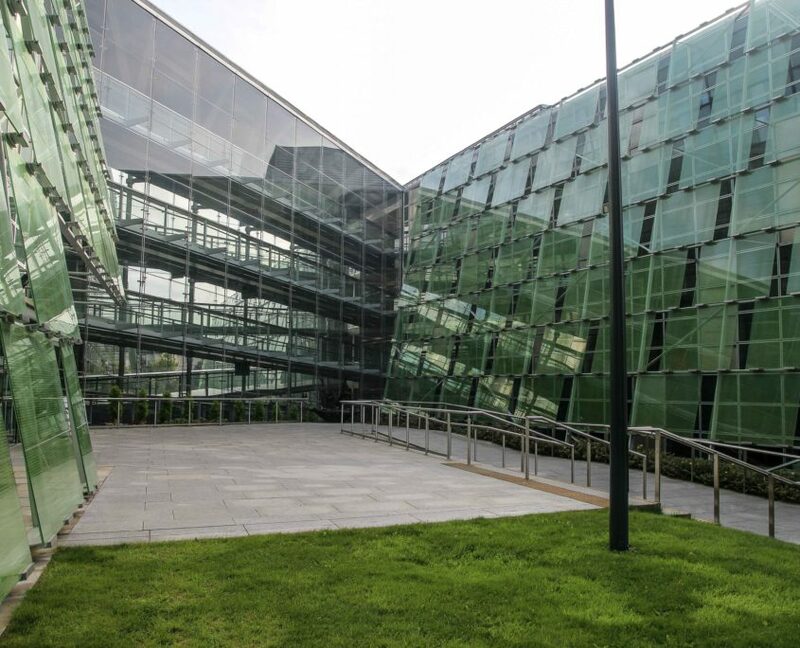 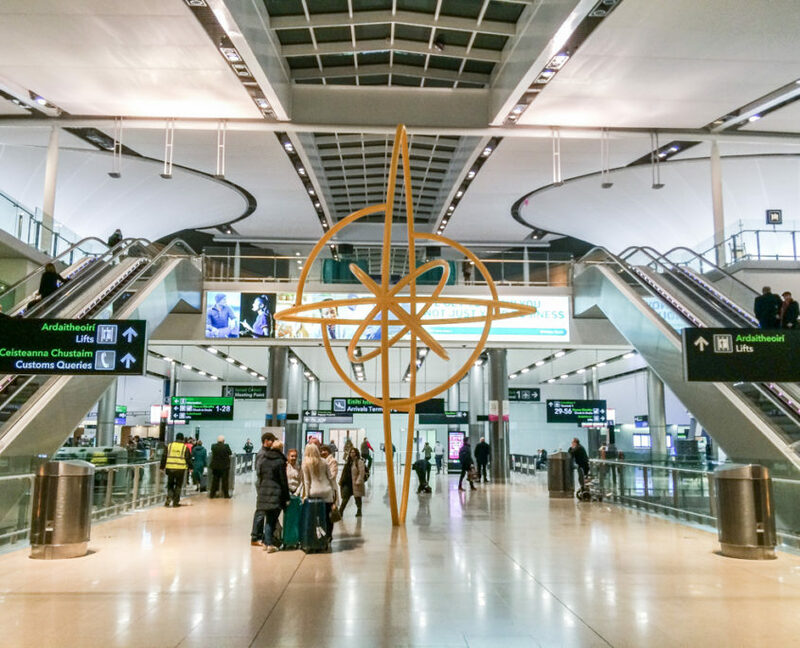 Supply and installation of roof and wall cladding for flagship services at Dublin Airport. 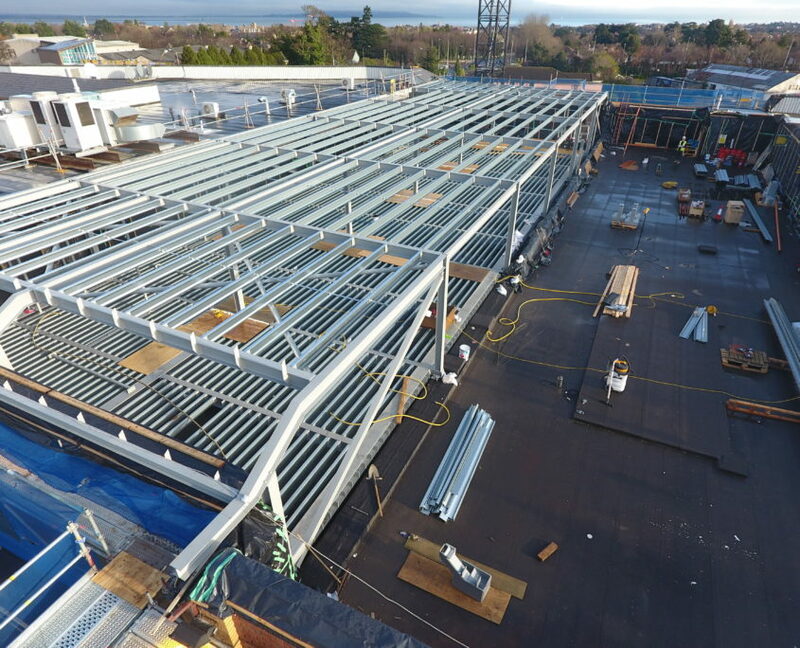 Project Details: Fabrication and erection of 85 tonnes structural steelwork for 5000m2 retail store. 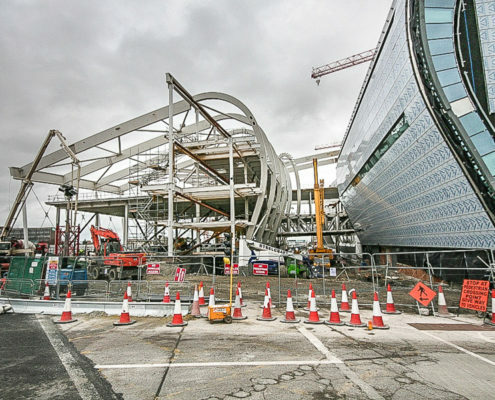 Project Details: Fabrication and erection of 140 tonnes of structural steelwork. 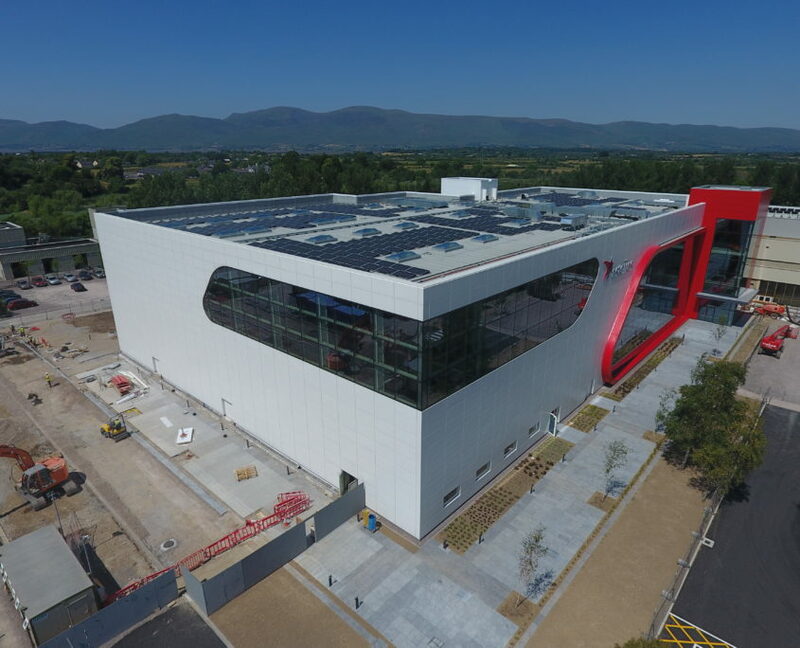 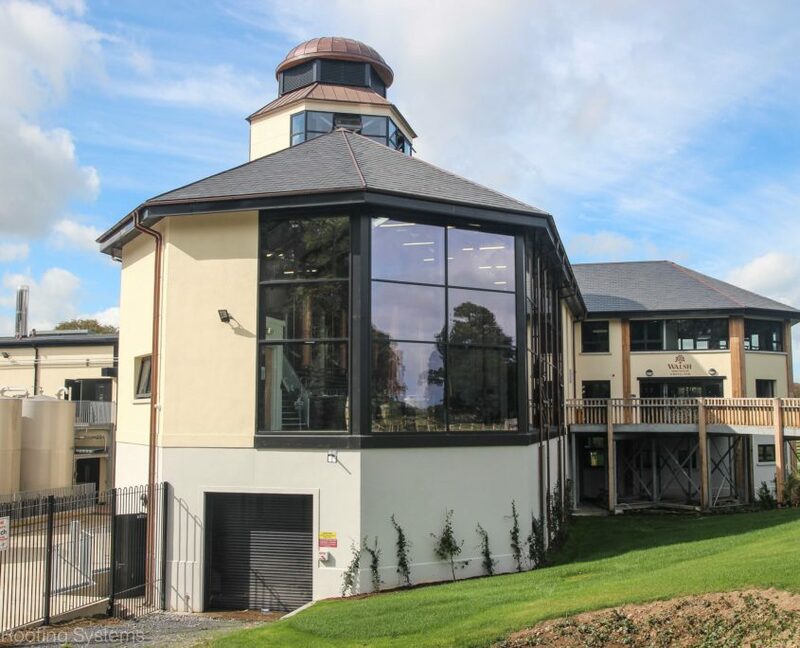 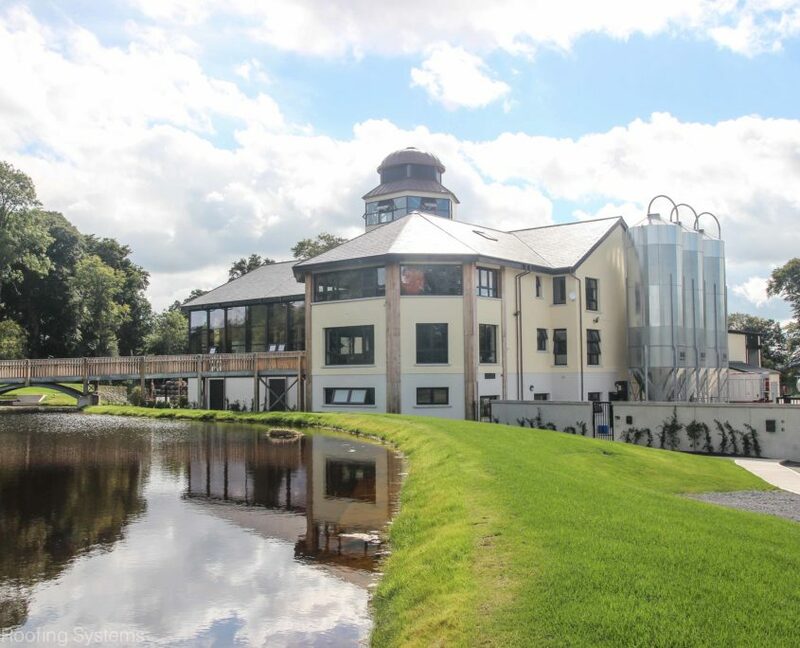 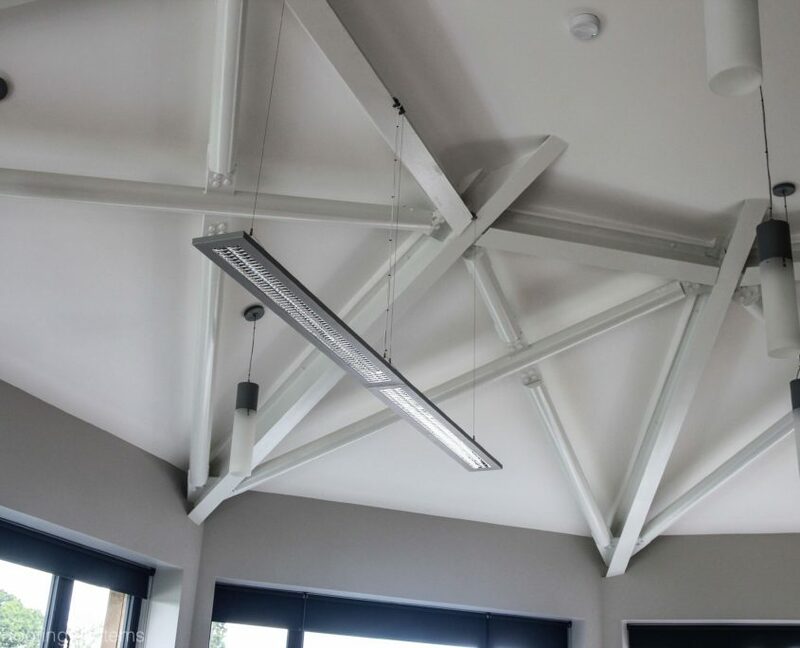 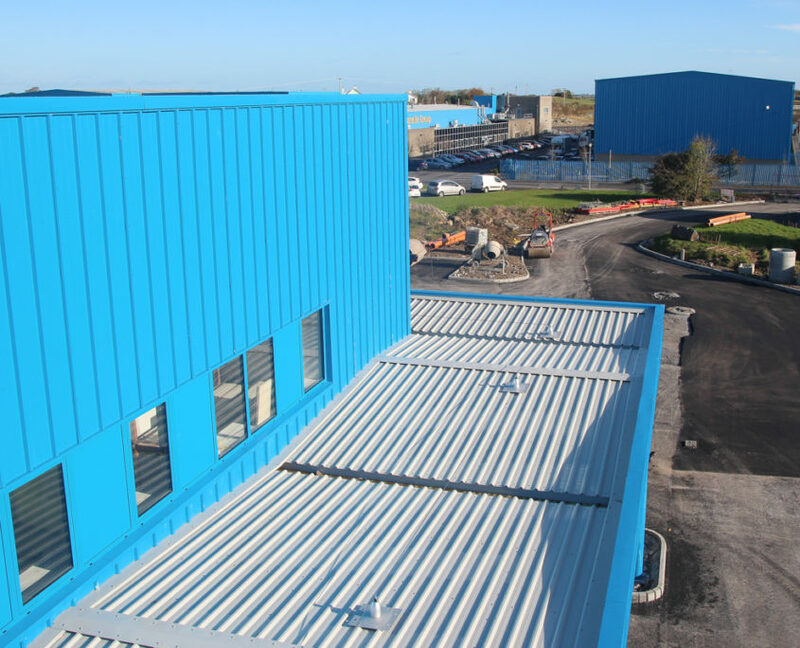 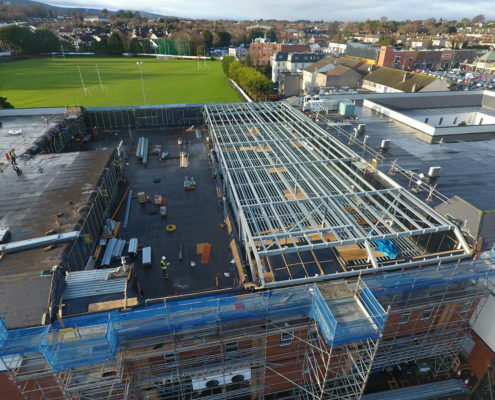 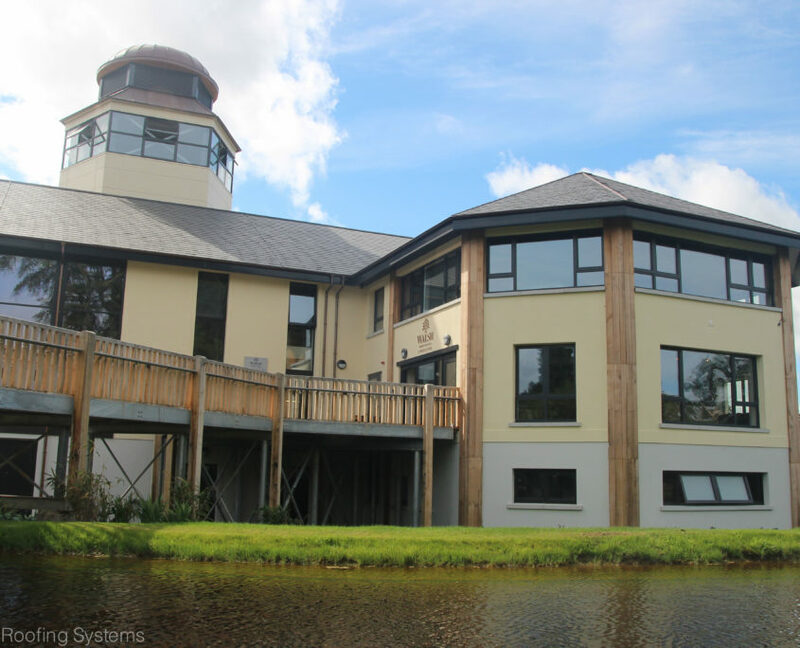 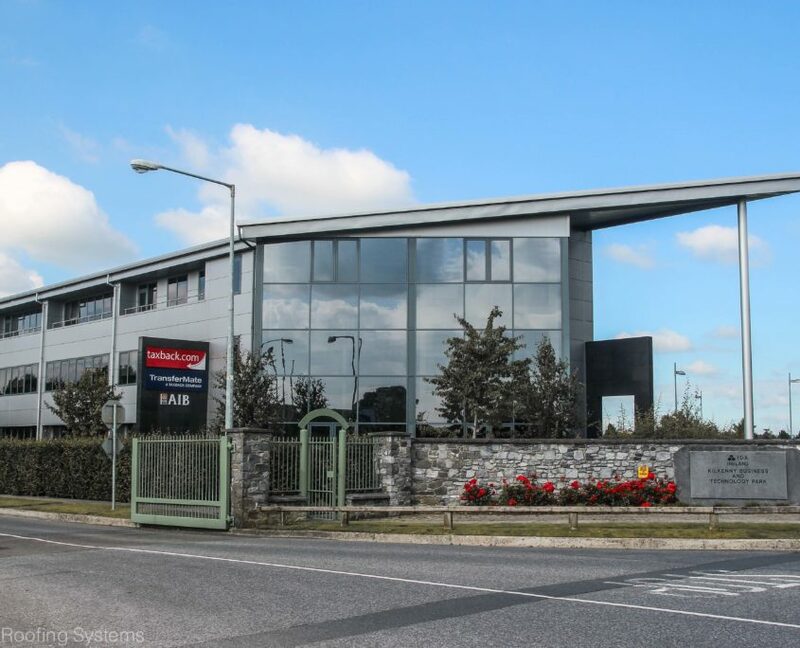 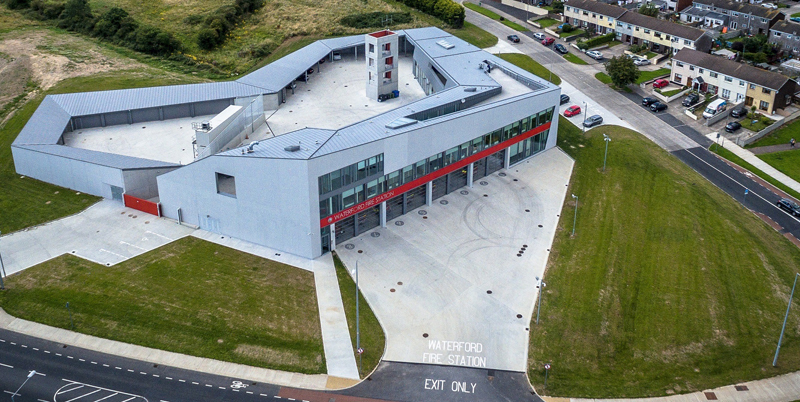 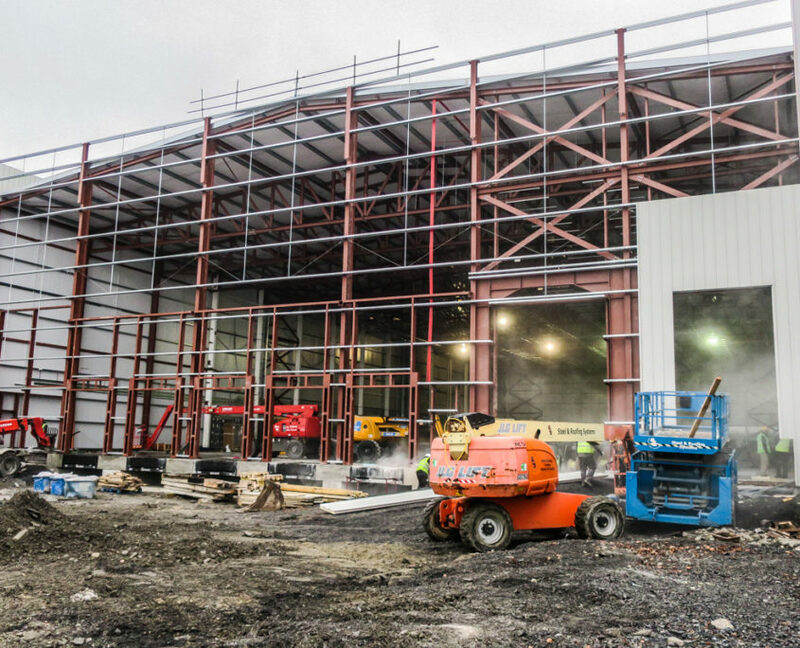 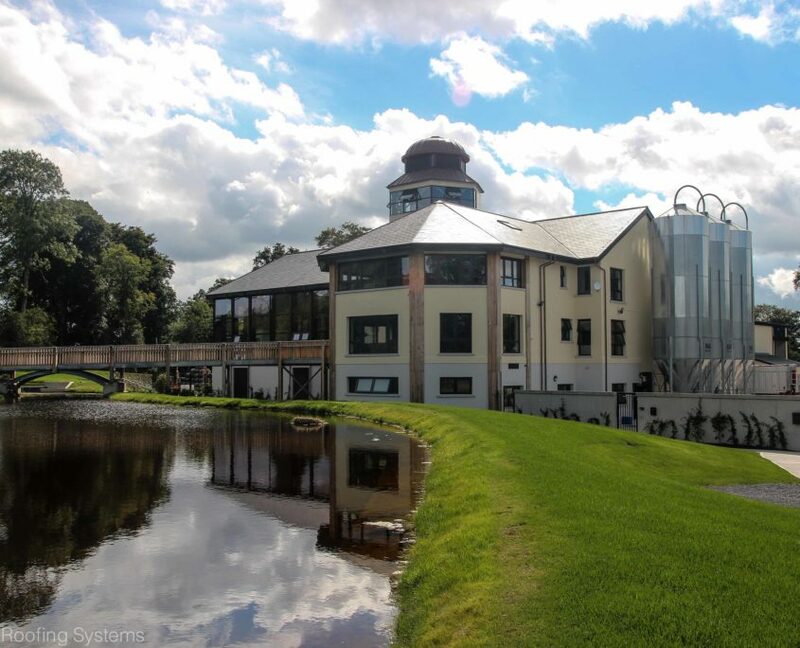 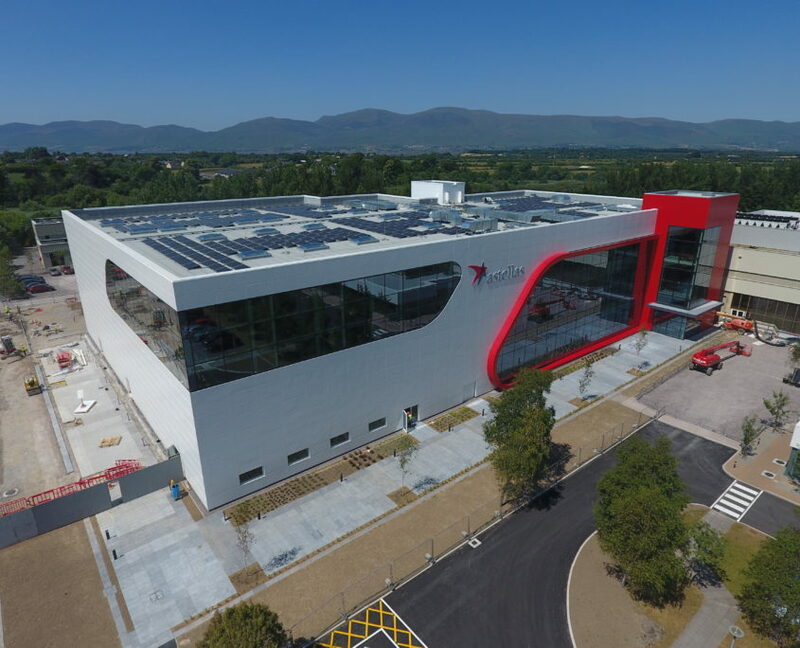 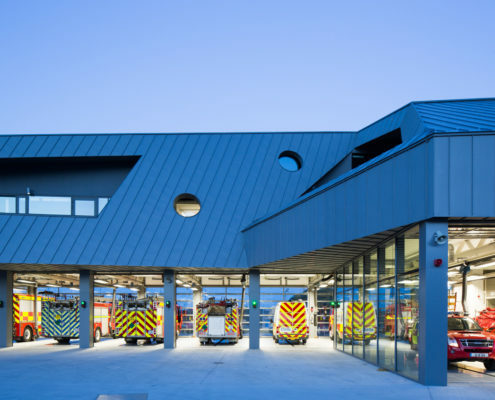 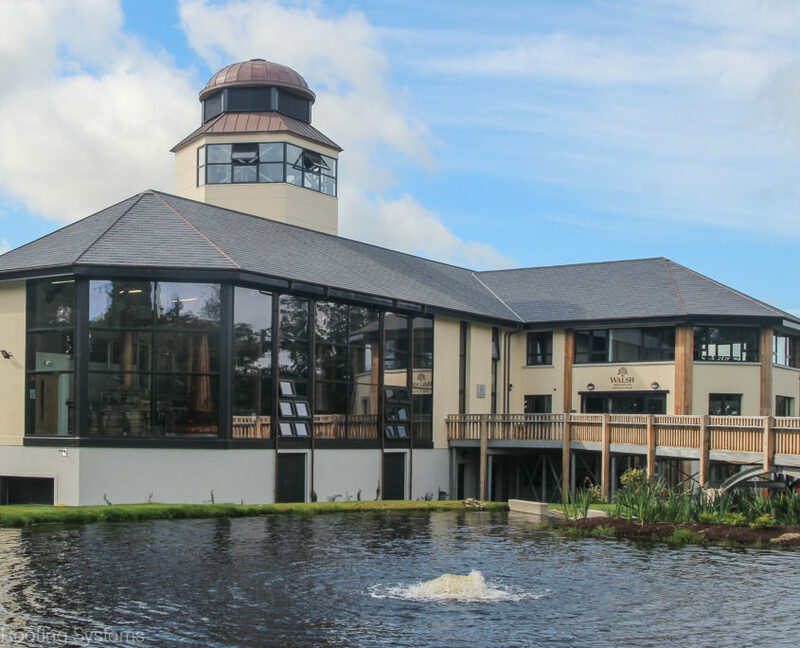 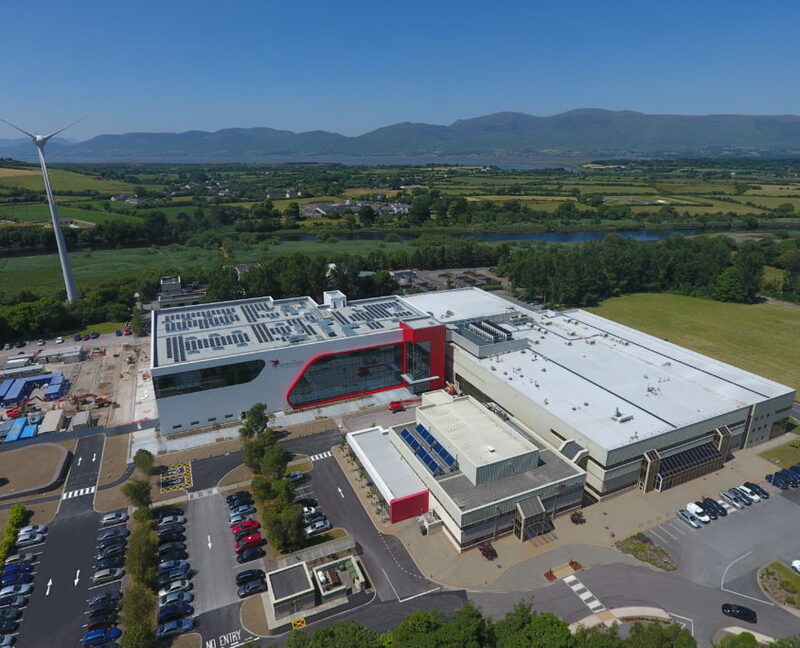 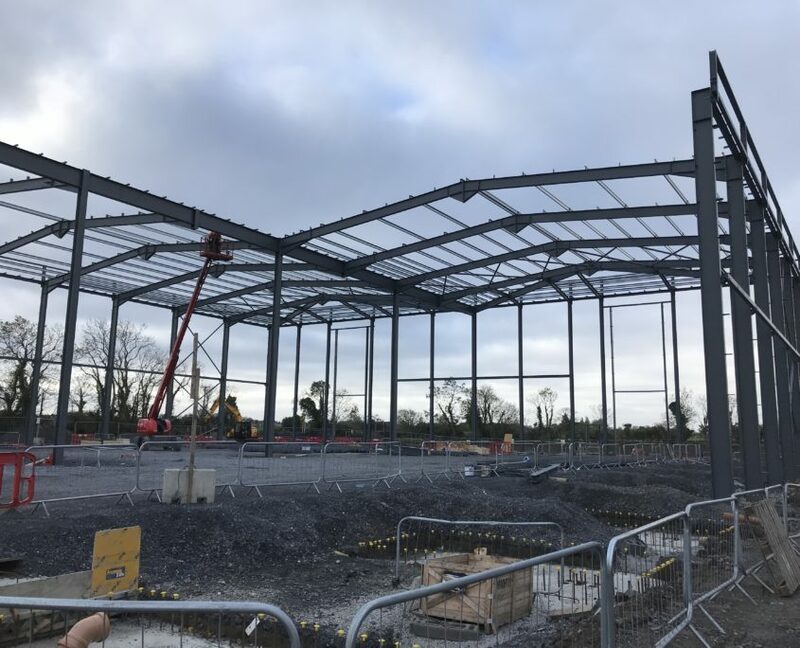 Project Details: Fabrication and erection of structural steelwork for a new regional centre for fire fighting, river rescue, public consultation and training for the south east of Ireland.